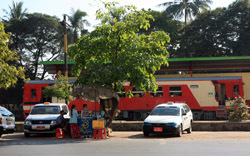 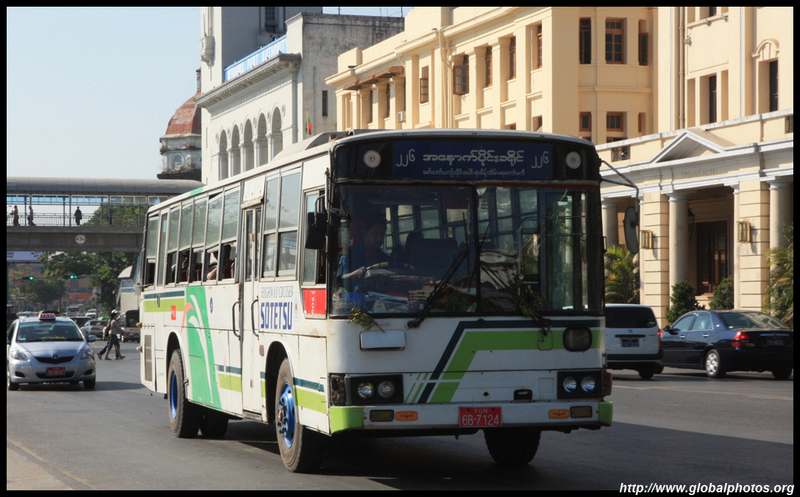 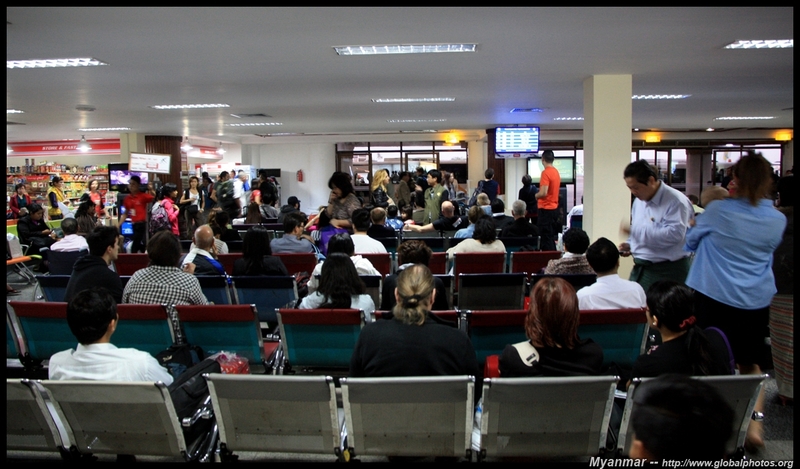 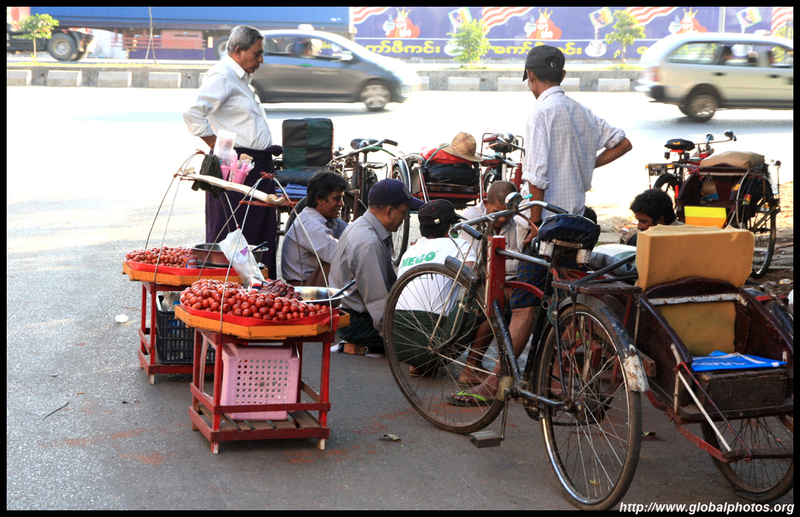 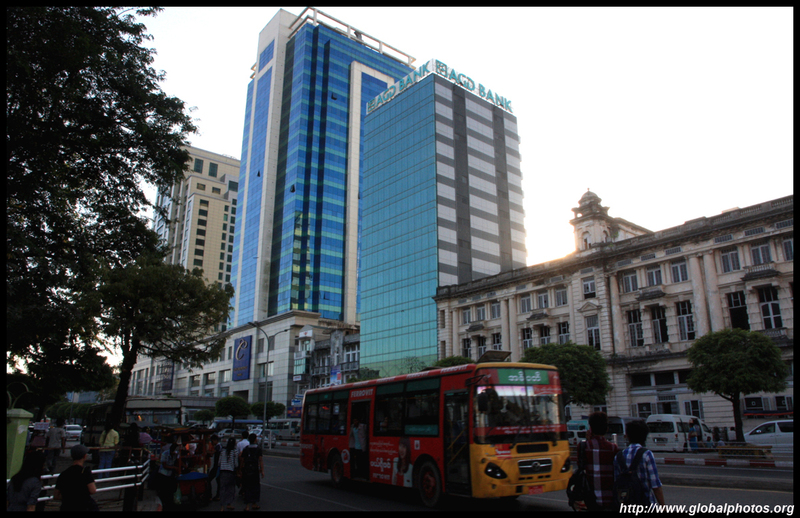 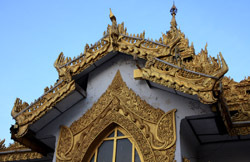 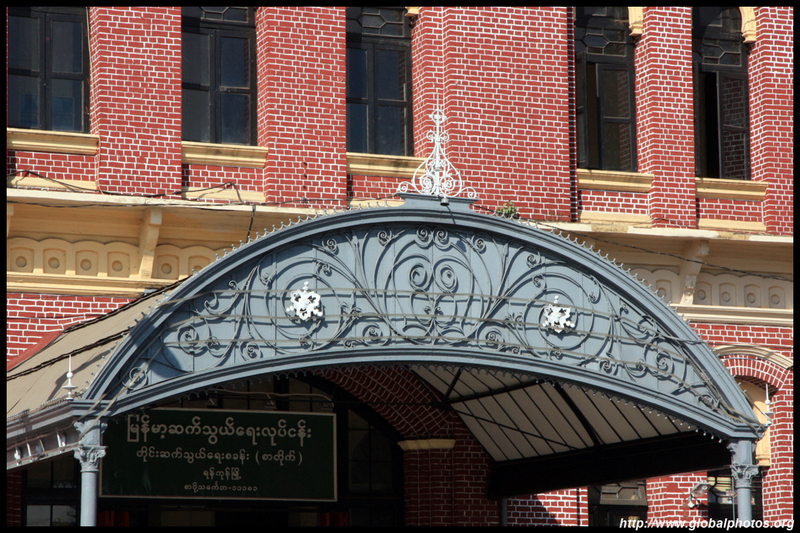 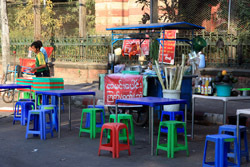 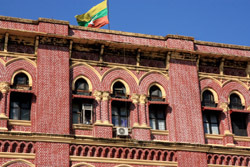 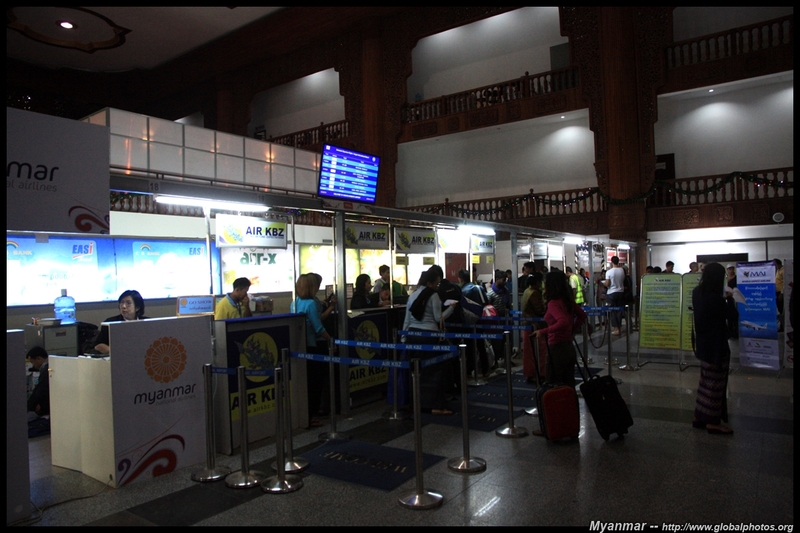 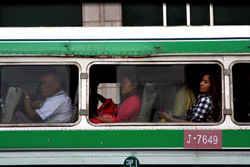 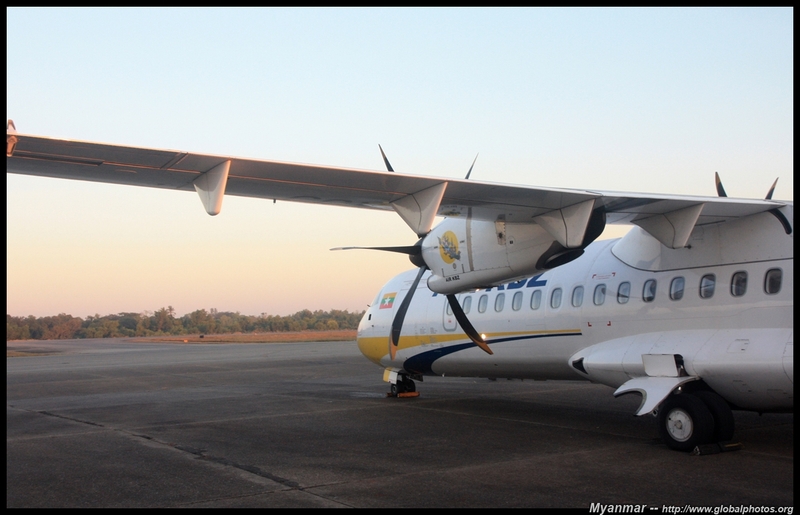 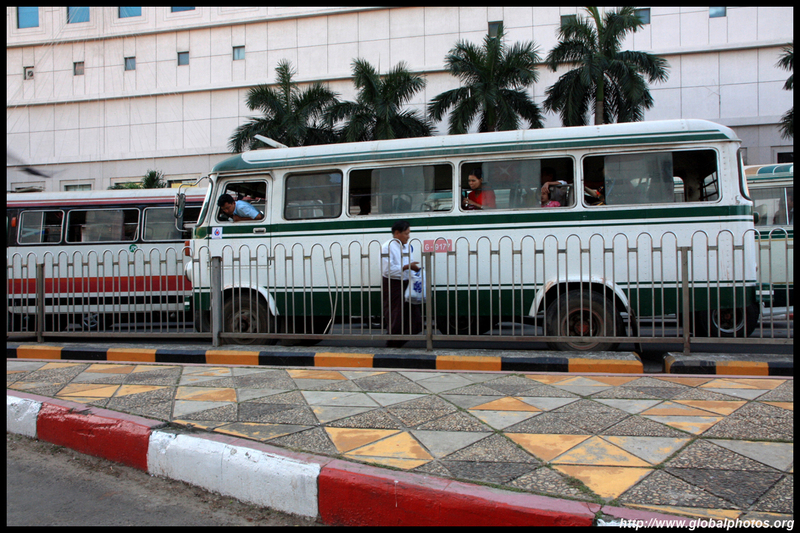 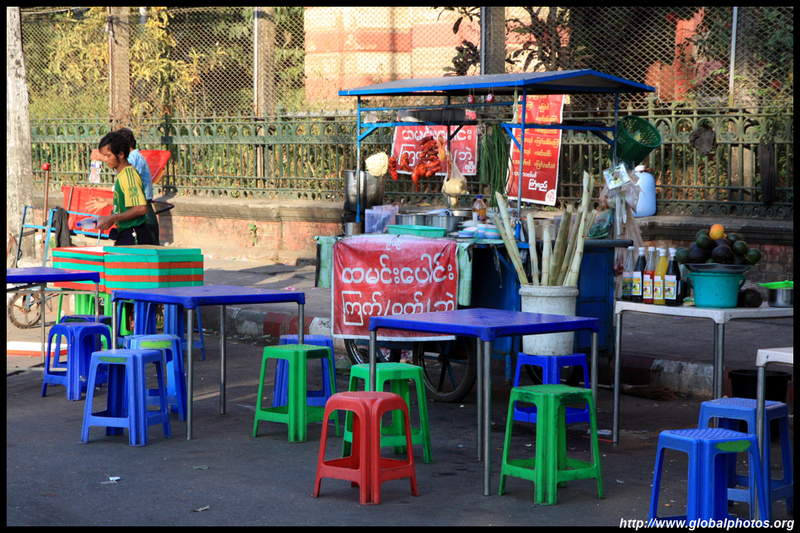 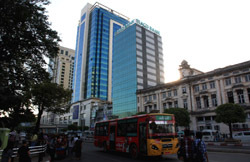 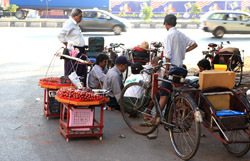 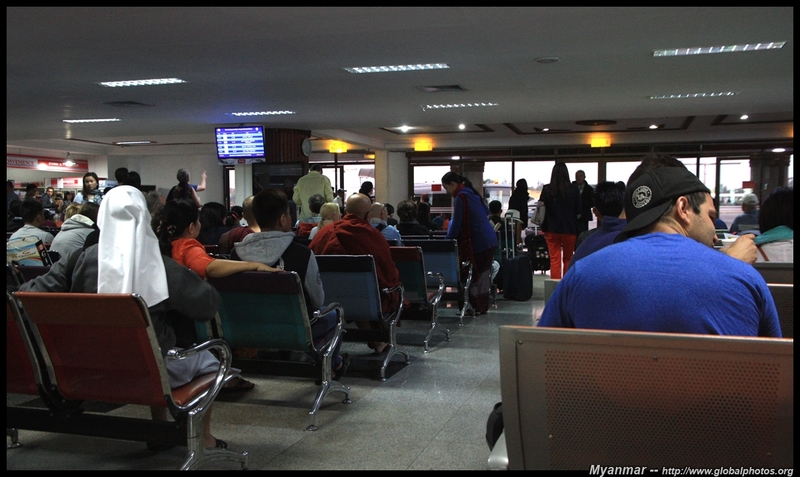 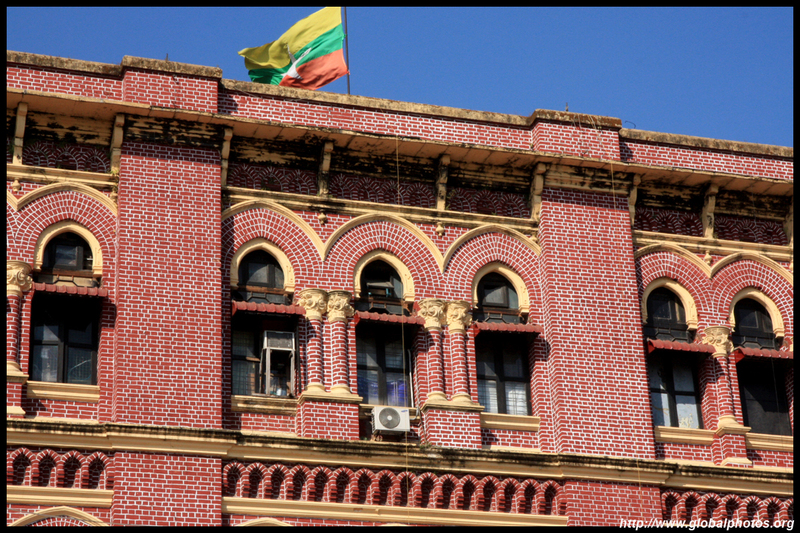 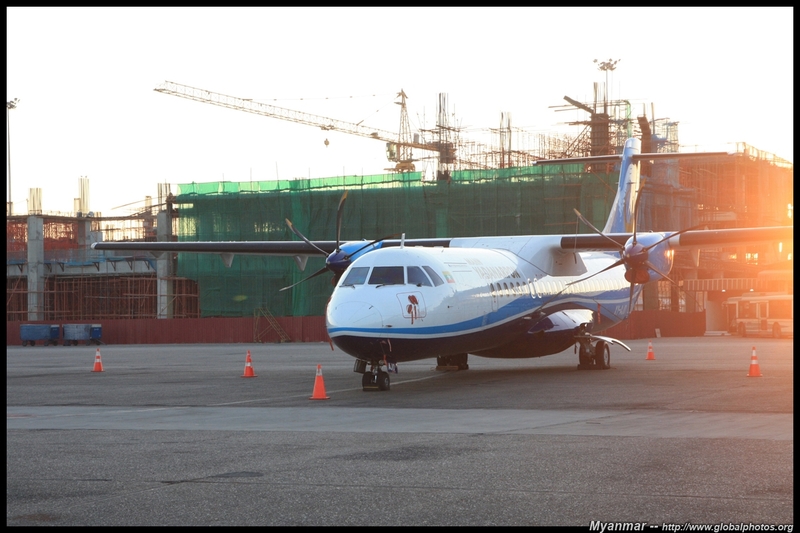 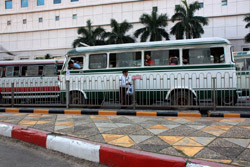 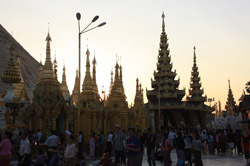 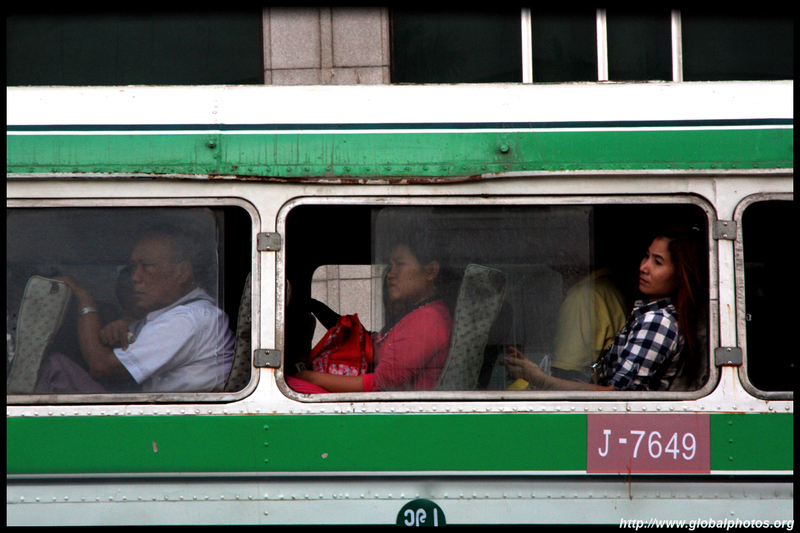 Since Myanmar's military government loosened its grip on power and Western countries relaxed its sanctions, tourists have began to return to the country. 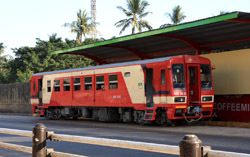 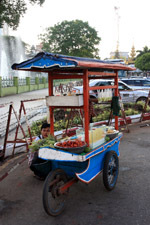 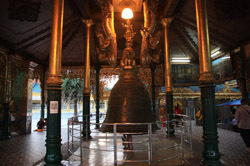 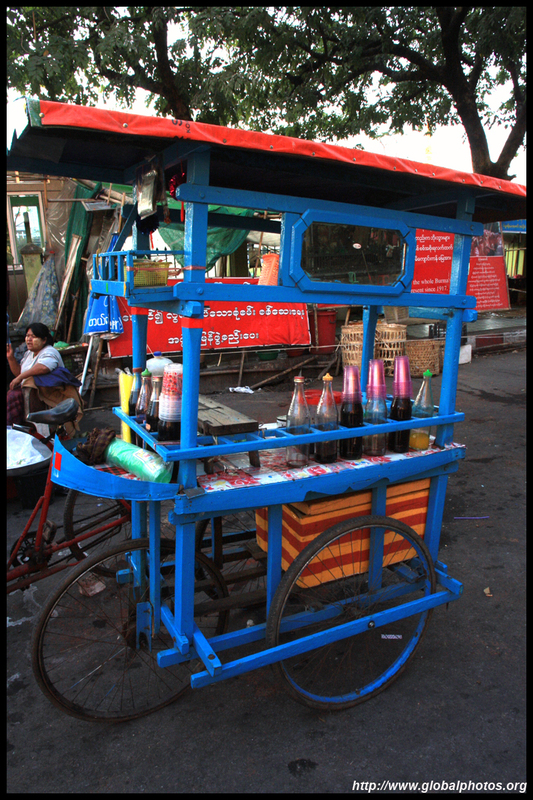 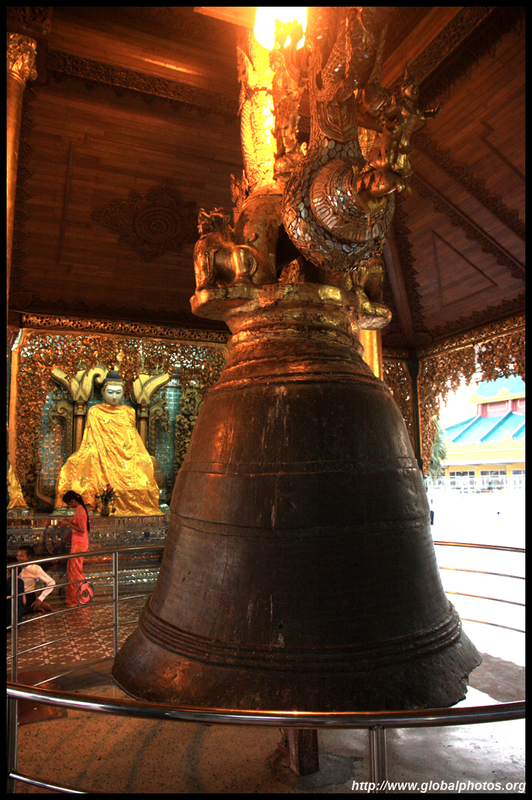 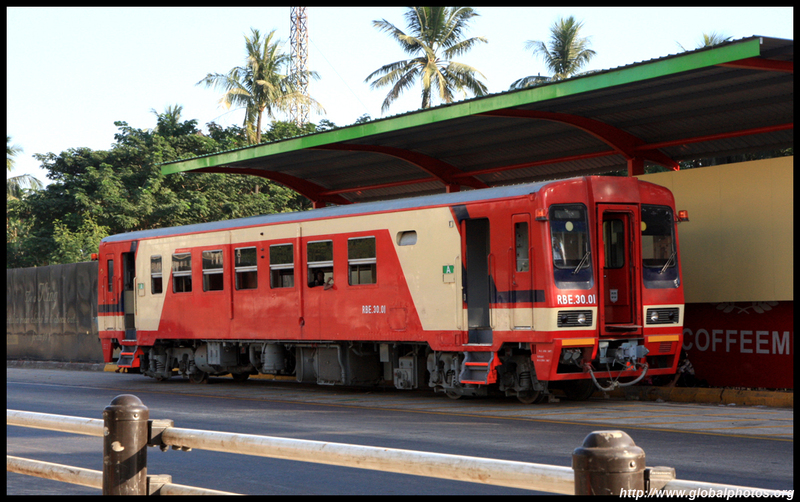 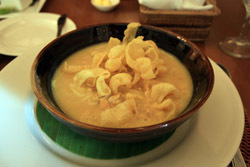 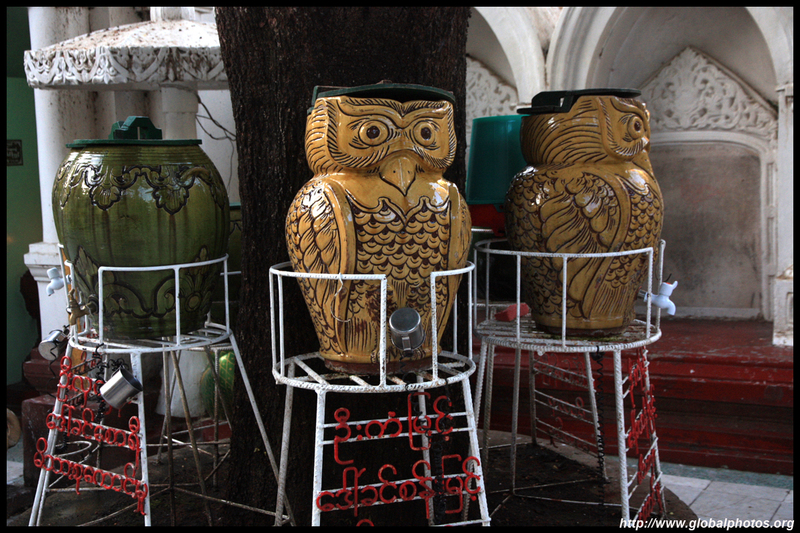 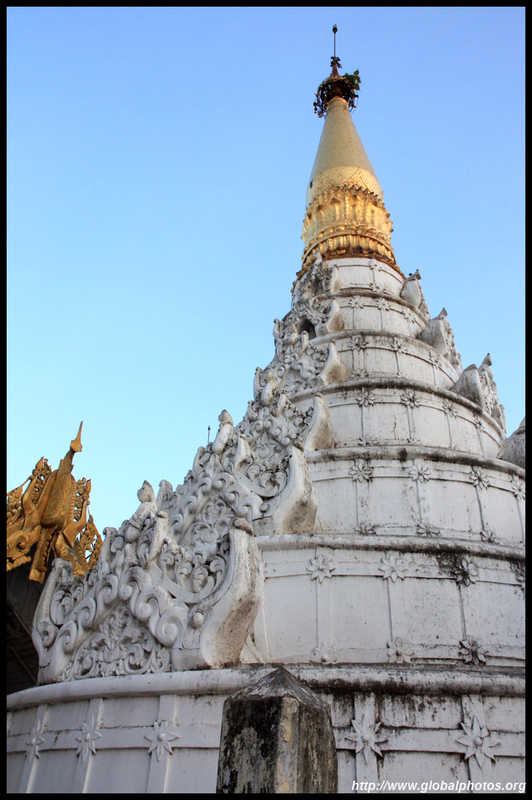 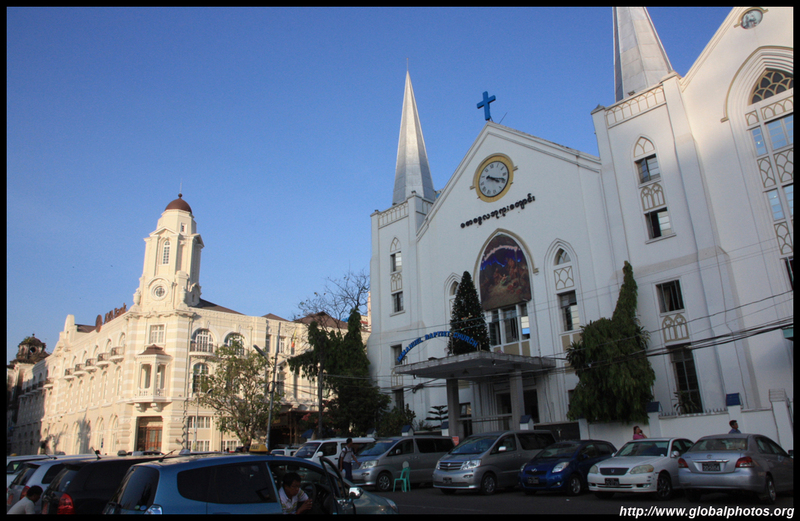 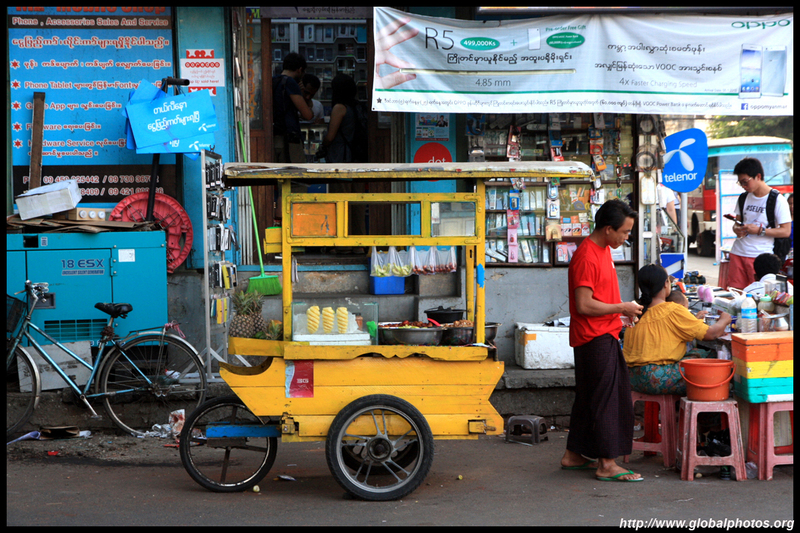 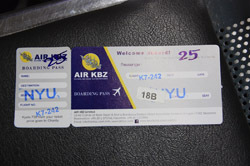 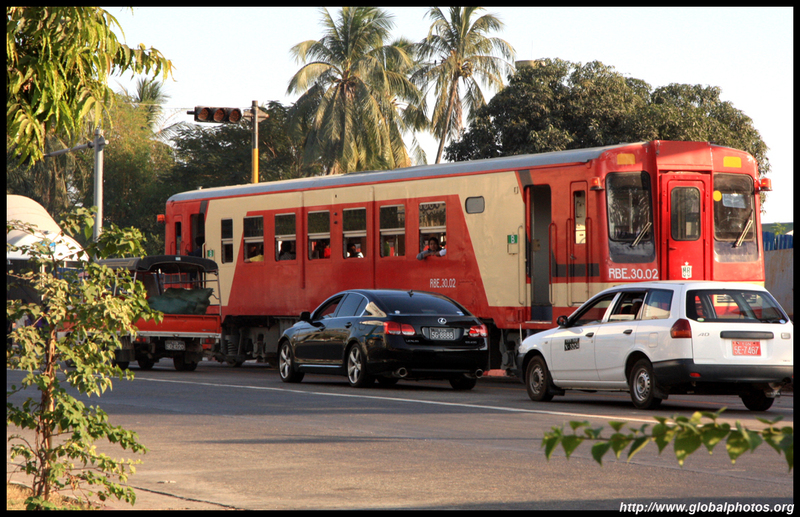 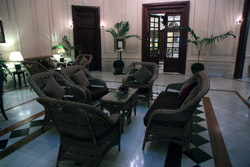 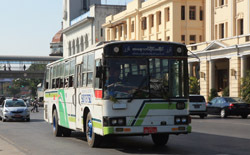 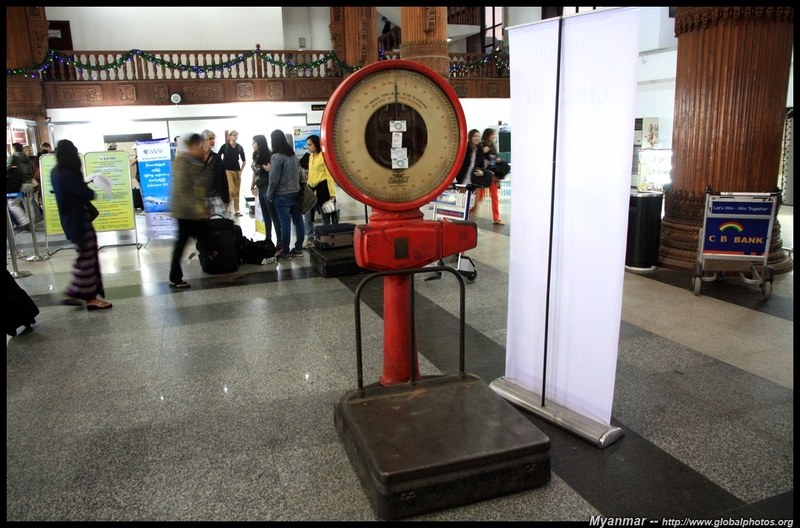 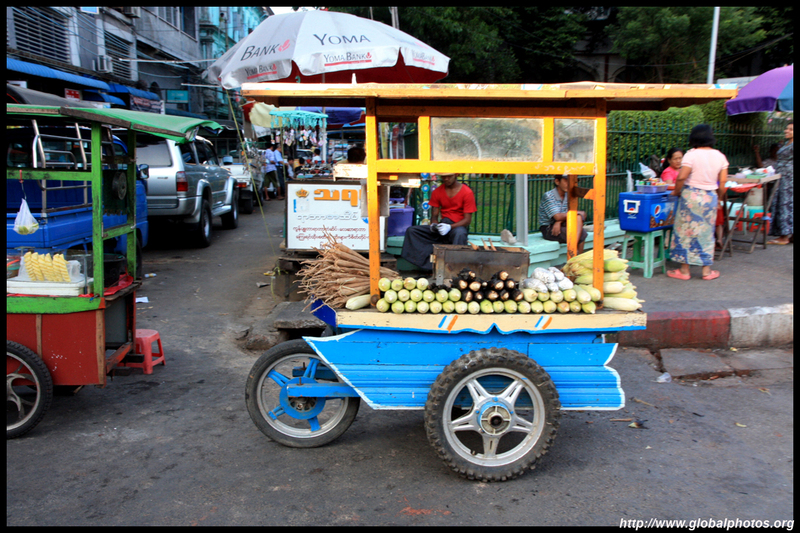 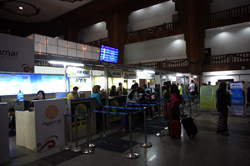 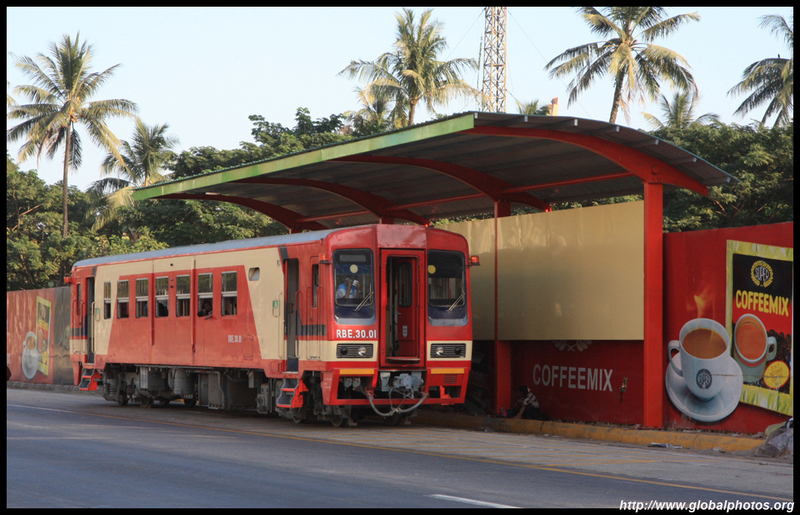 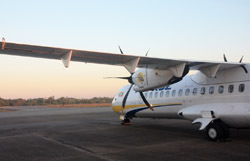 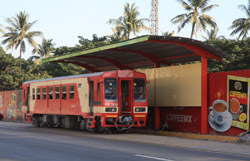 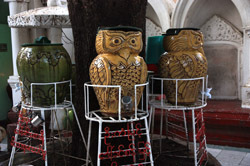 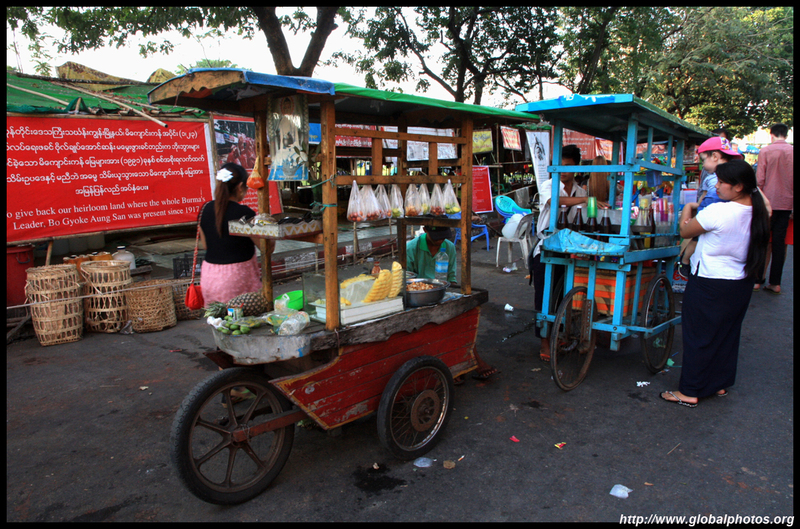 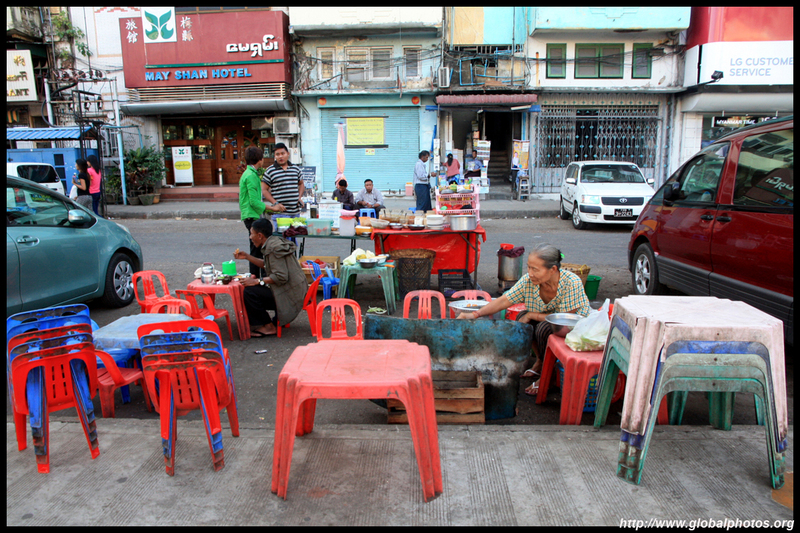 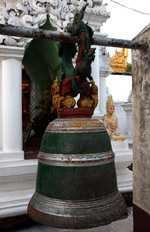 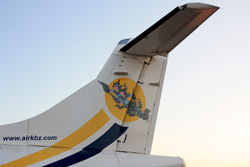 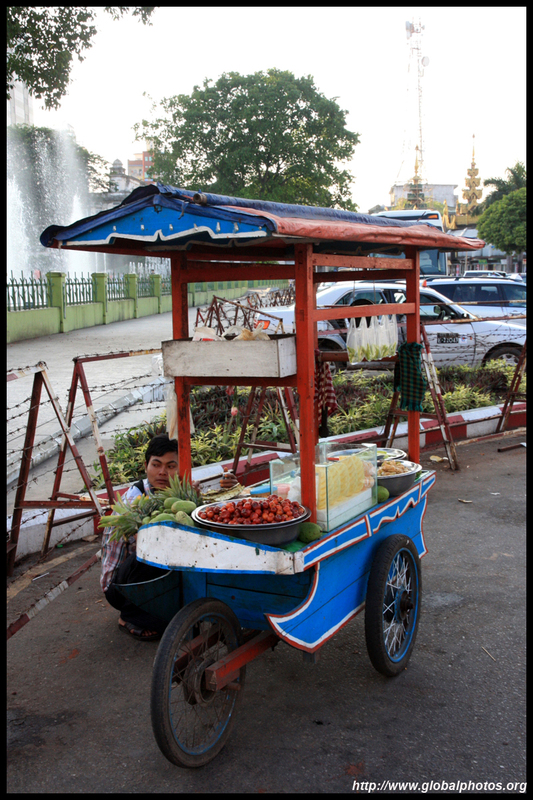 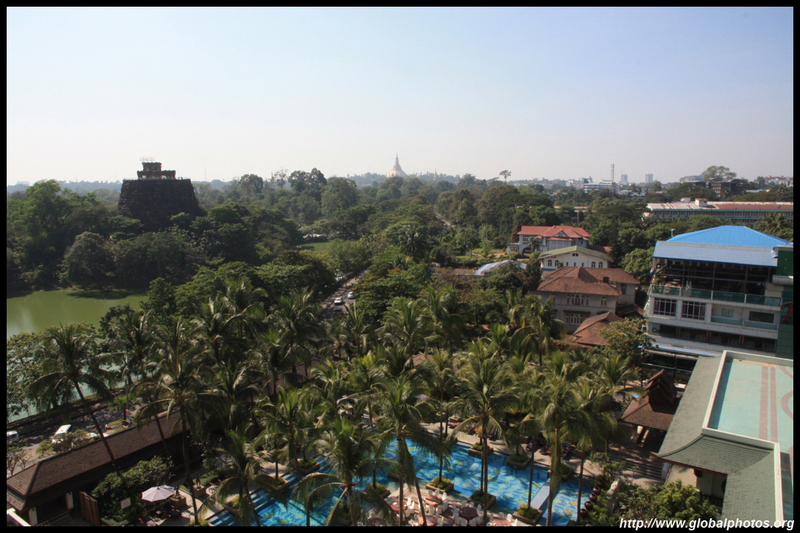 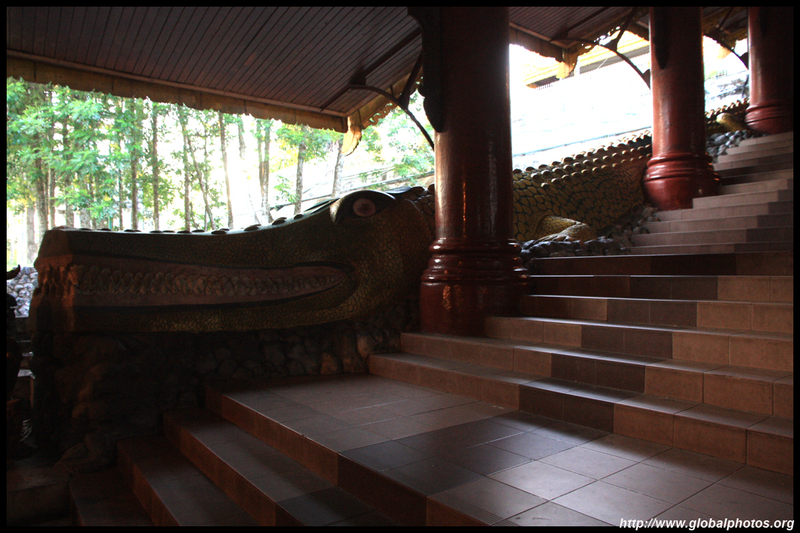 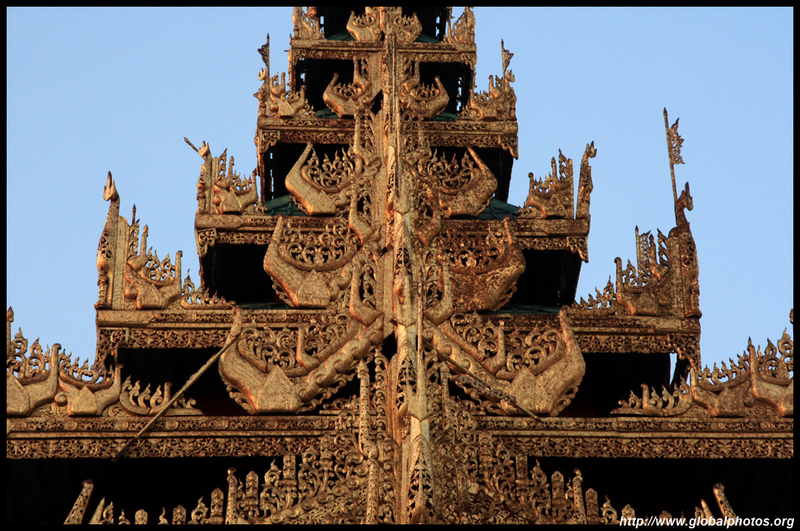 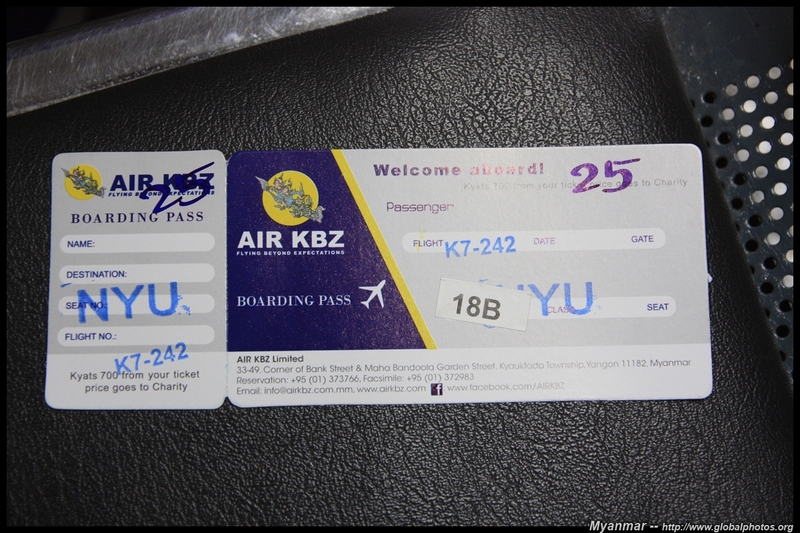 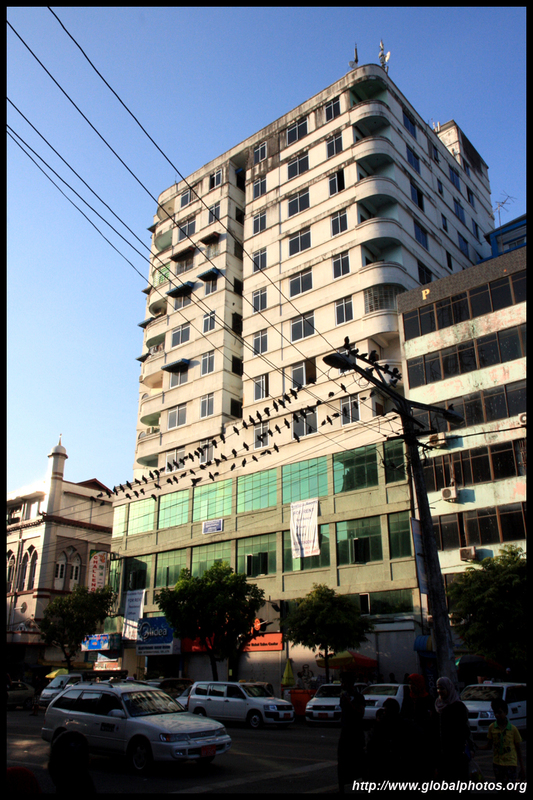 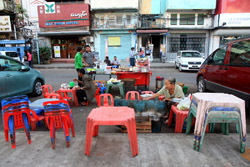 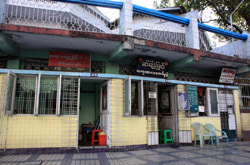 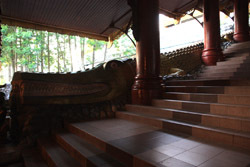 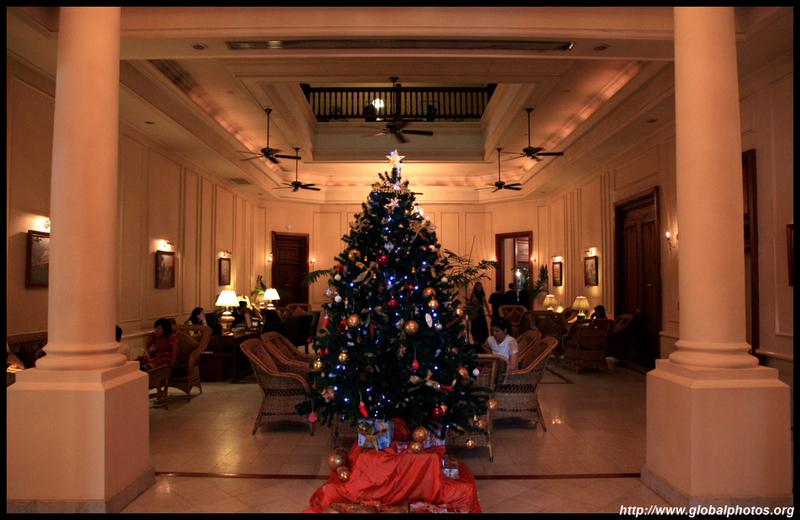 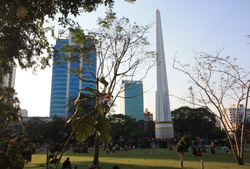 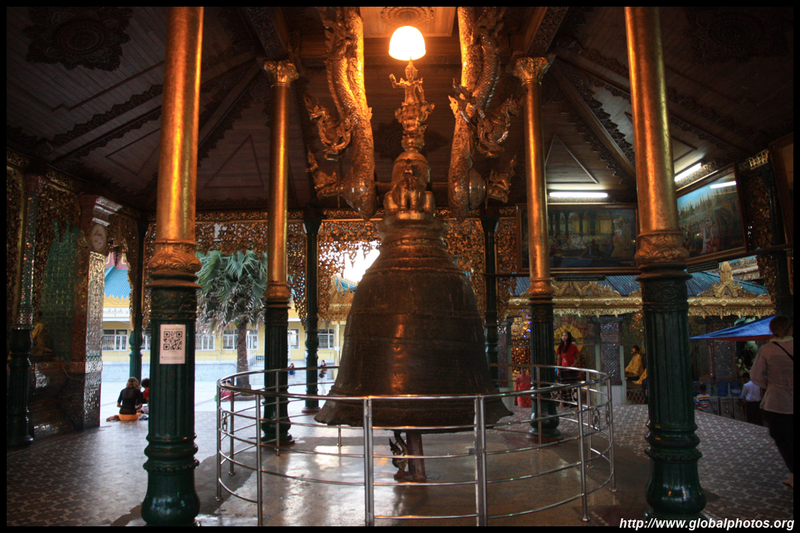 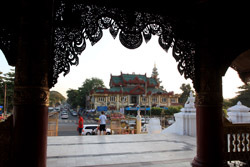 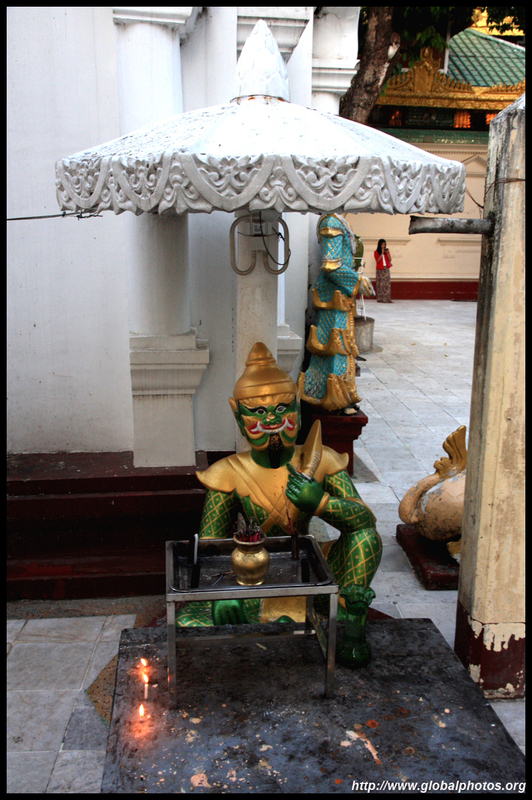 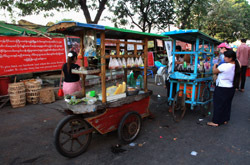 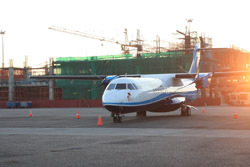 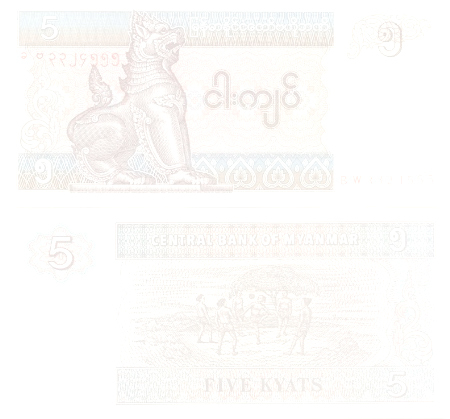 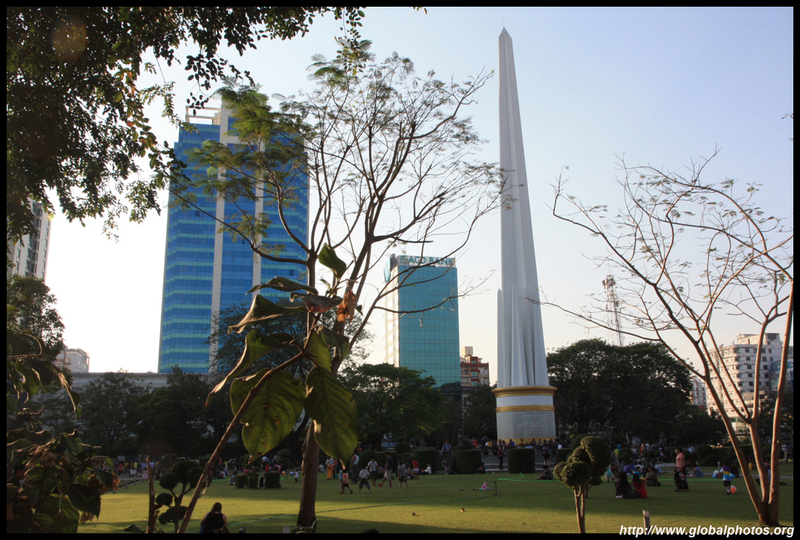 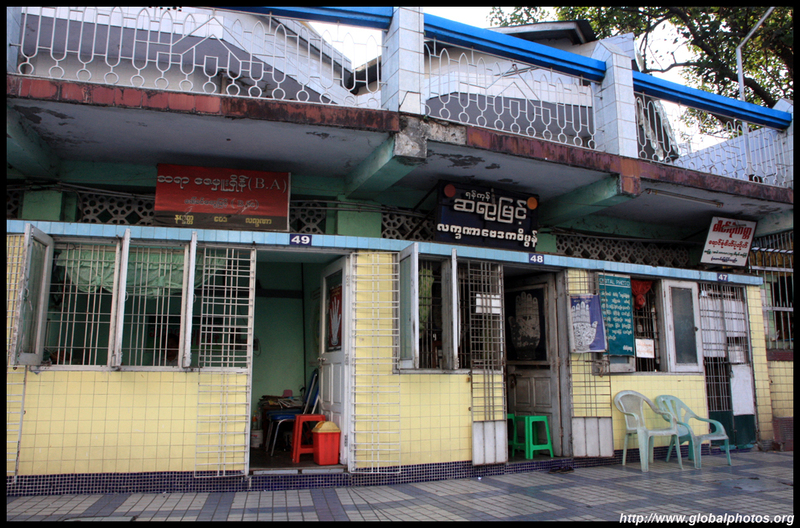 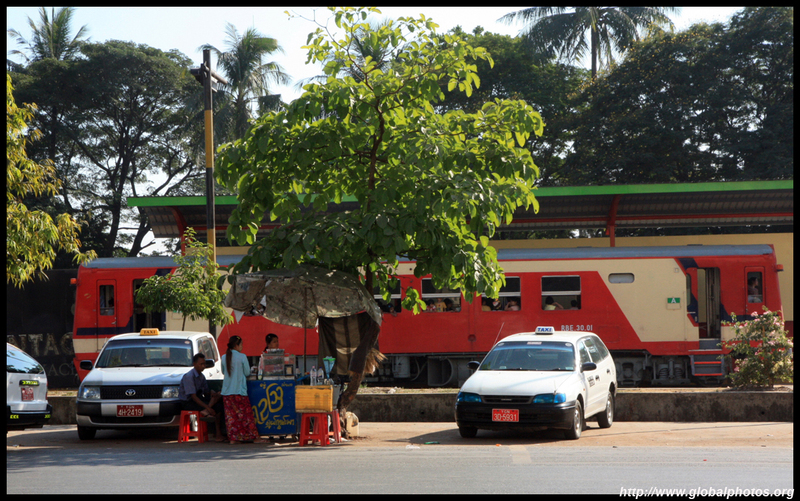 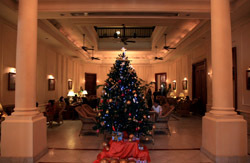 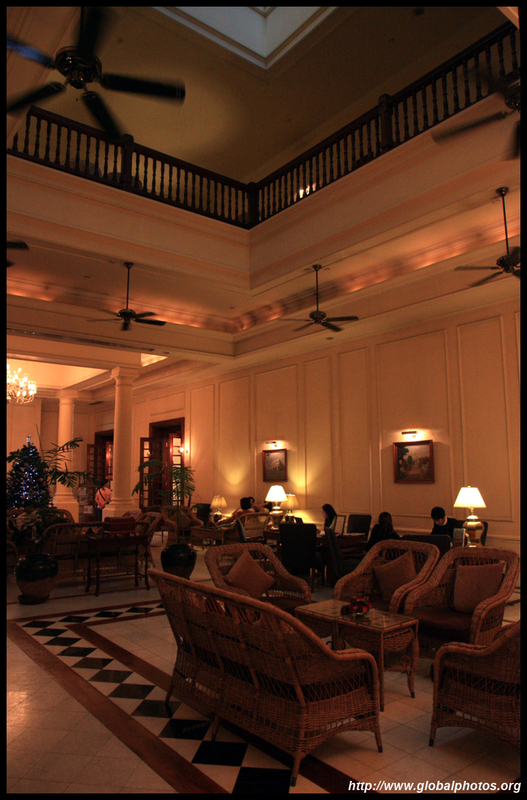 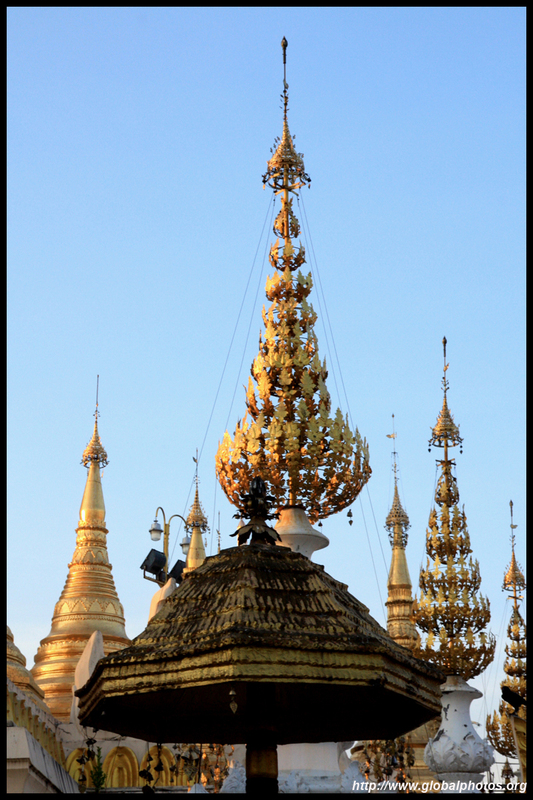 Being only an hour from Bangkok by air, it is a convenient location for a quick trip. 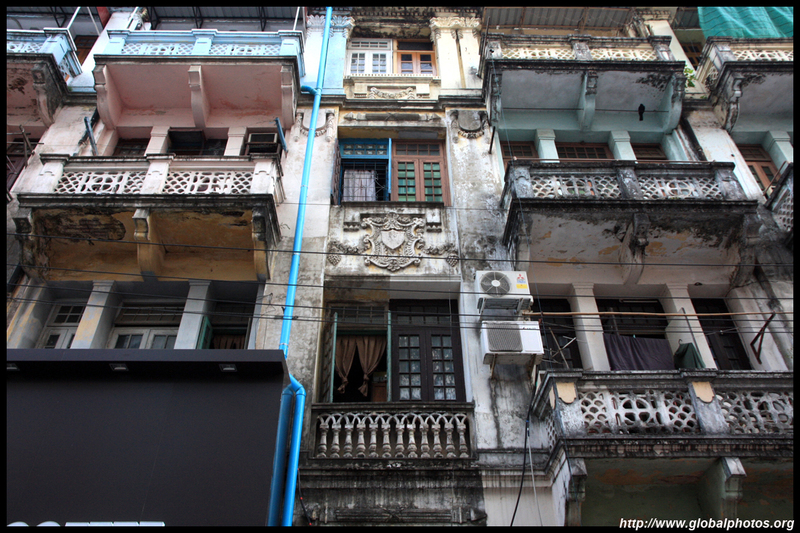 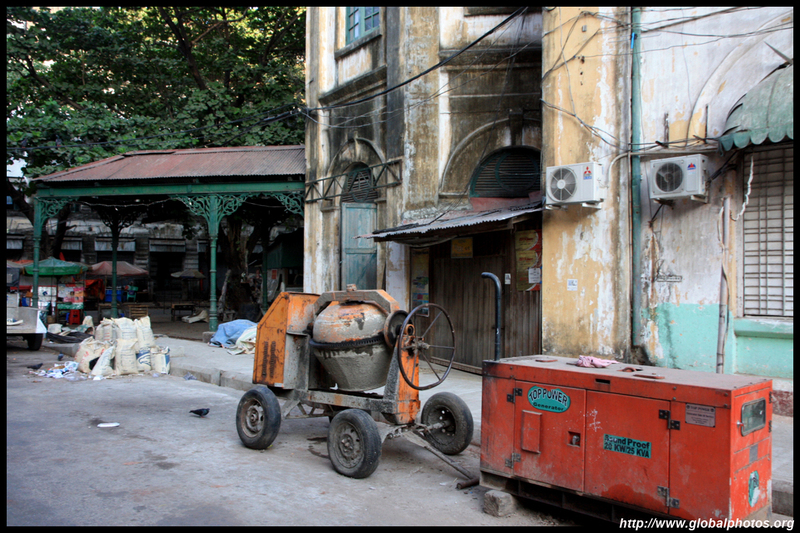 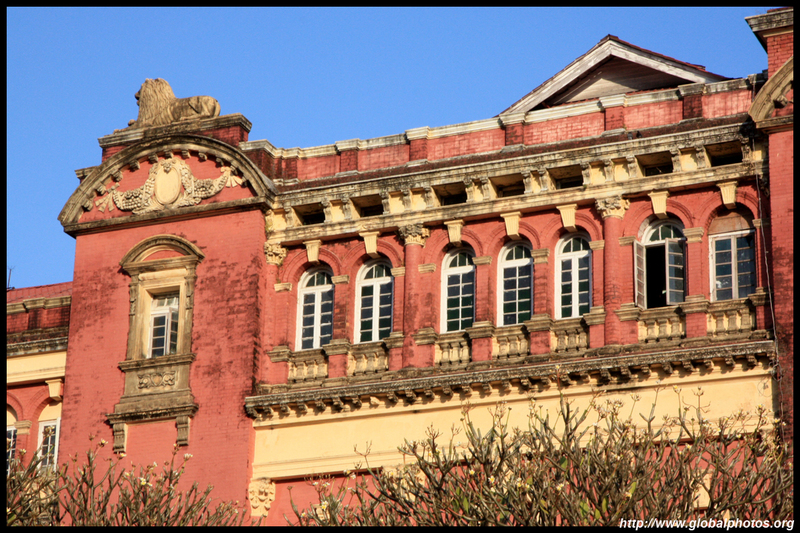 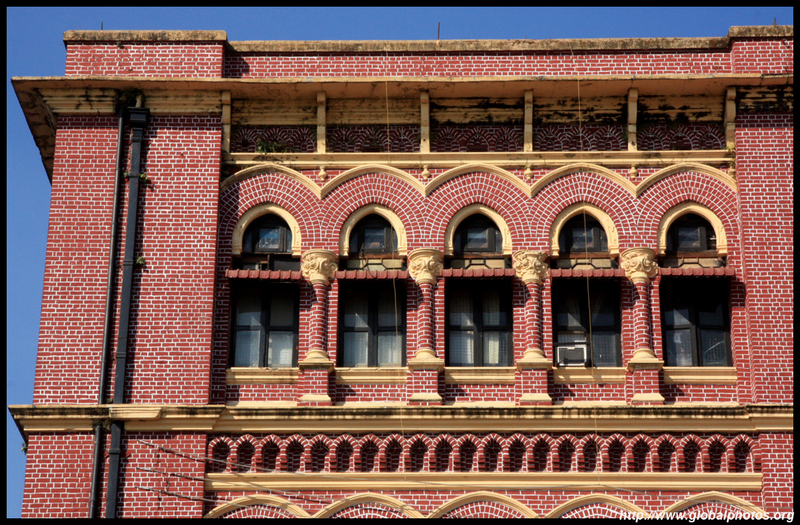 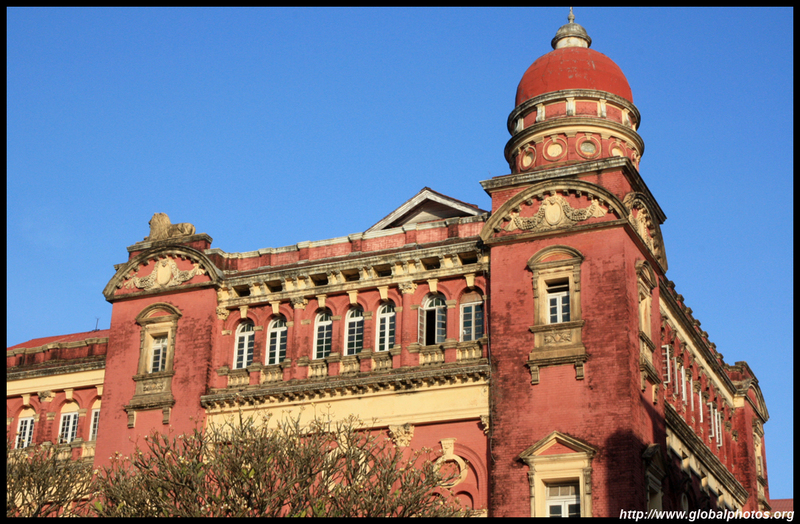 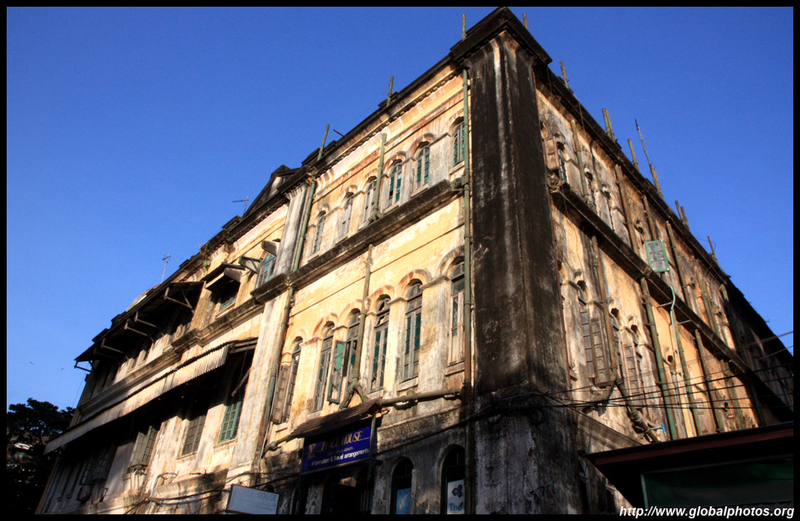 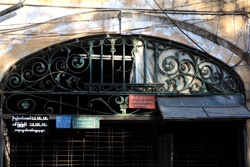 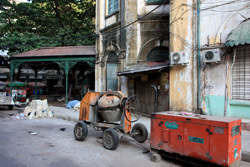 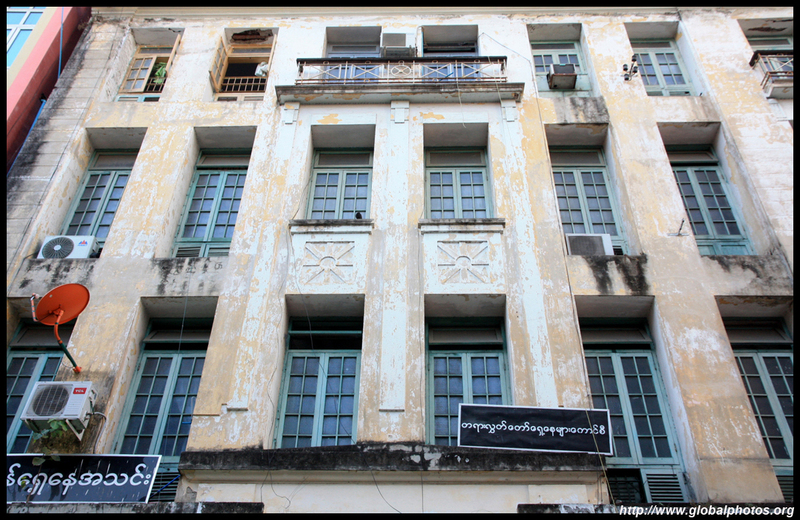 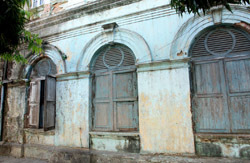 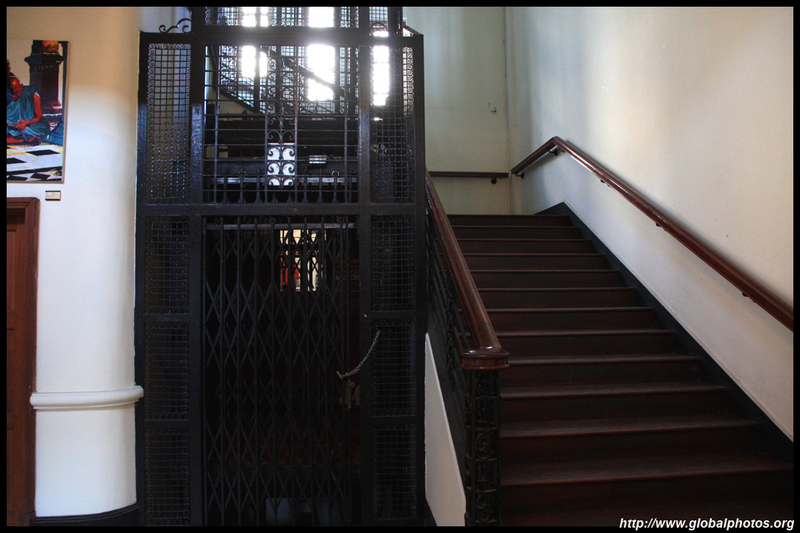 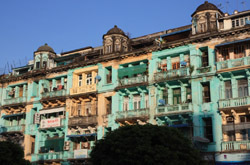 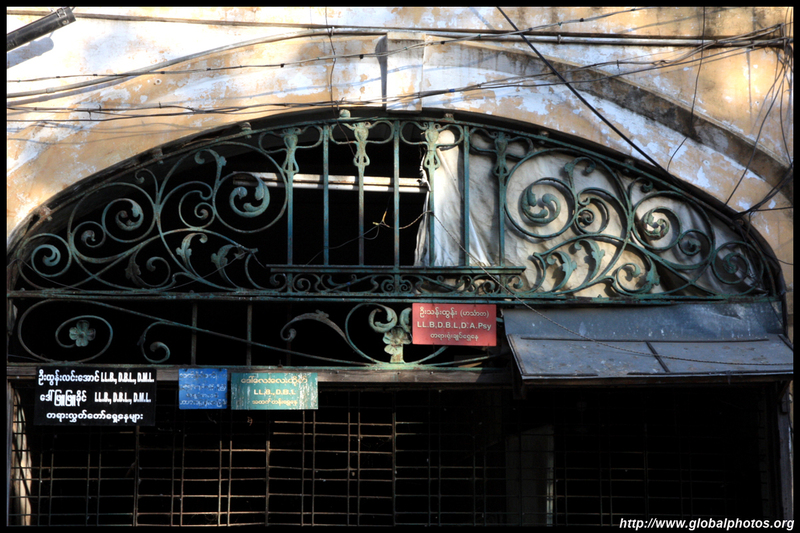 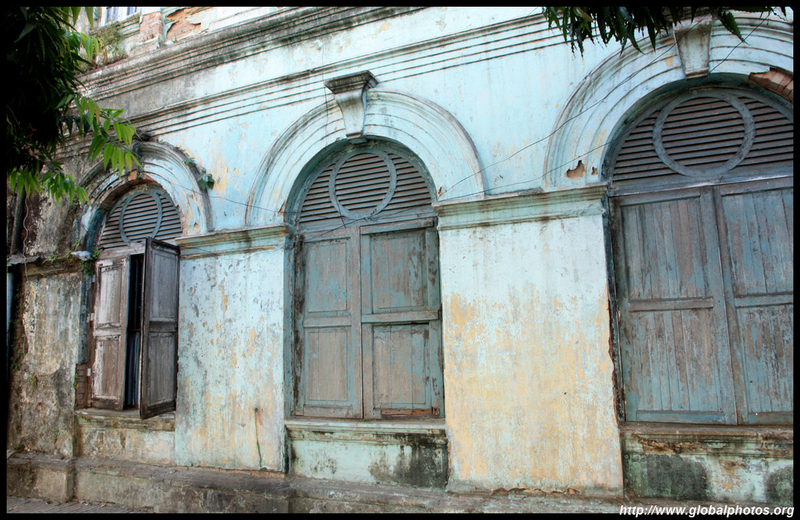 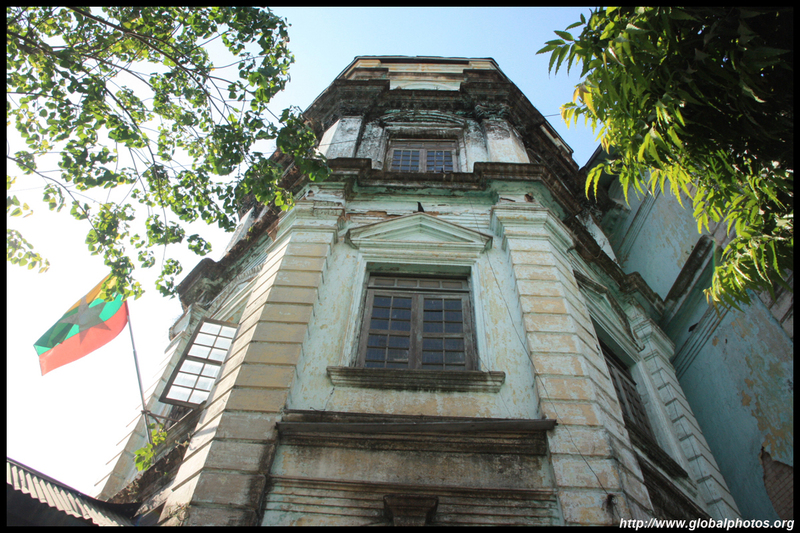 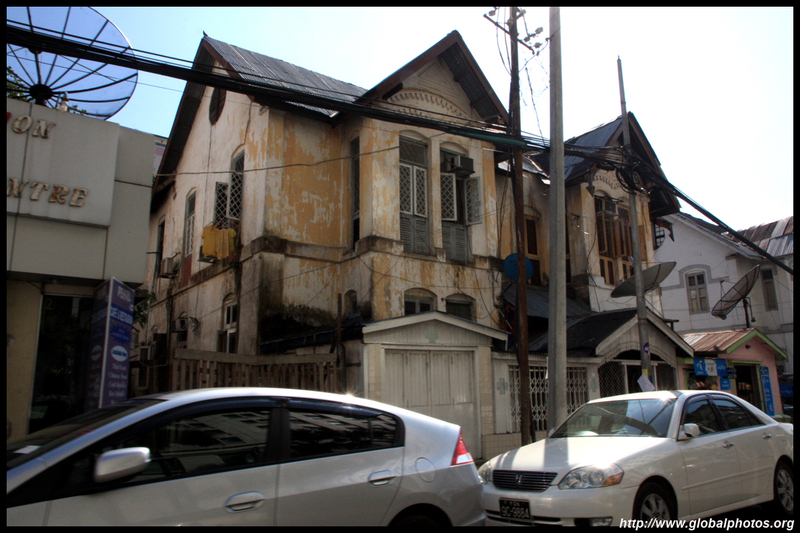 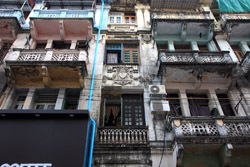 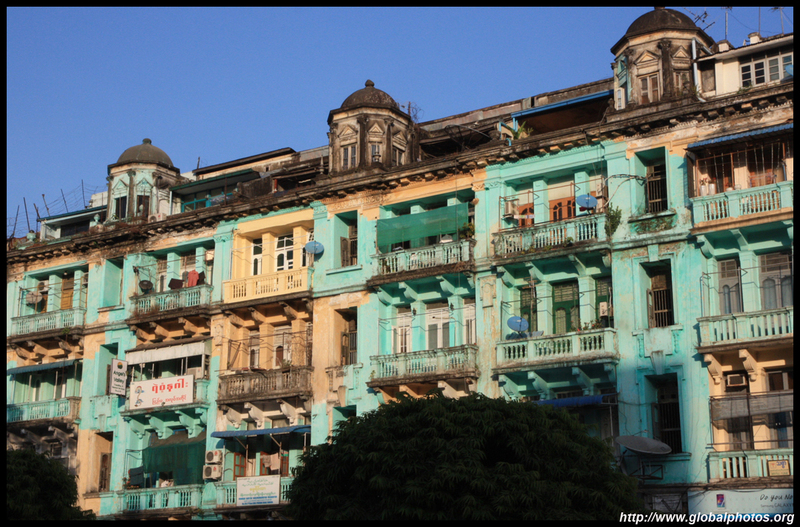 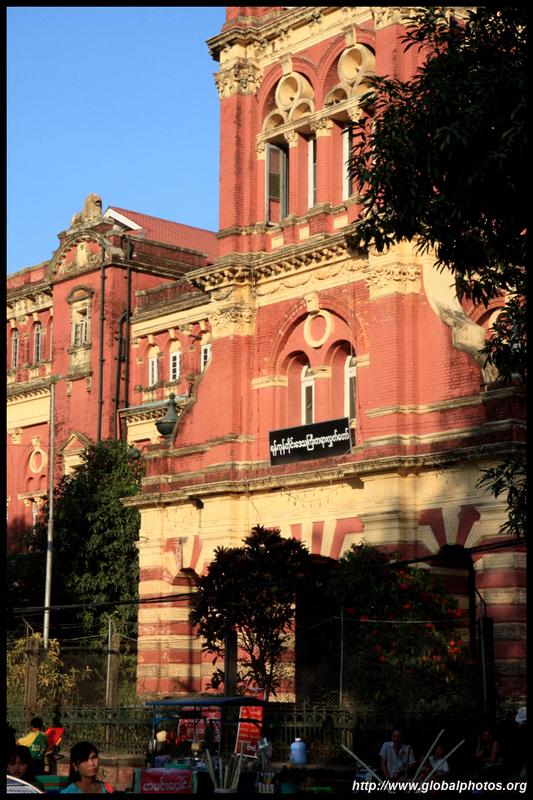 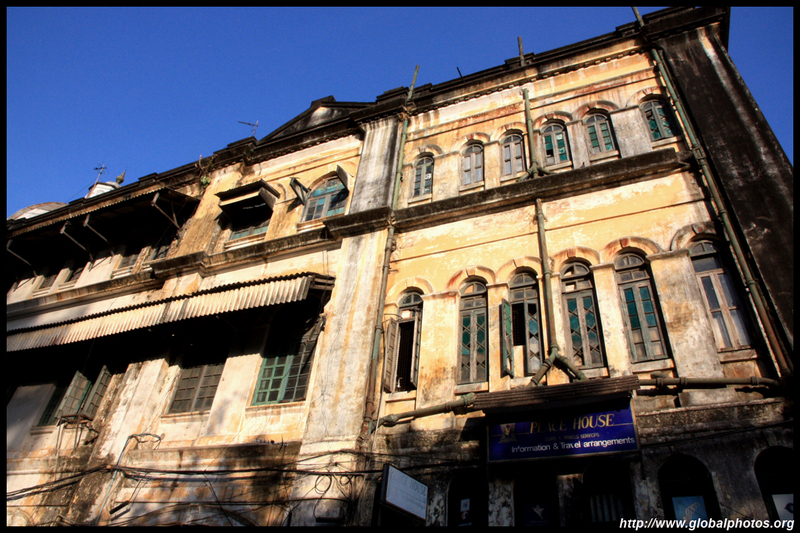 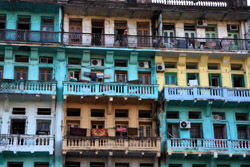 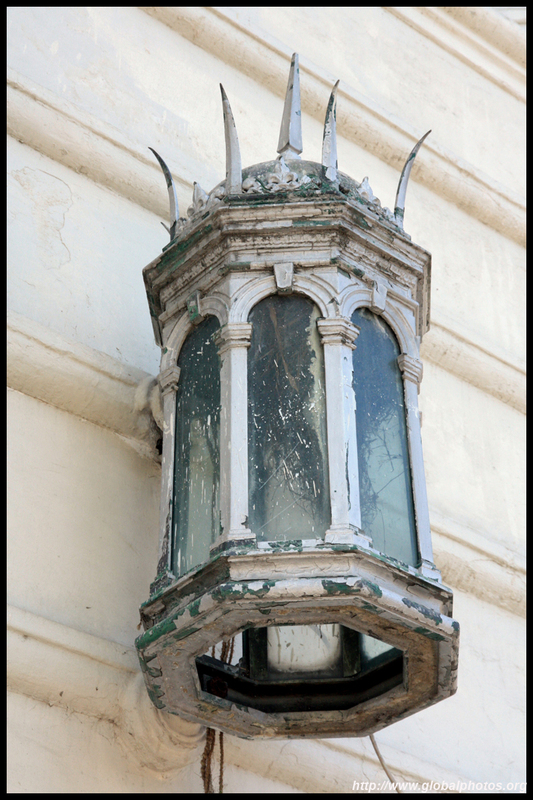 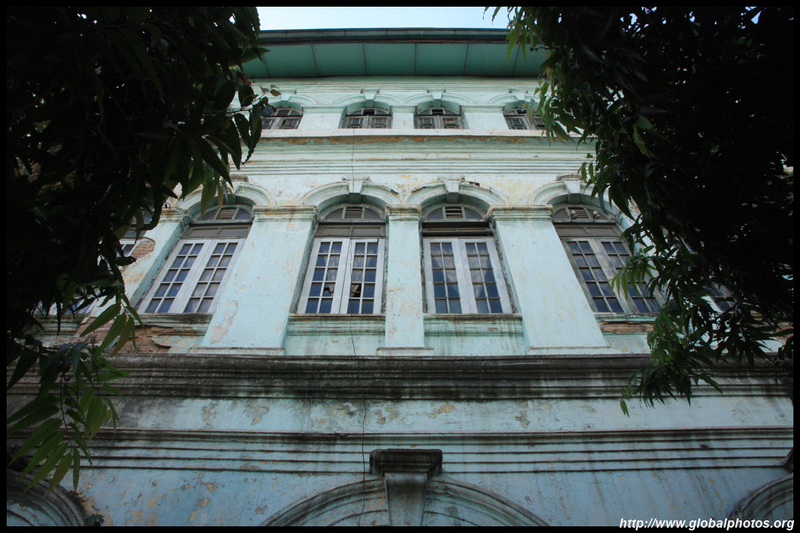 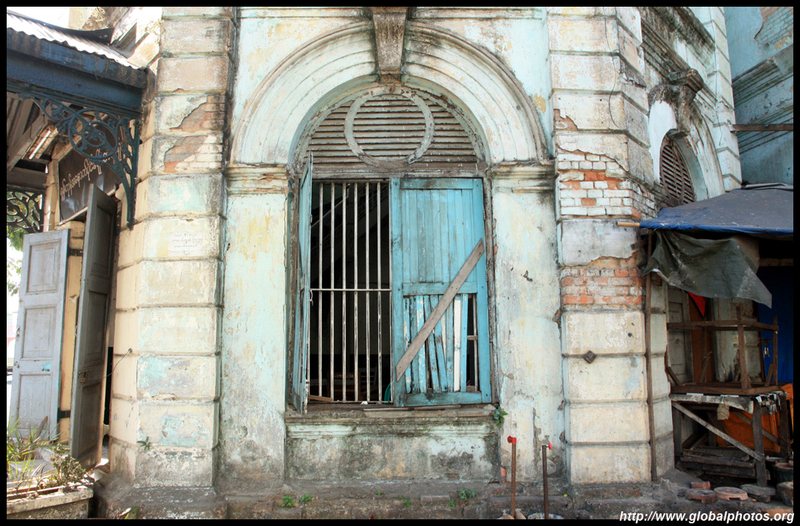 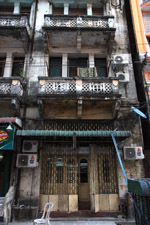 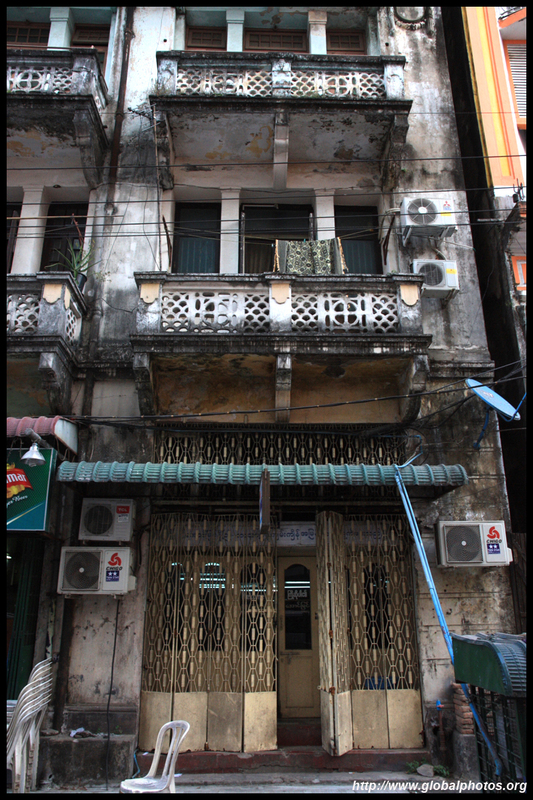 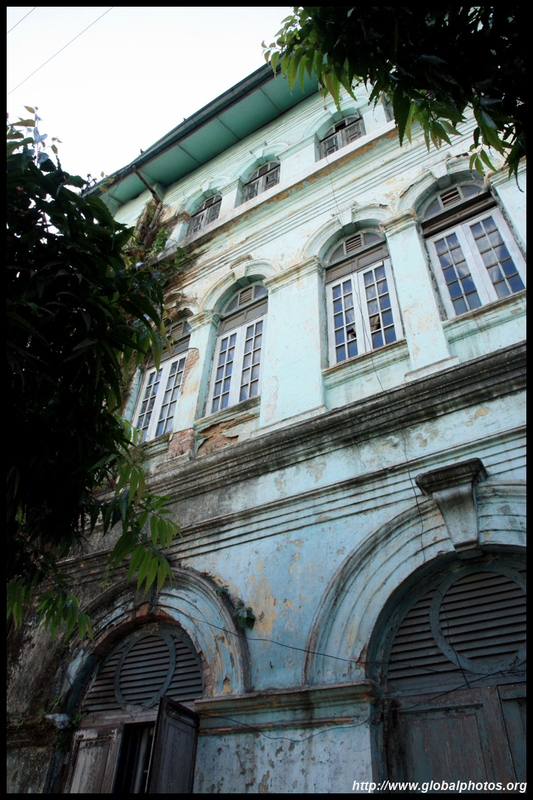 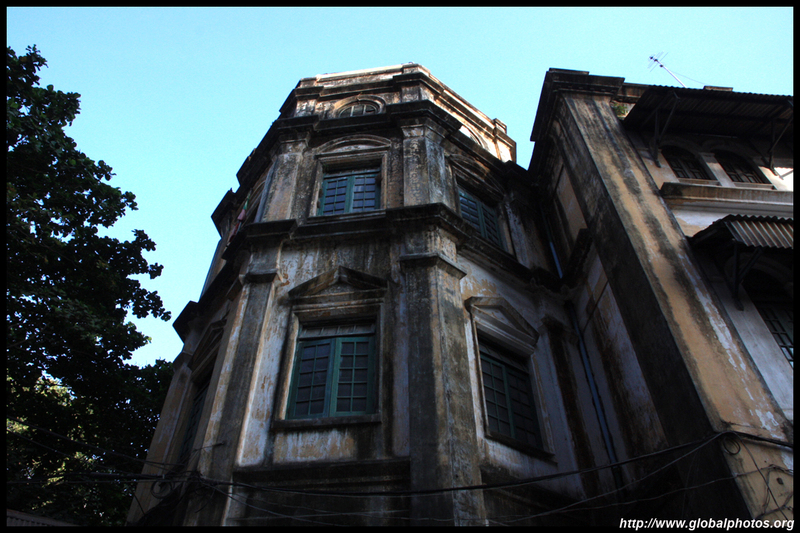 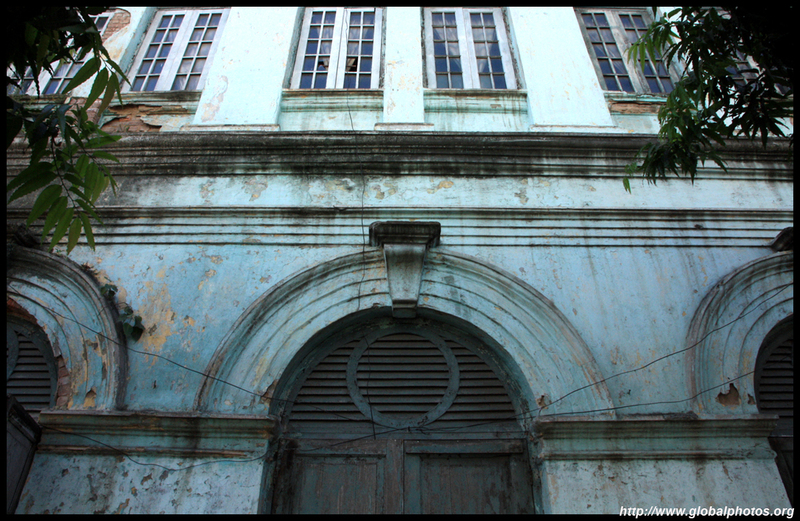 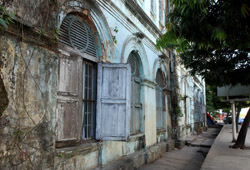 Being an off-the-beaten-track destination with crumbling colonial buildings untouched by modern commercialism, I saw the ravages of time and also rapid change. 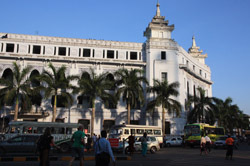 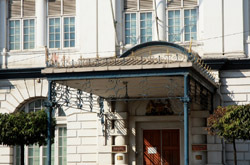 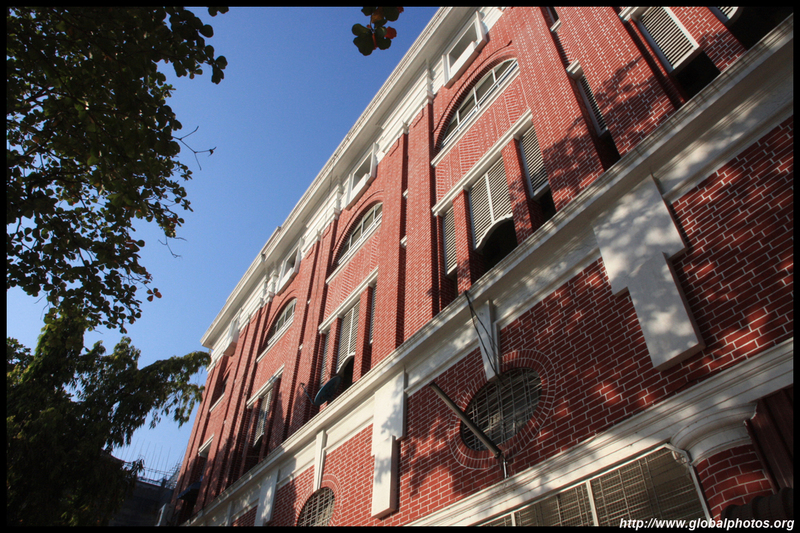 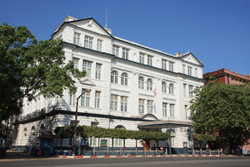 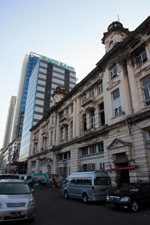 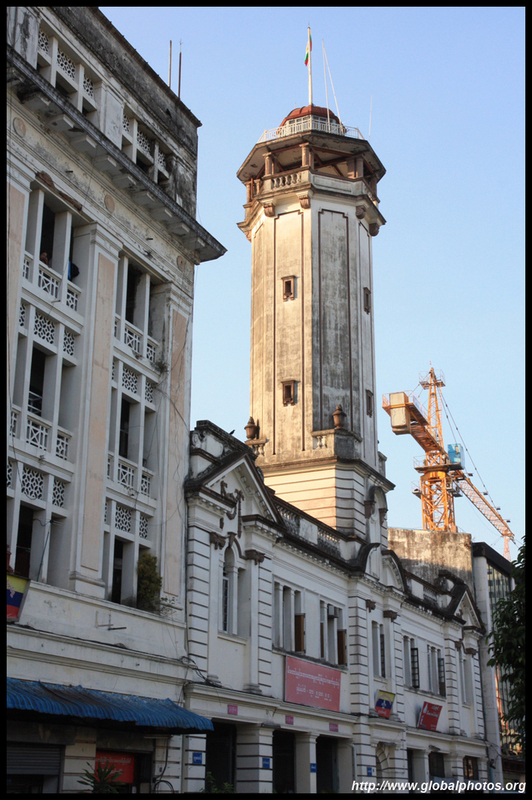 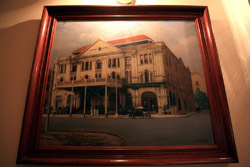 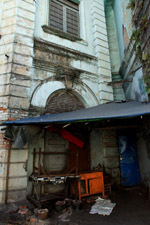 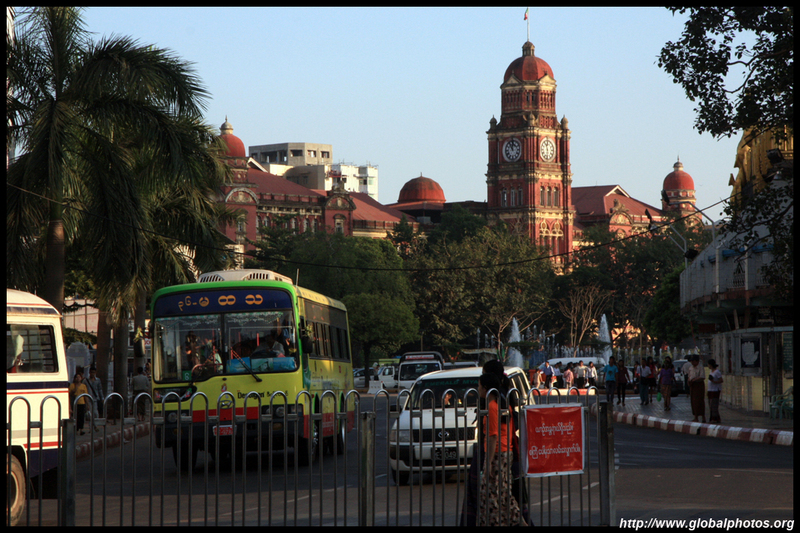 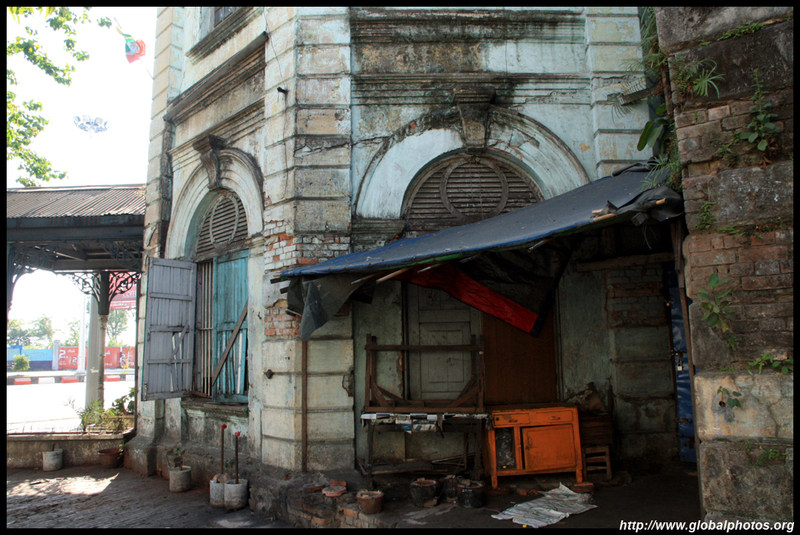 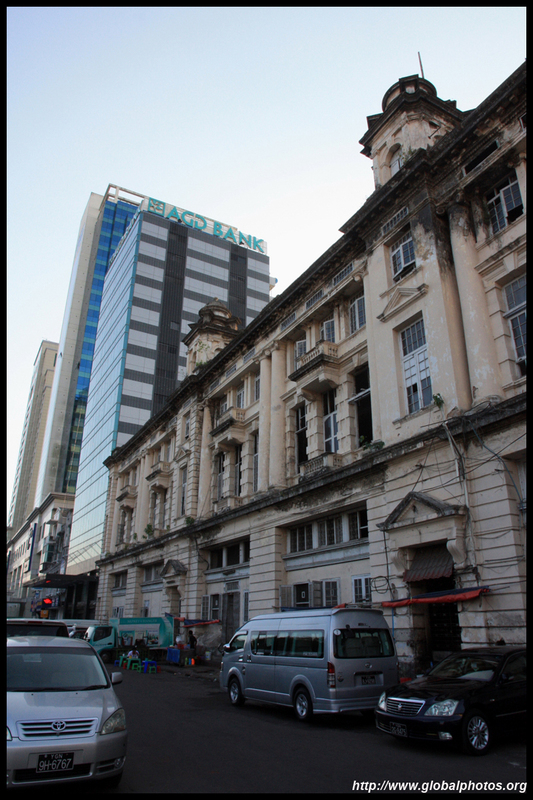 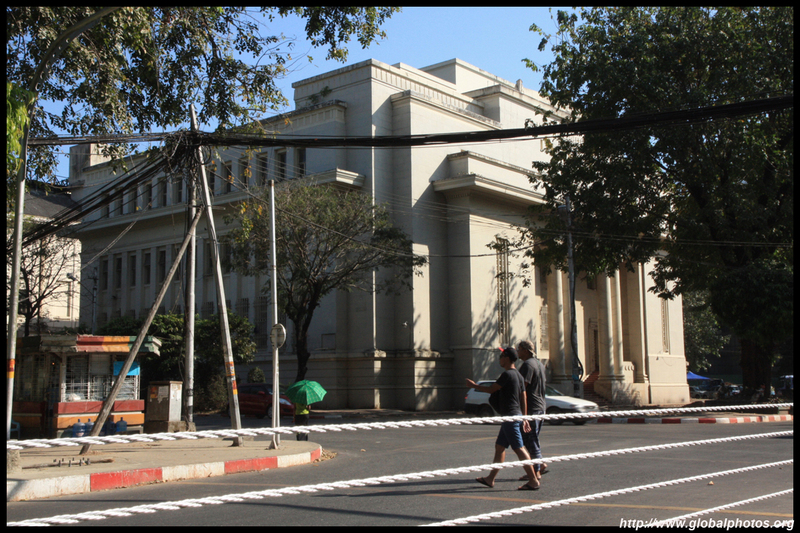 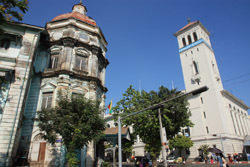 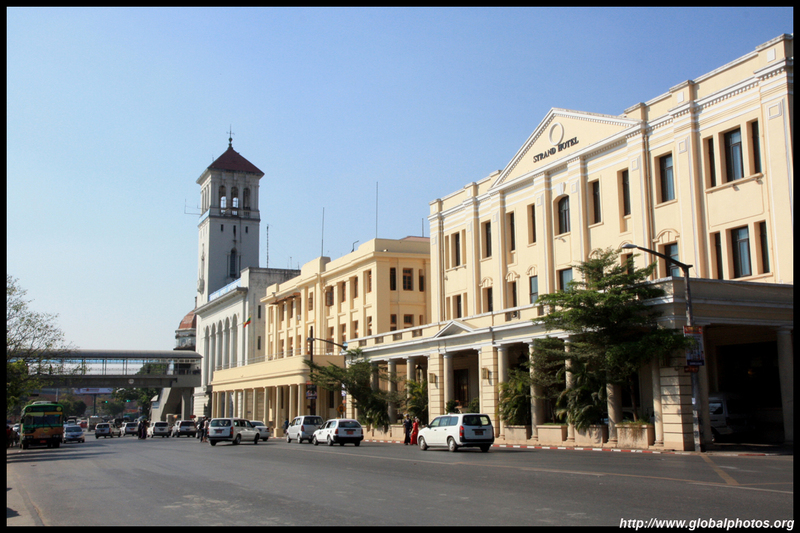 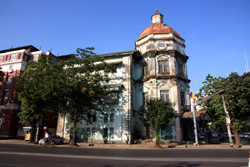 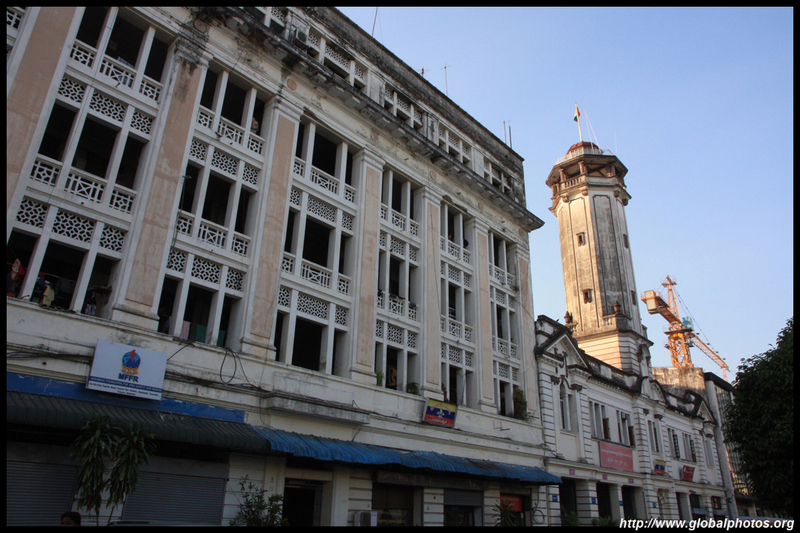 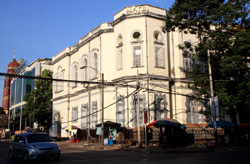 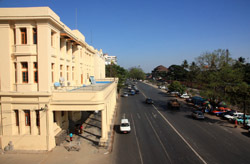 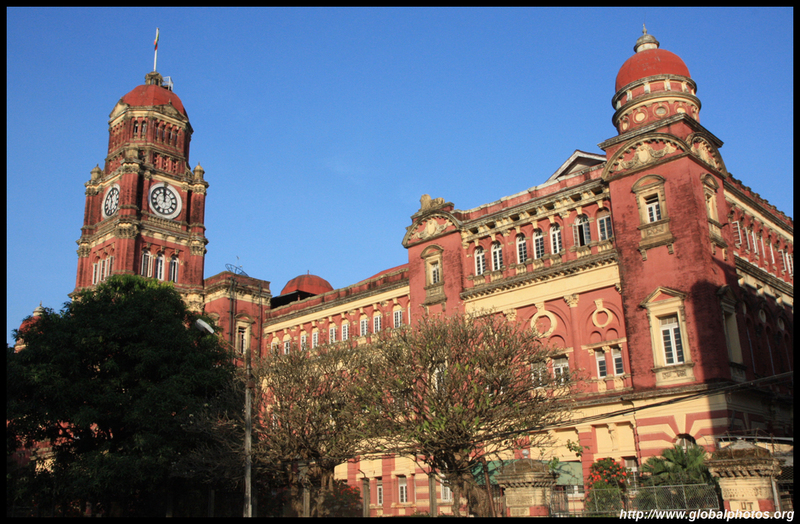 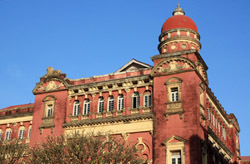 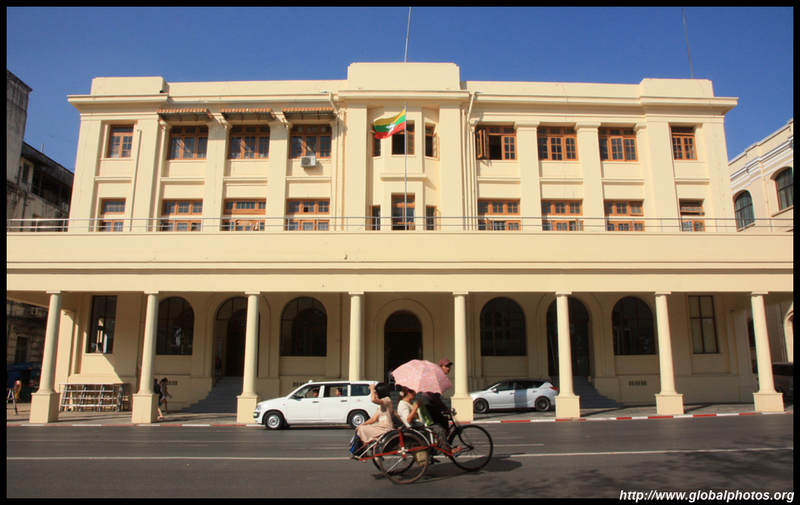 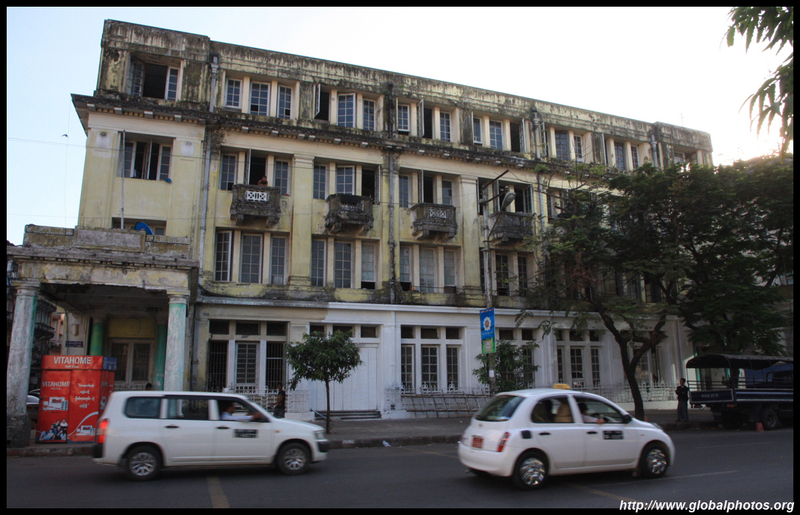 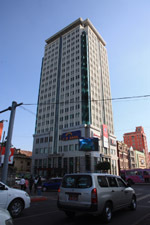 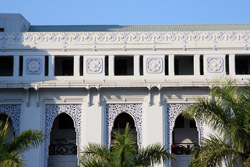 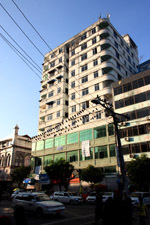 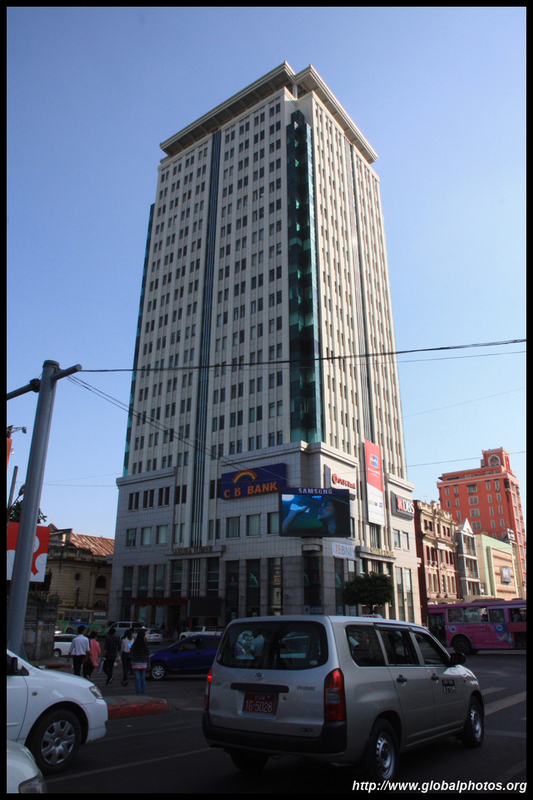 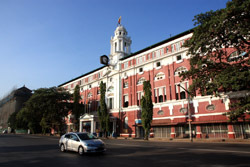 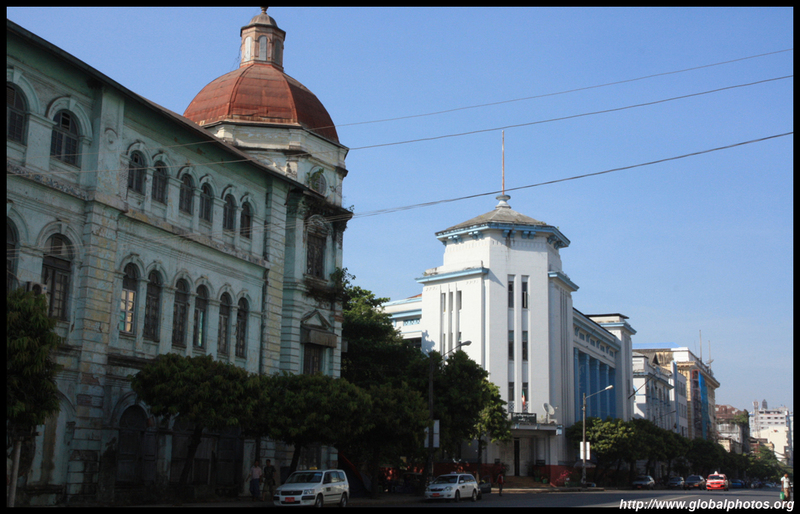 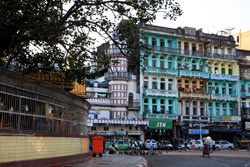 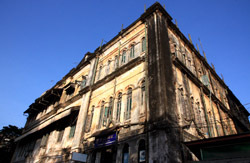 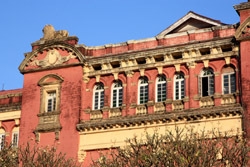 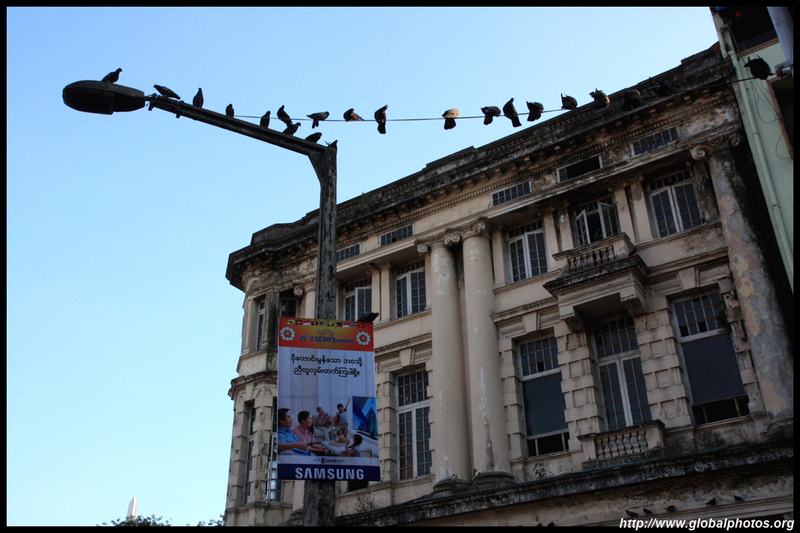 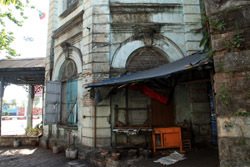 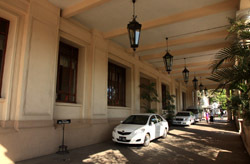 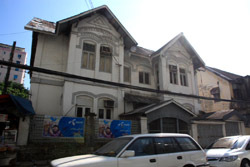 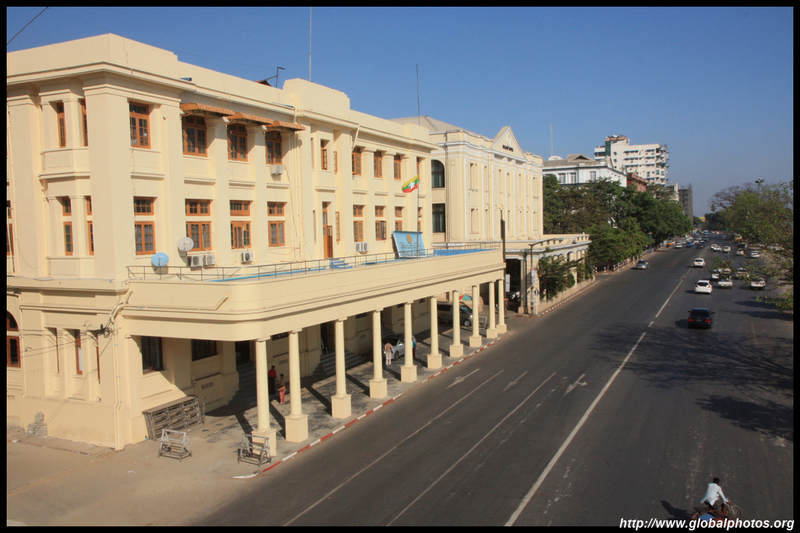 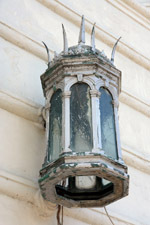 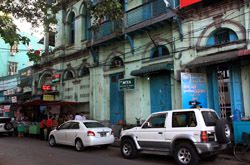 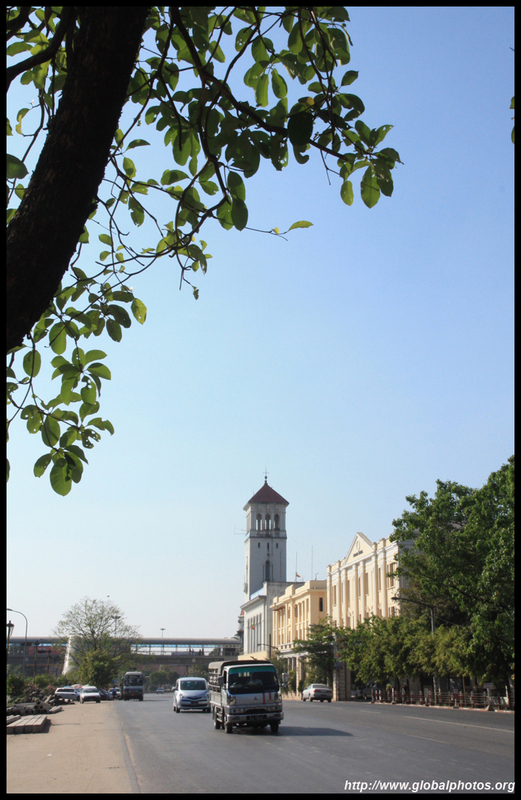 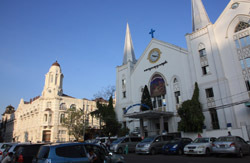 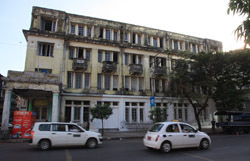 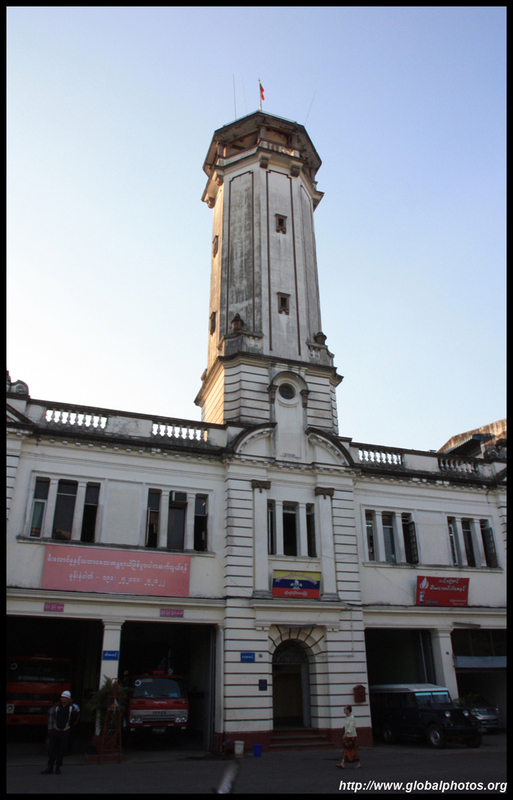 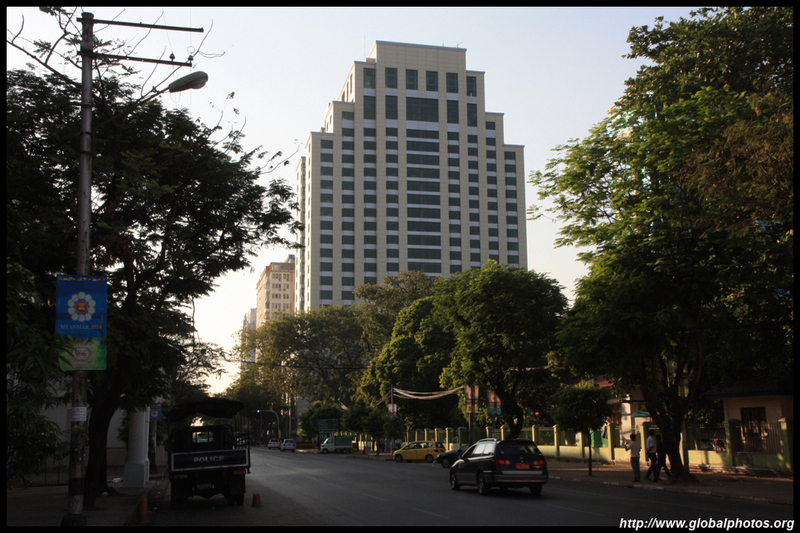 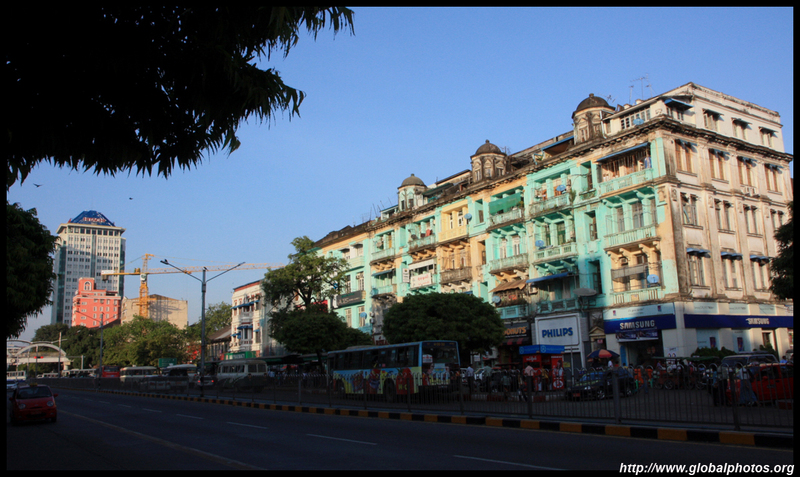 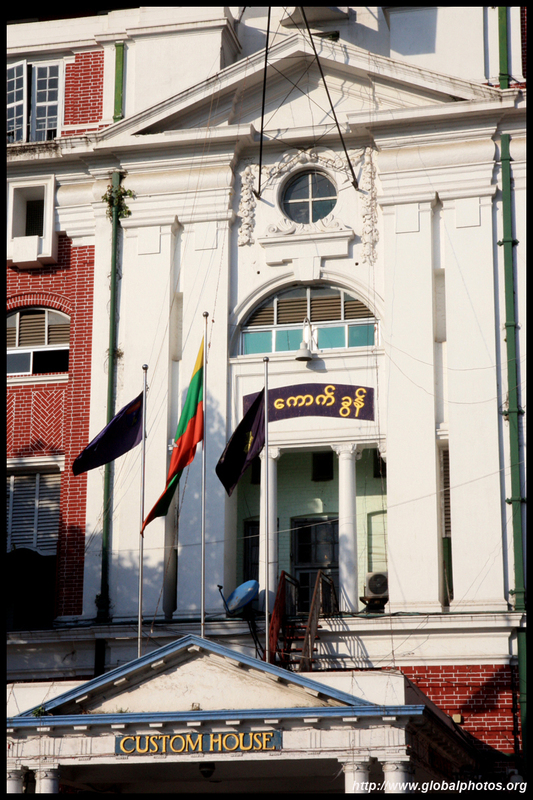 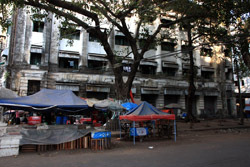 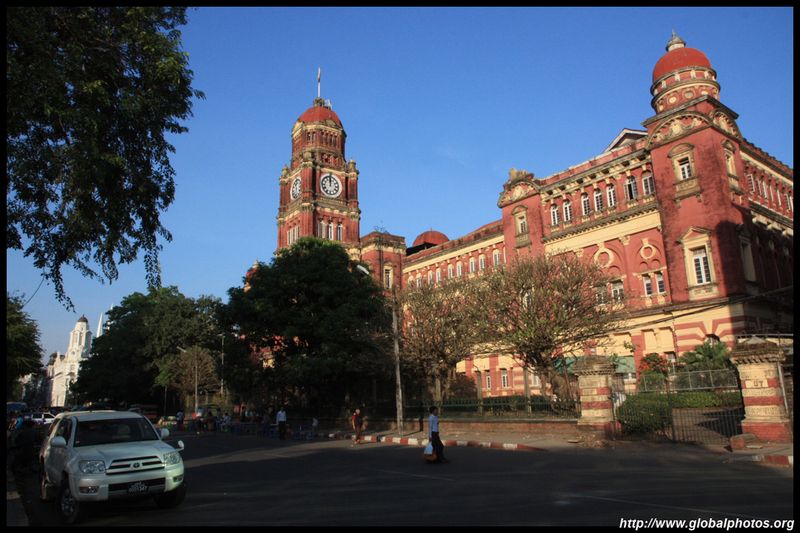 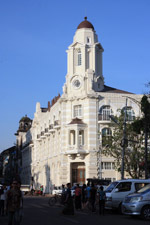 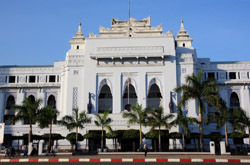 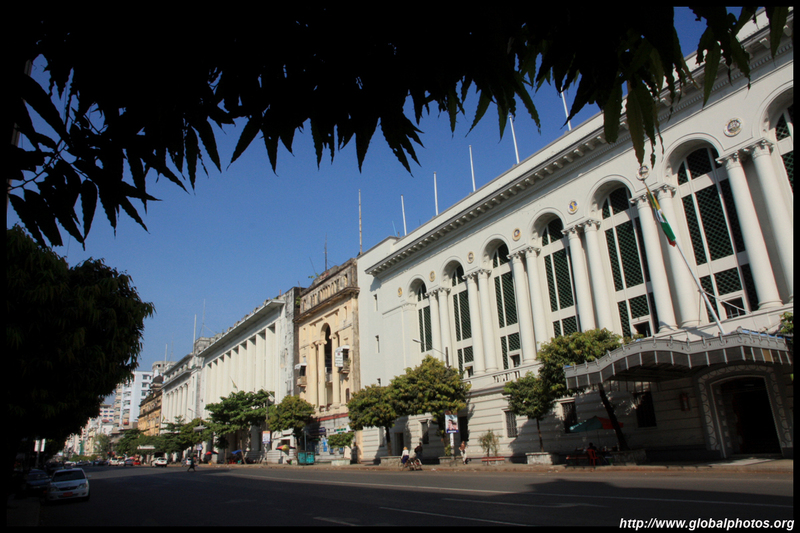 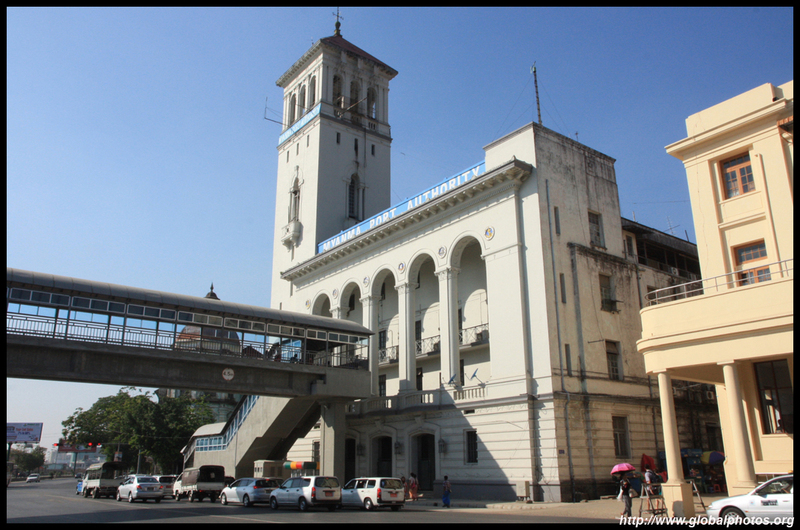 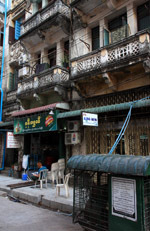 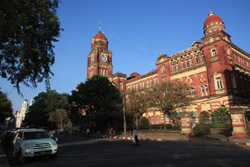 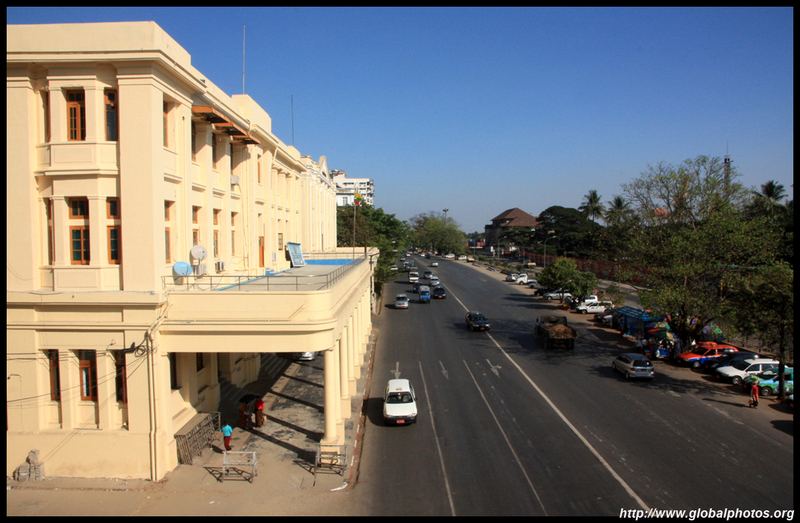 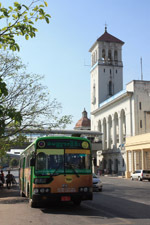 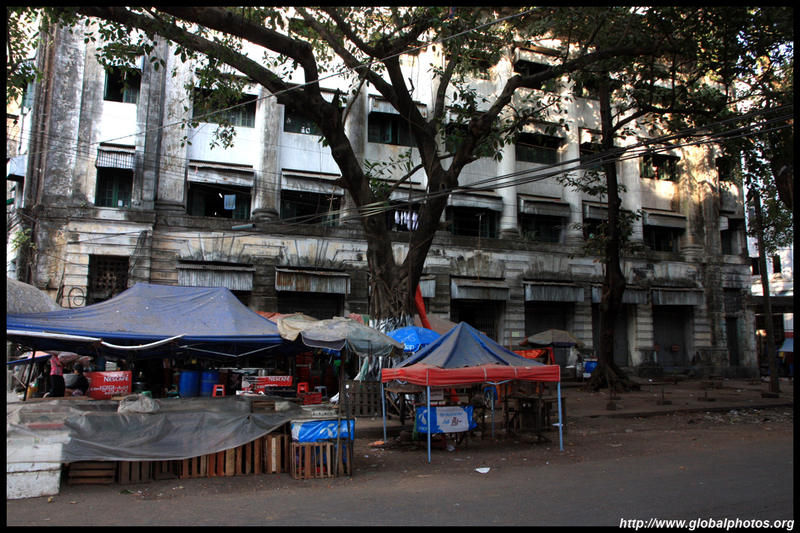 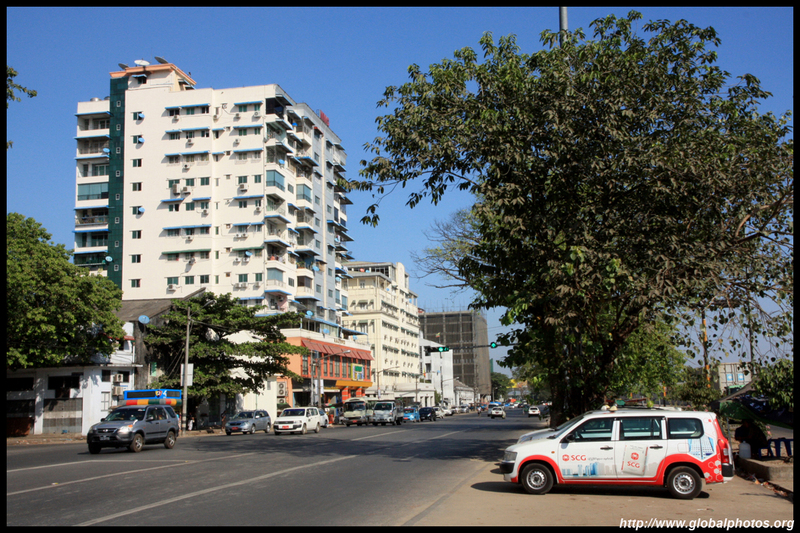 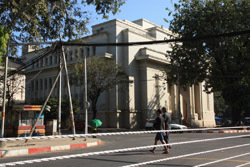 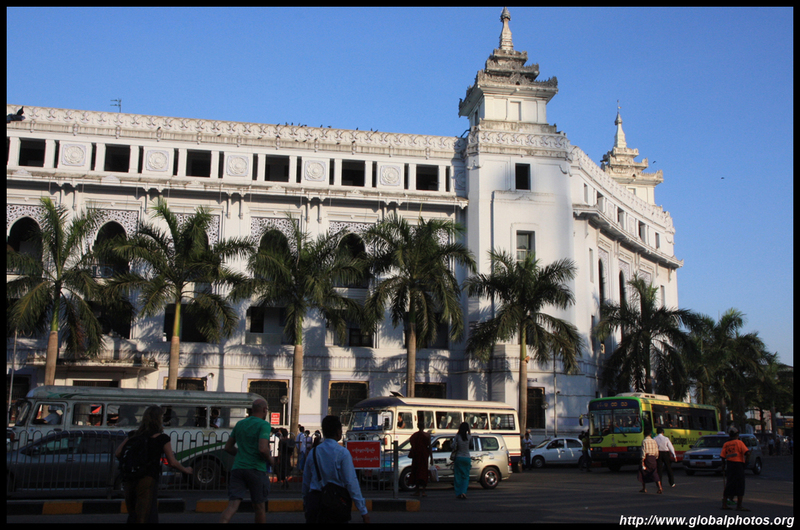 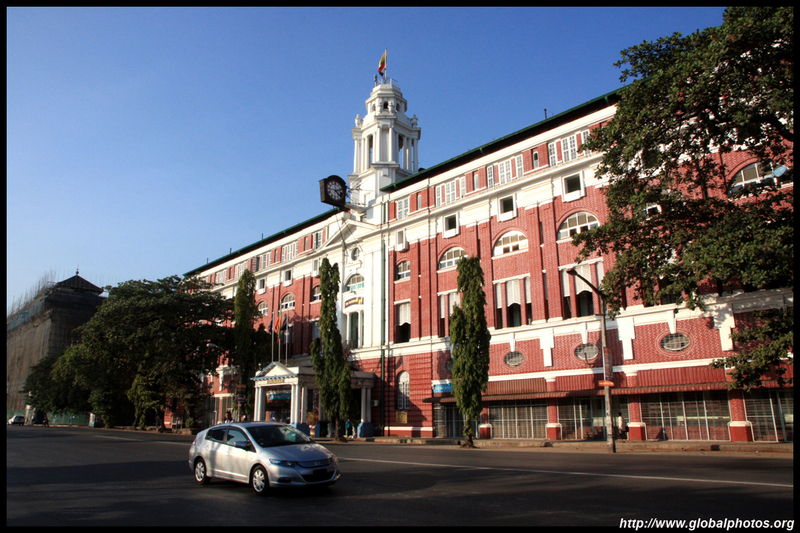 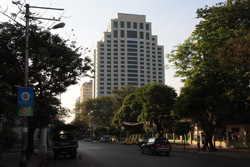 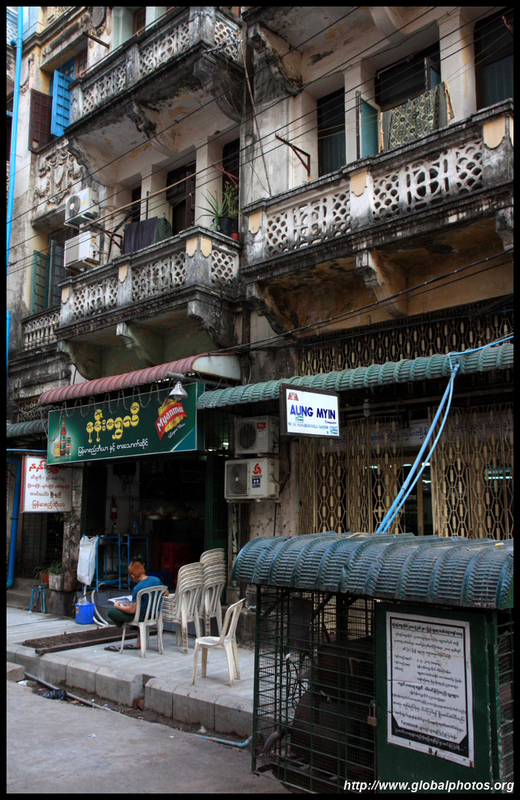 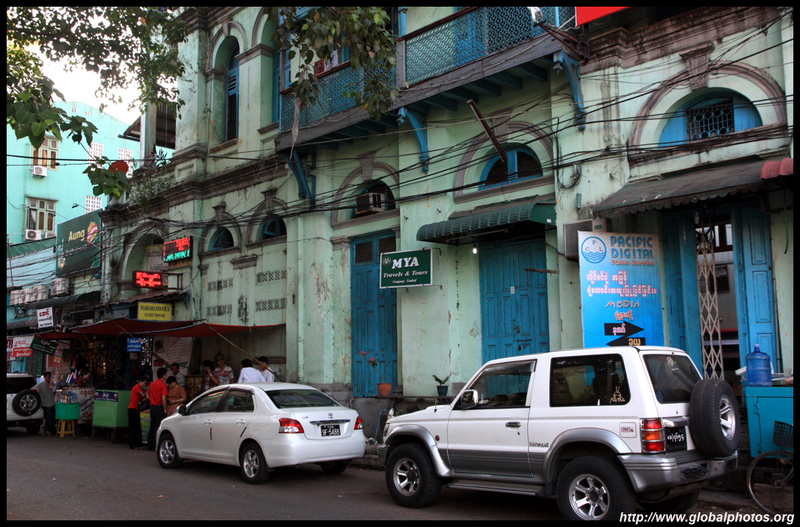 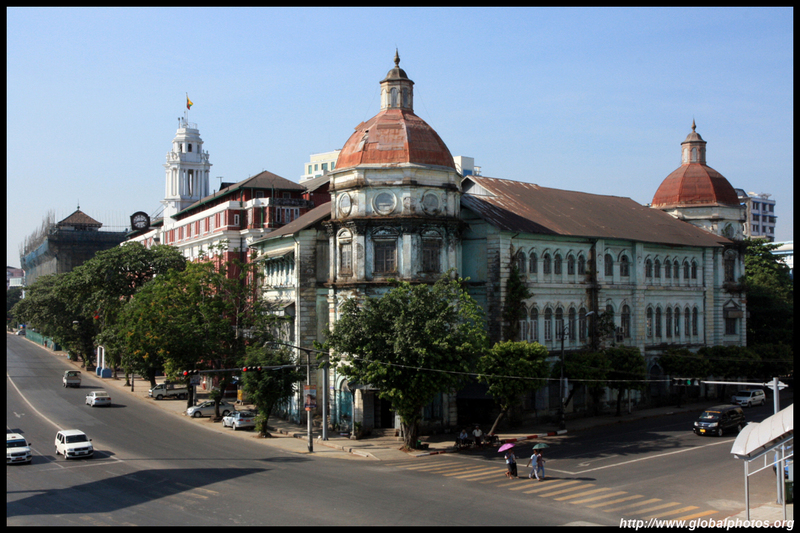 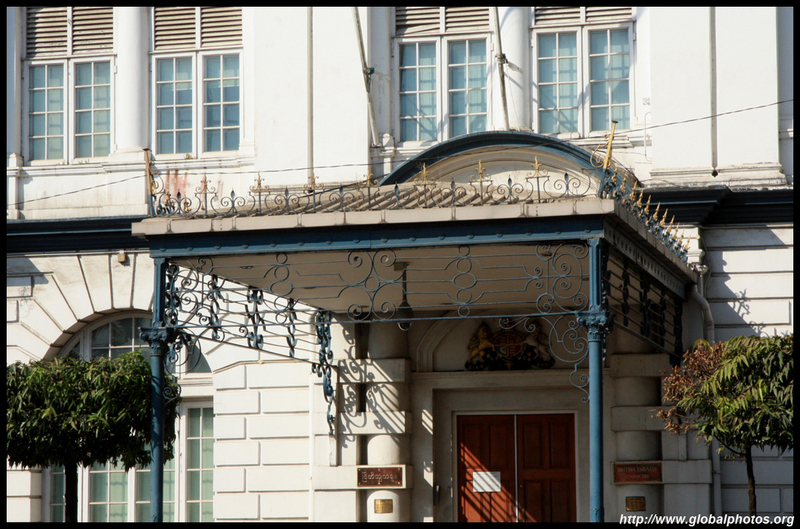 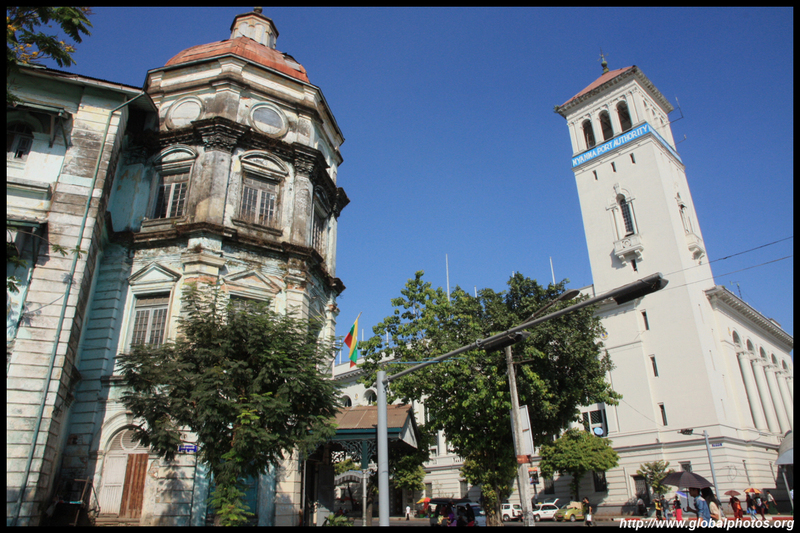 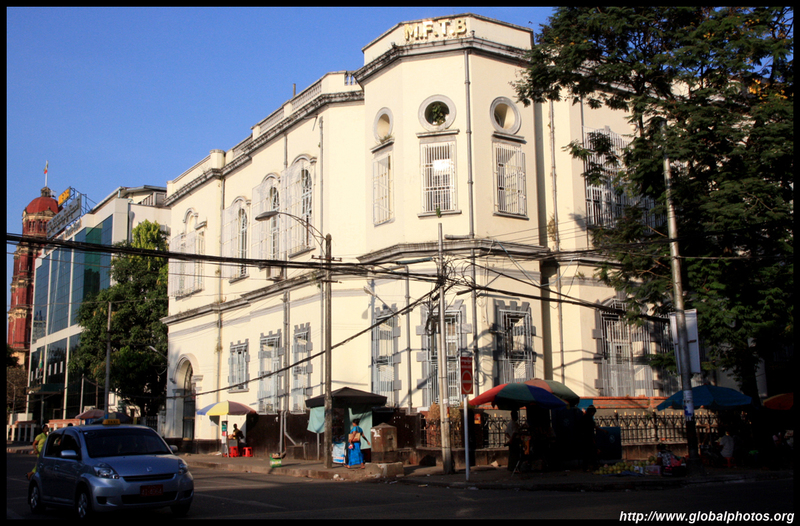 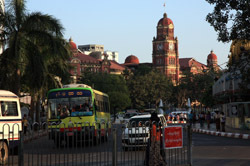 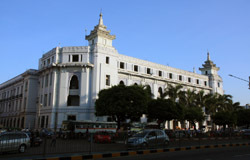 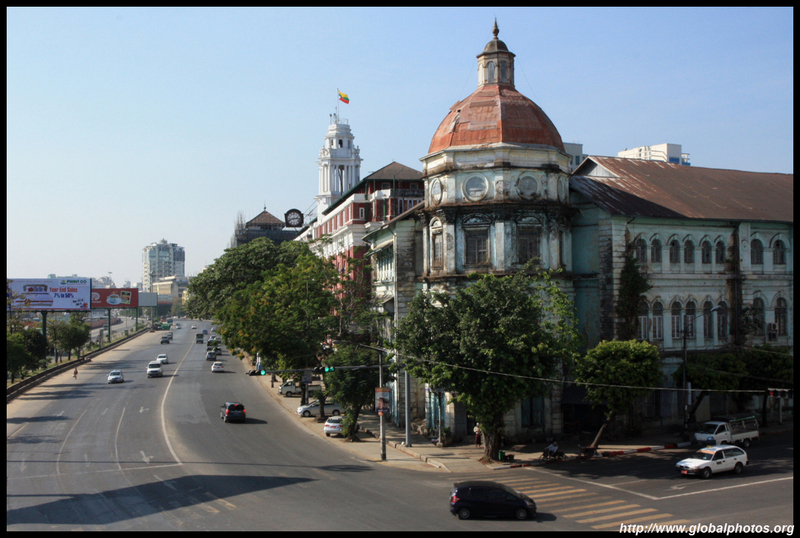 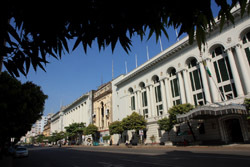 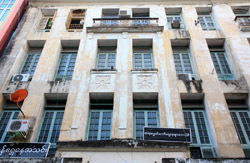 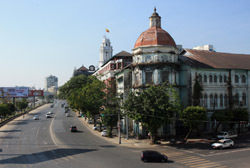 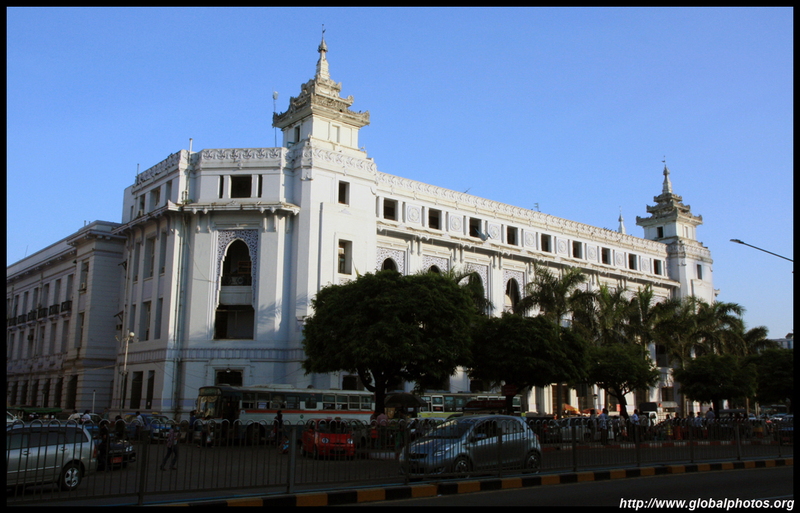 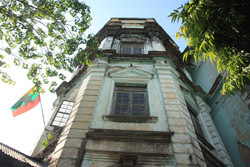 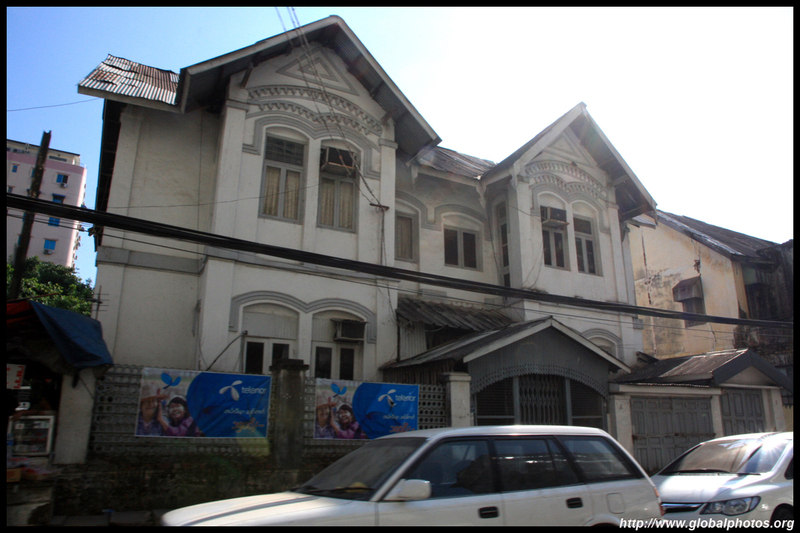 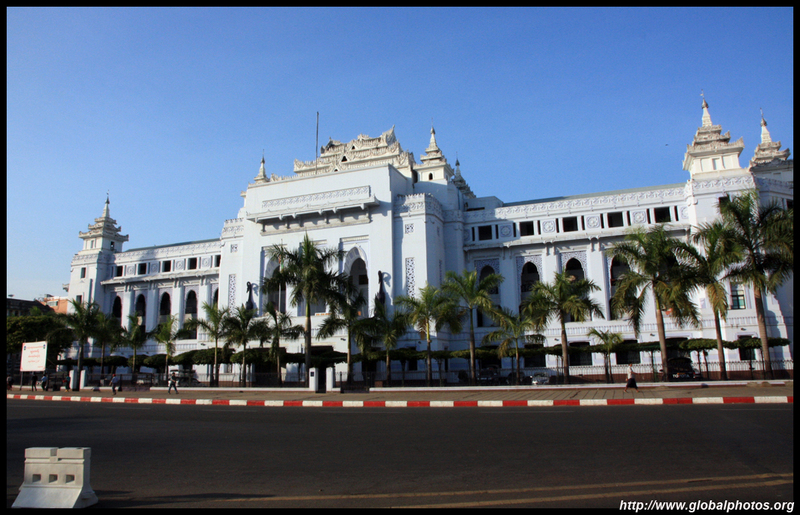 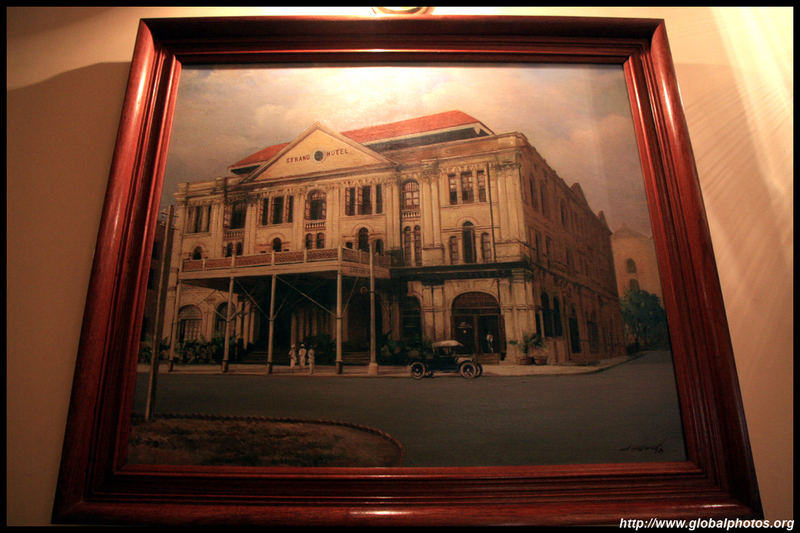 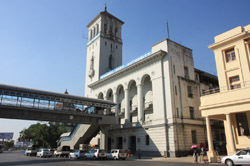 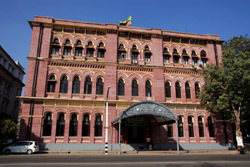 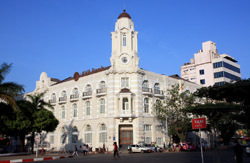 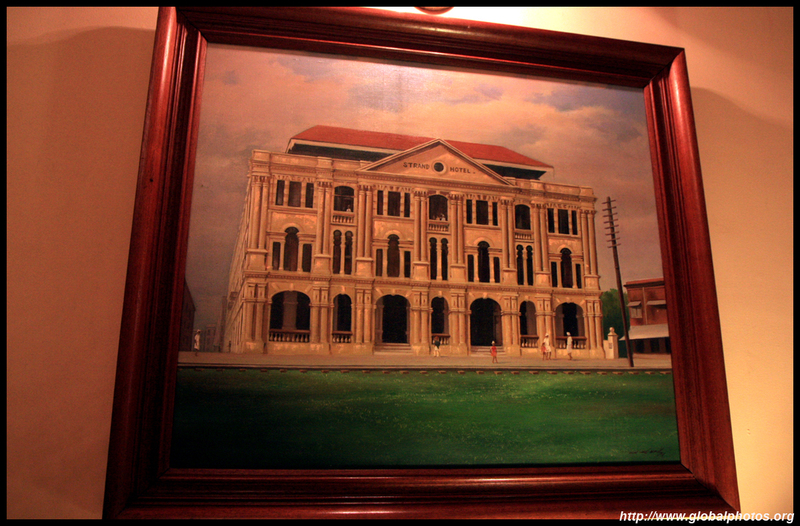 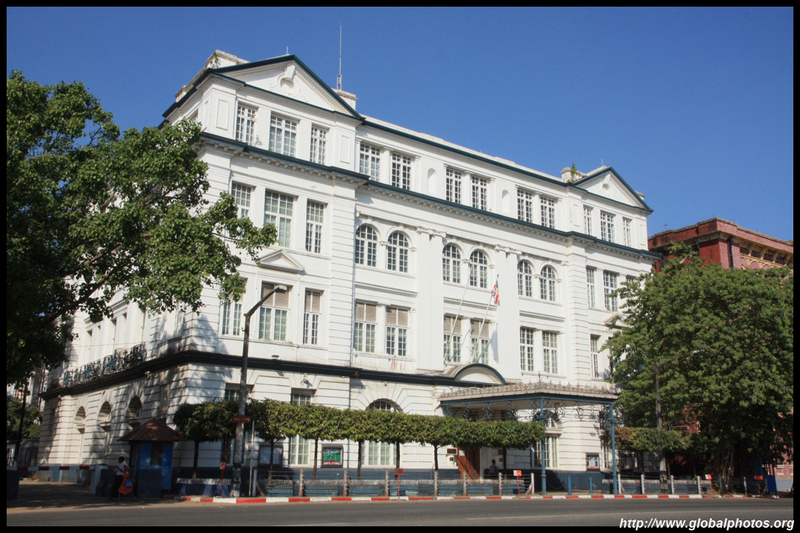 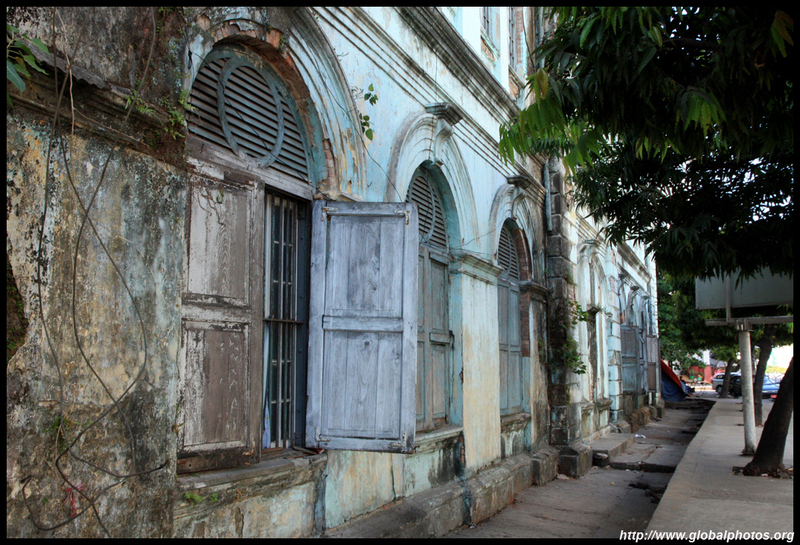 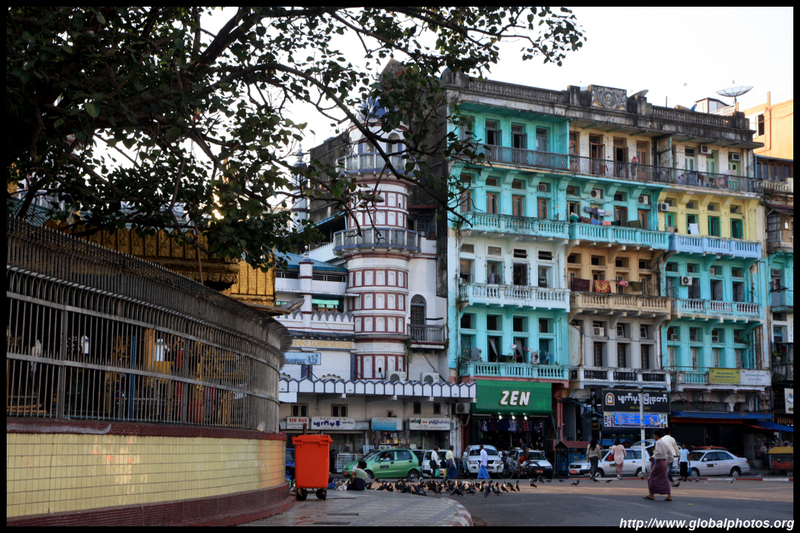 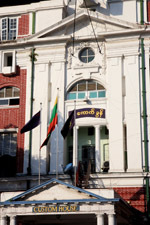 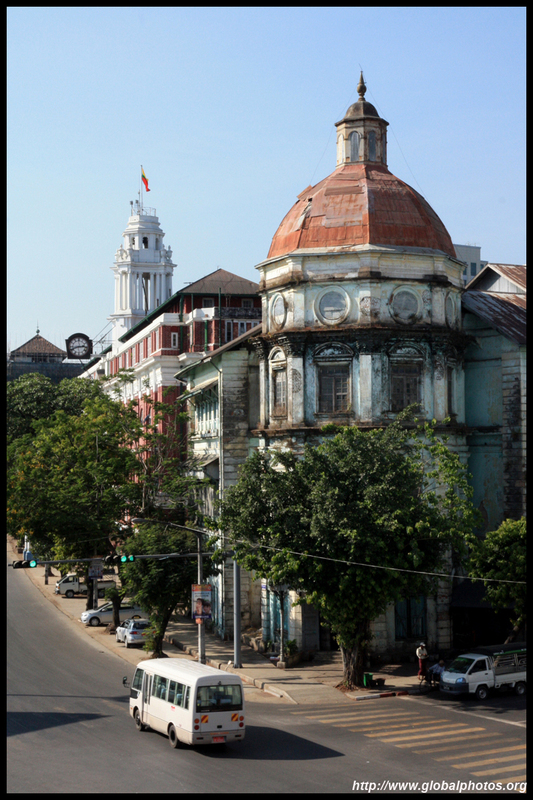 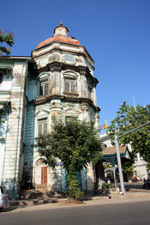 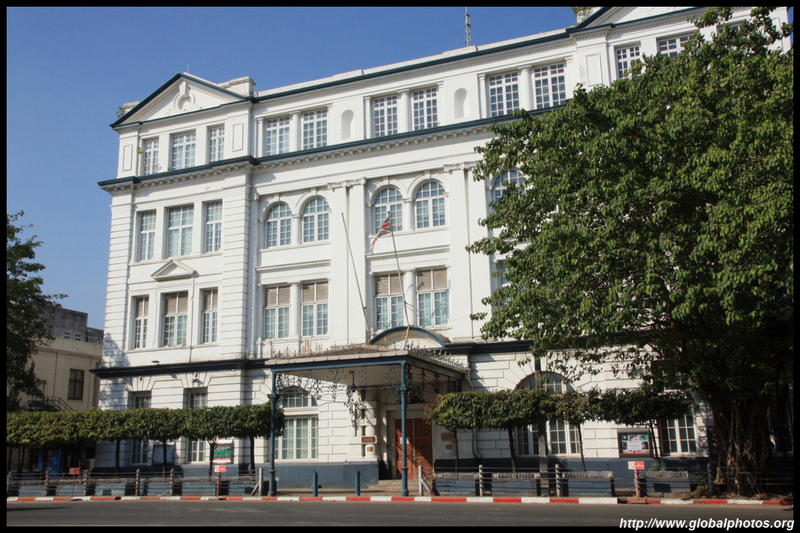 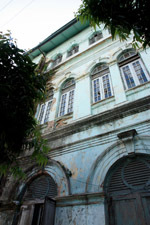 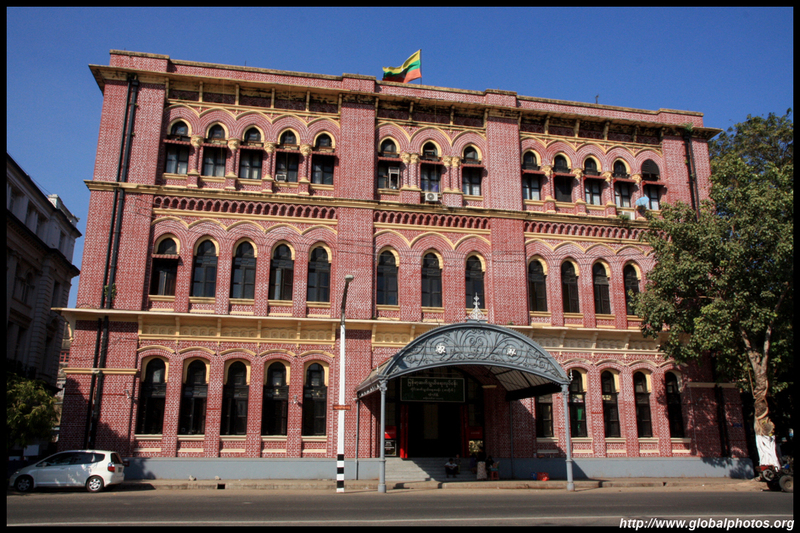 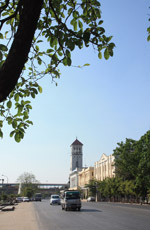 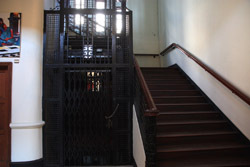 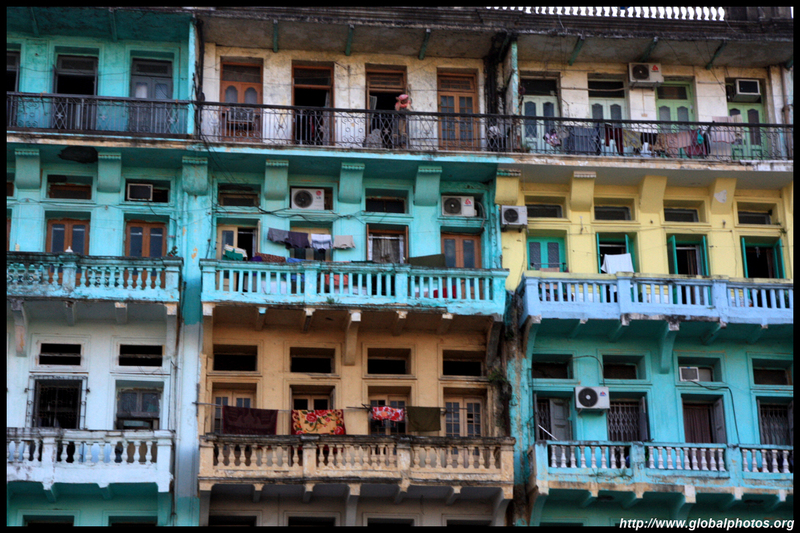 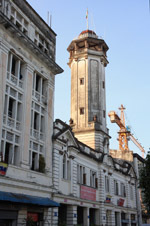 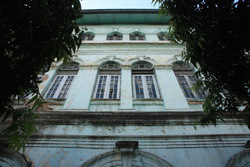 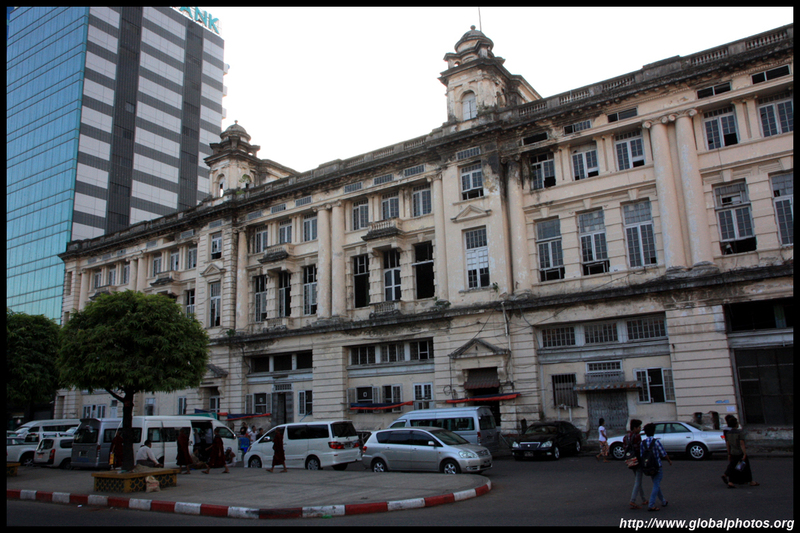 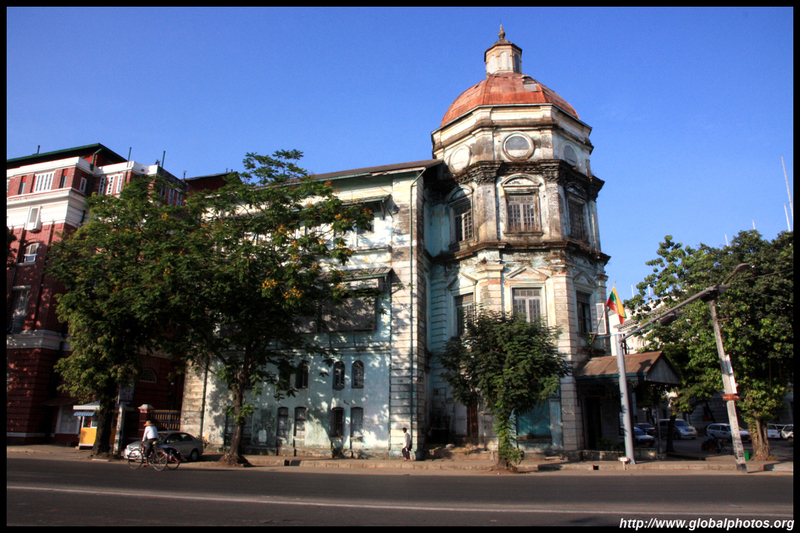 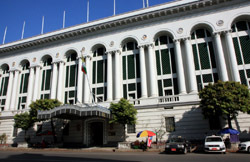 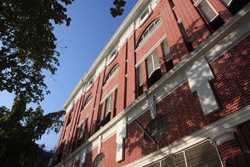 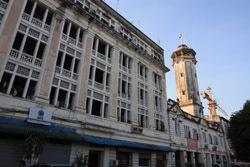 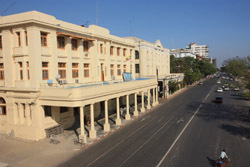 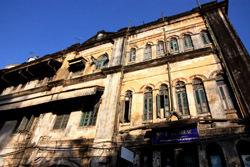 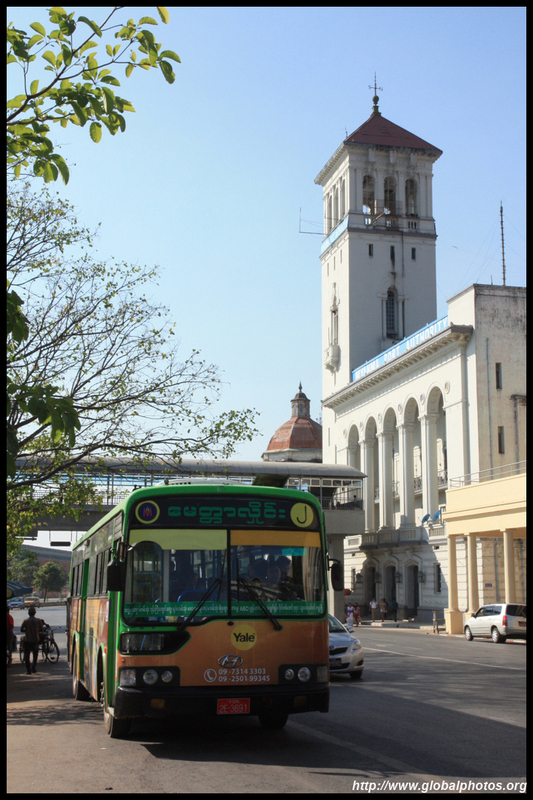 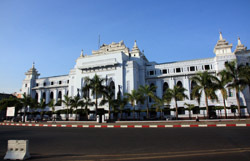 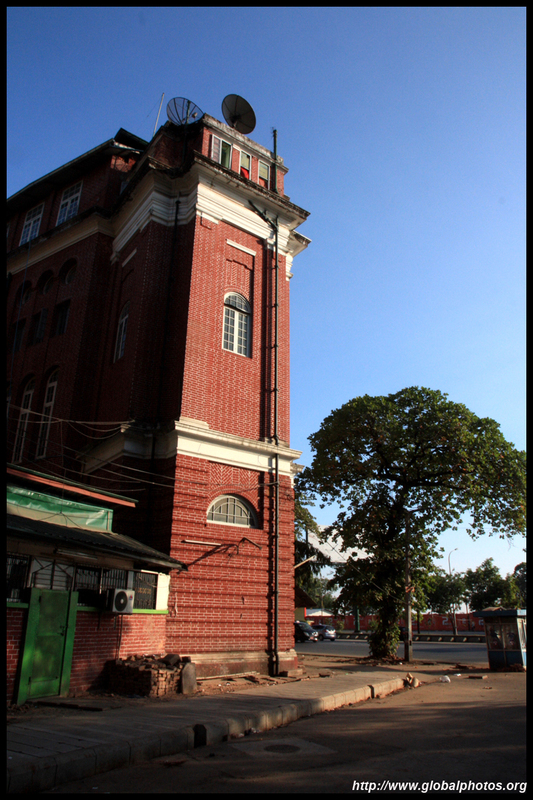 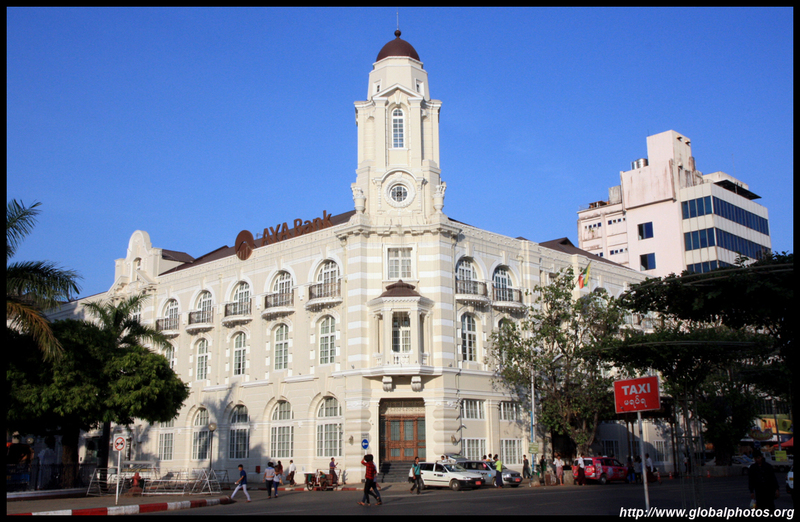 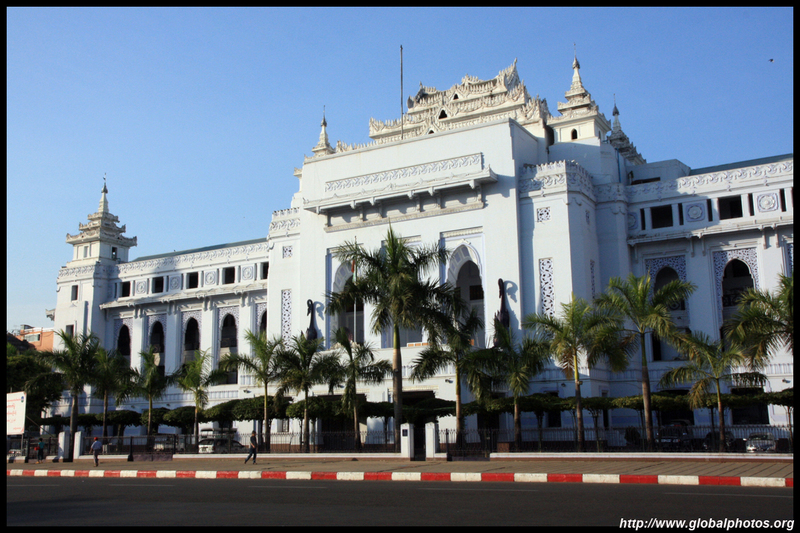 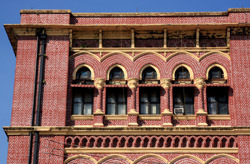 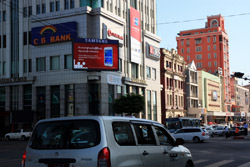 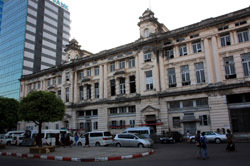 Colonial buildings are easily found along the quiet downtown core. 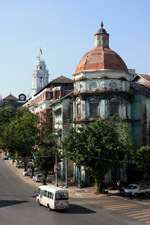 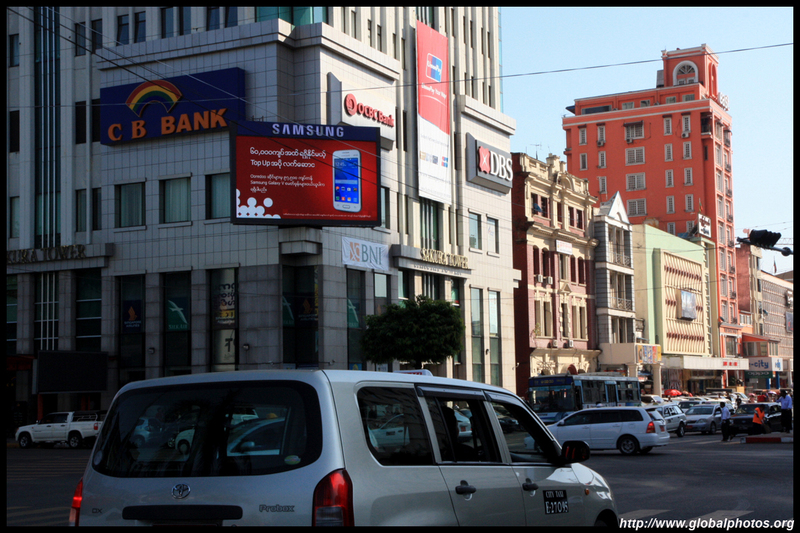 On the right is the iconic Strand Hotel, built in 1901 by the British. 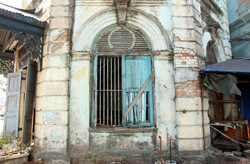 As expected, many of the buildings were crumbling. 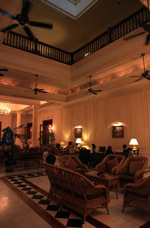 A meal at this hotel is expensive, aligning to international standards. 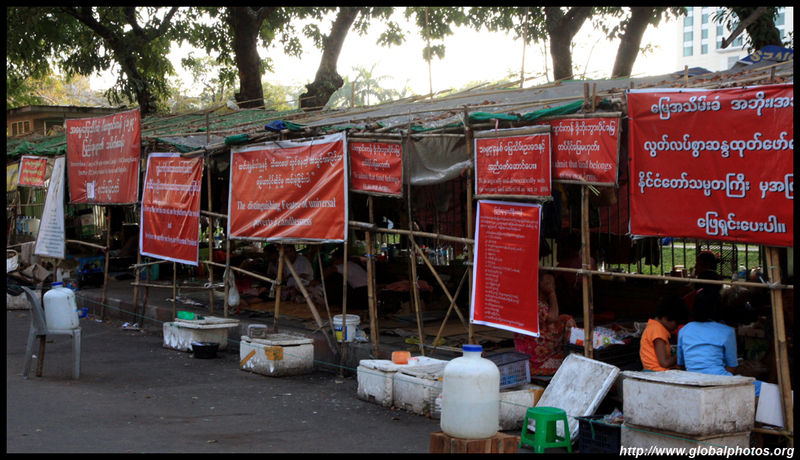 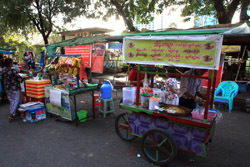 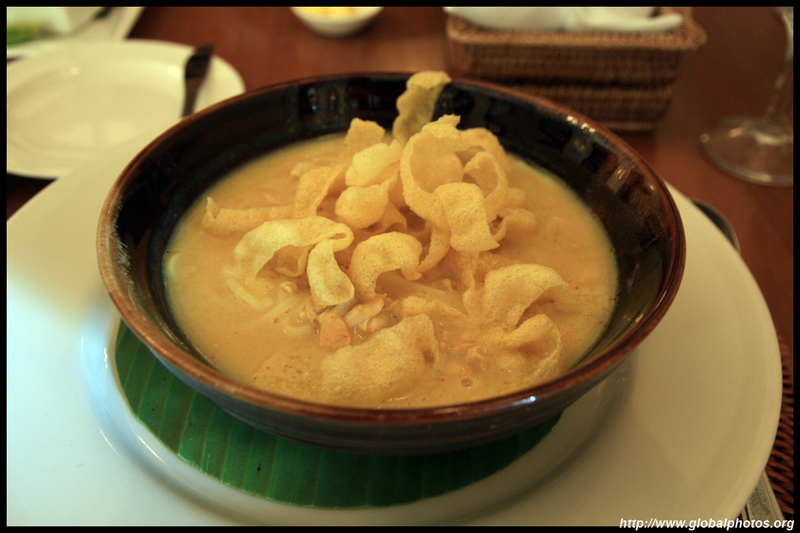 There were plenty of clean local restaurants serving great food at a fraction of the price. 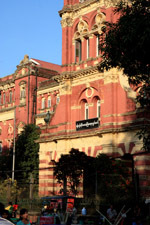 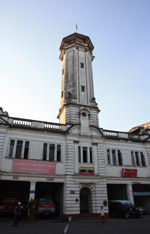 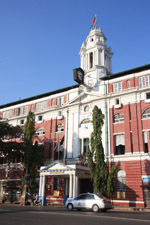 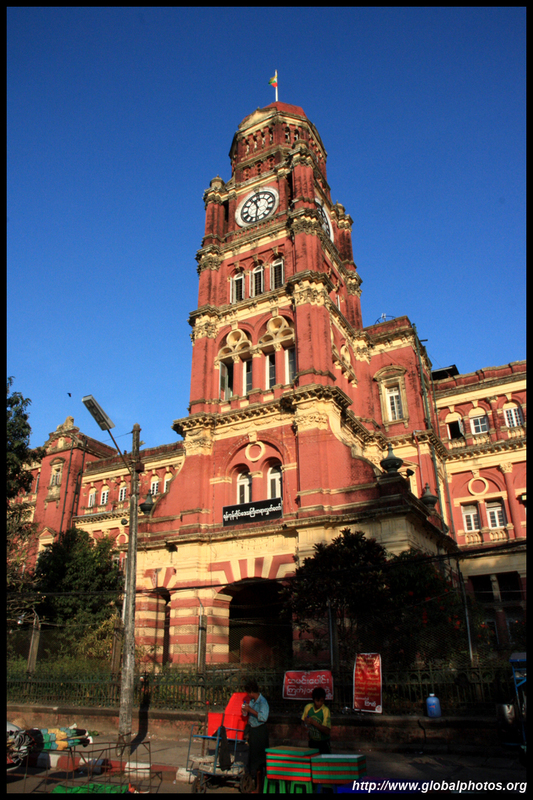 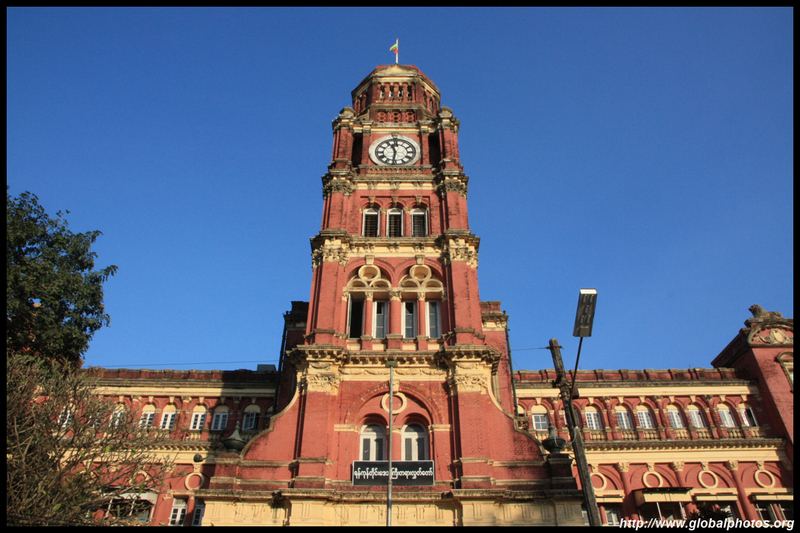 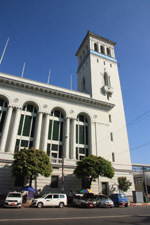 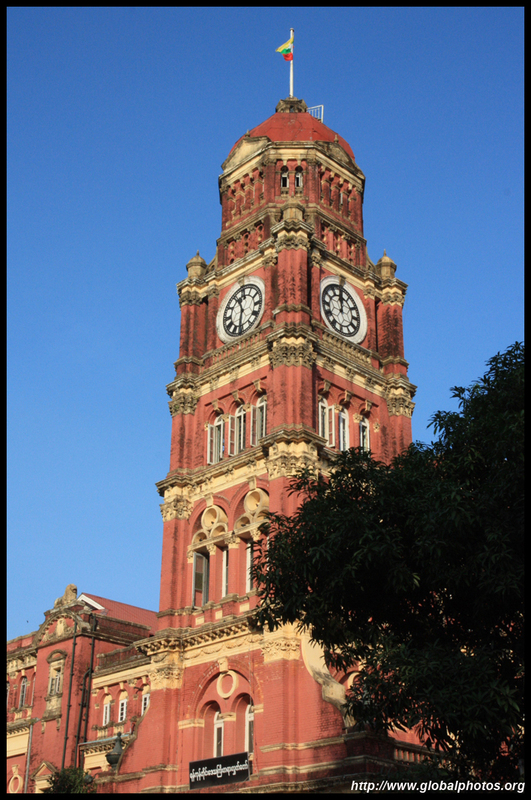 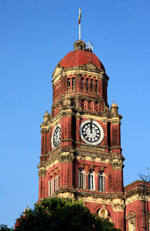 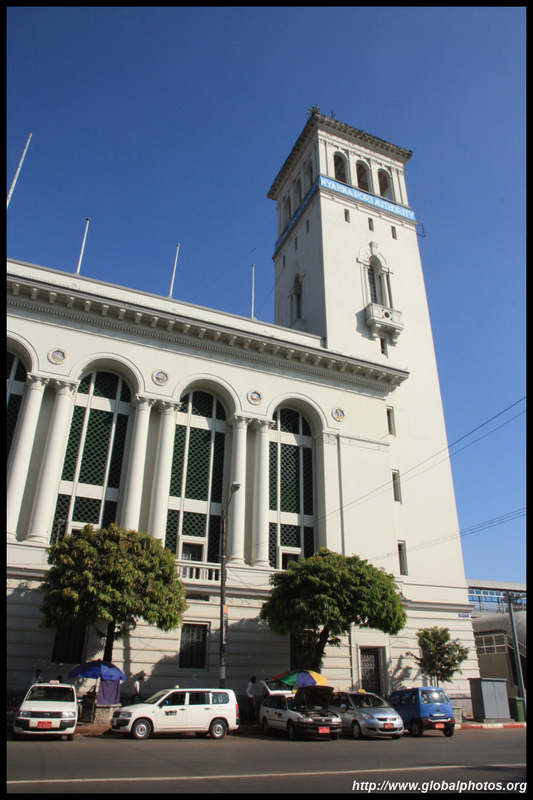 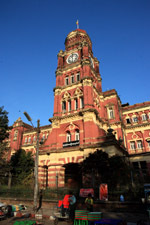 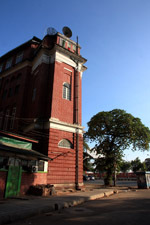 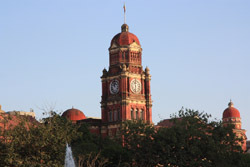 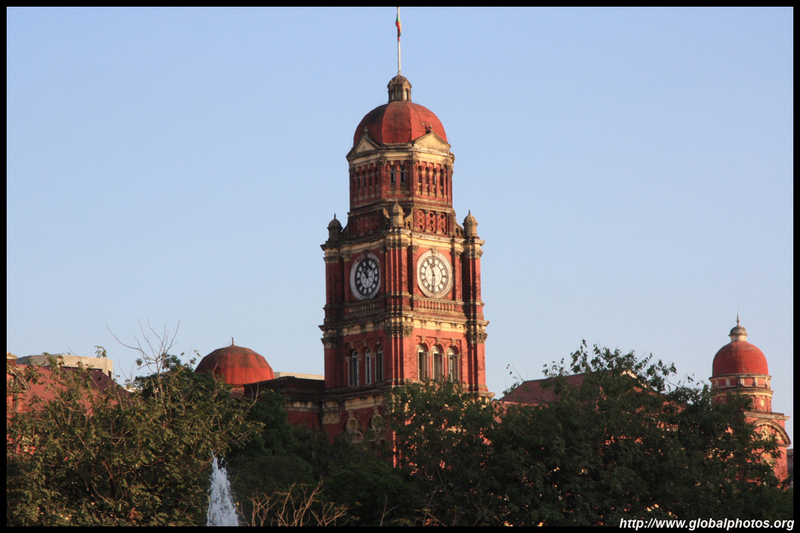 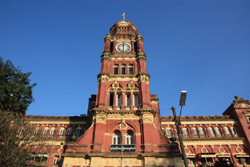 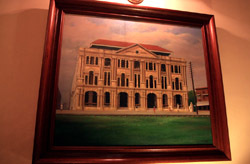 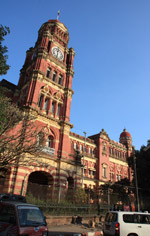 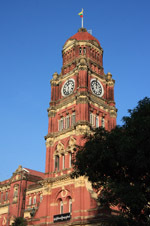 The High Court, with its distinctive clock tower, was completed in 1911. I noticed the clock was actually not working. 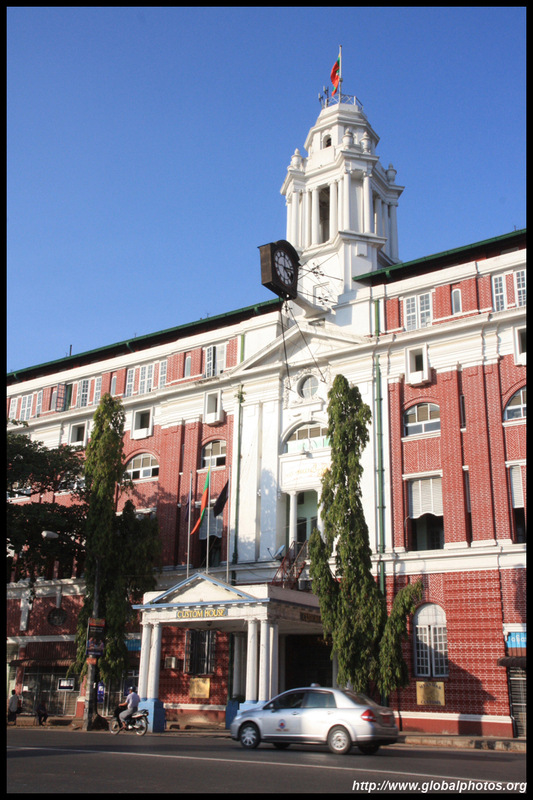 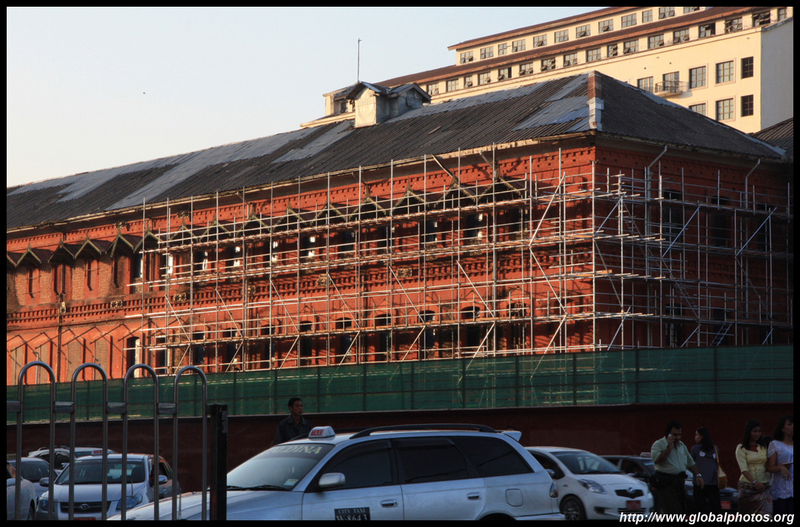 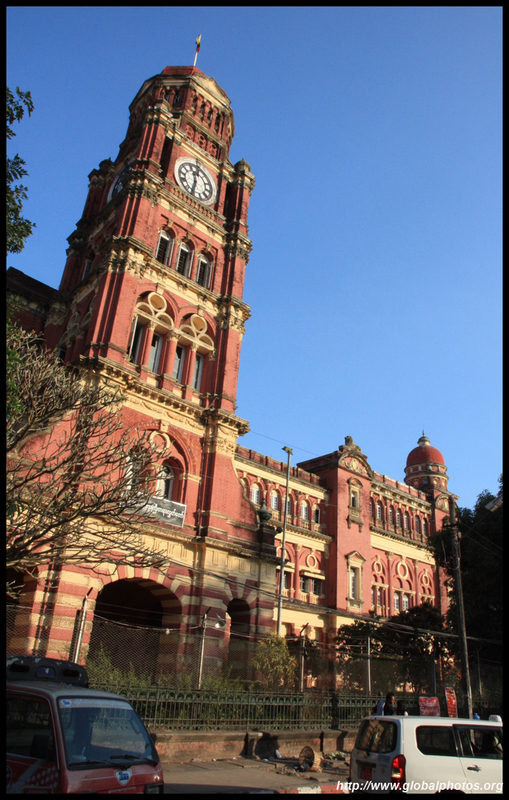 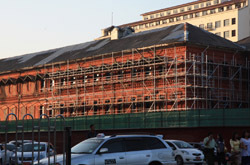 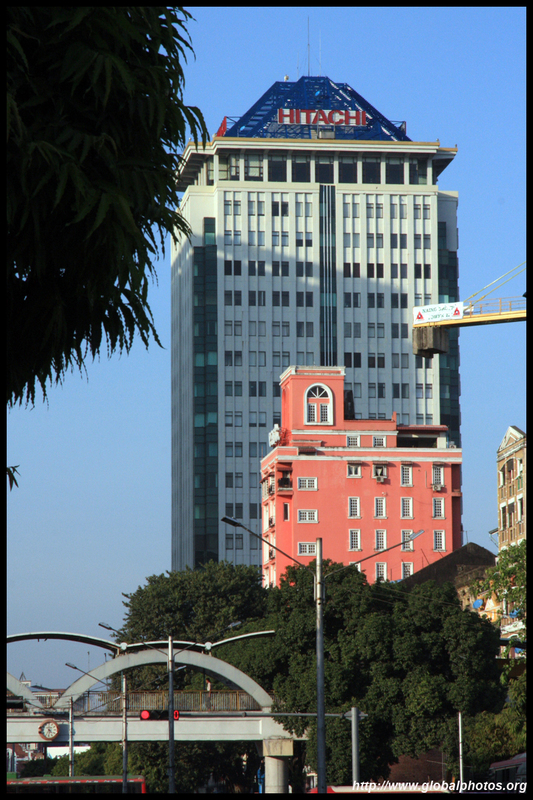 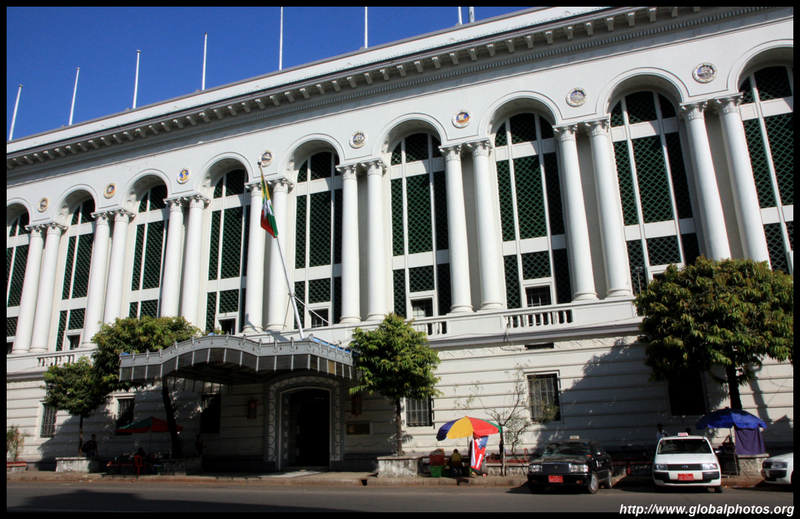 Other massive colonial buildings nearby include City Hall. 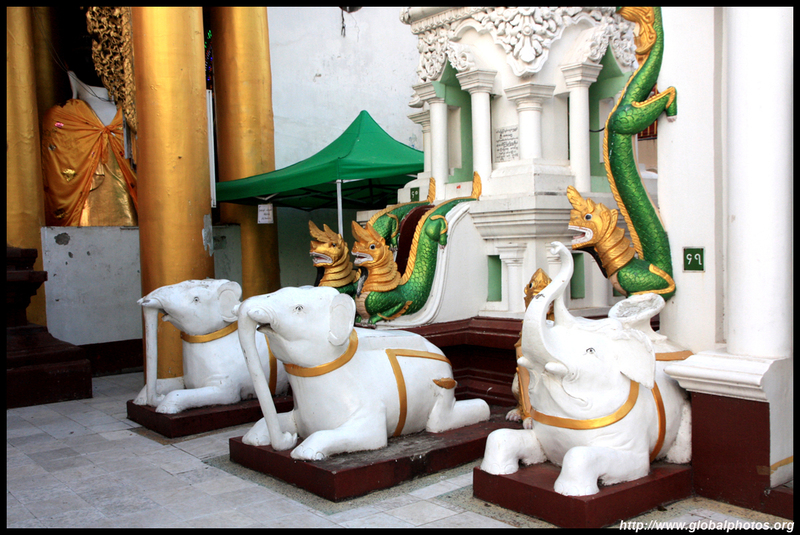 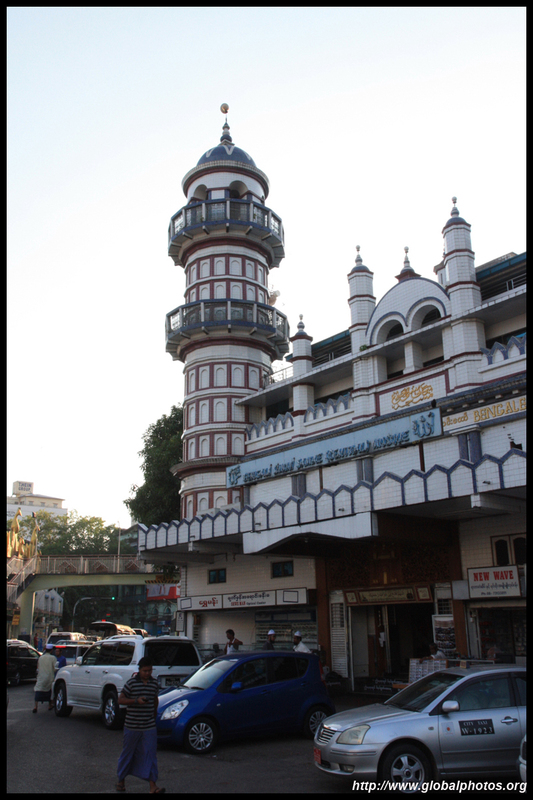 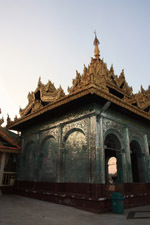 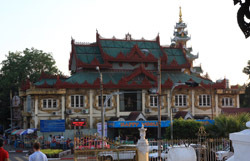 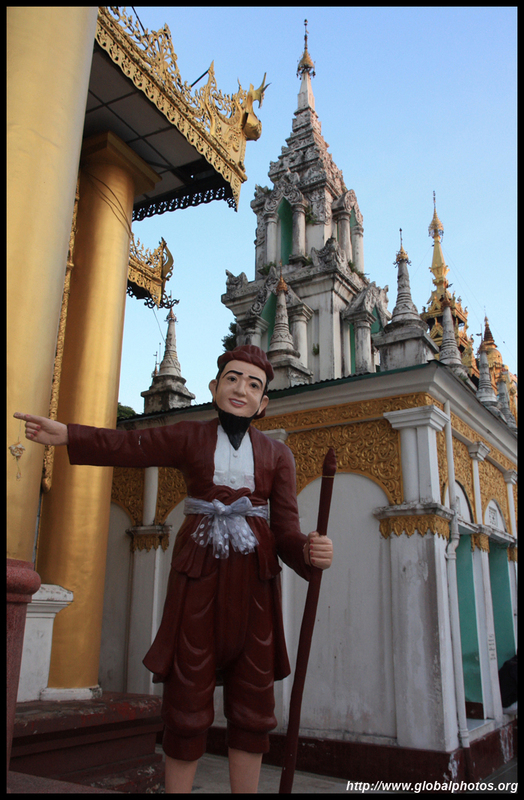 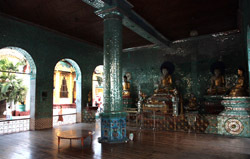 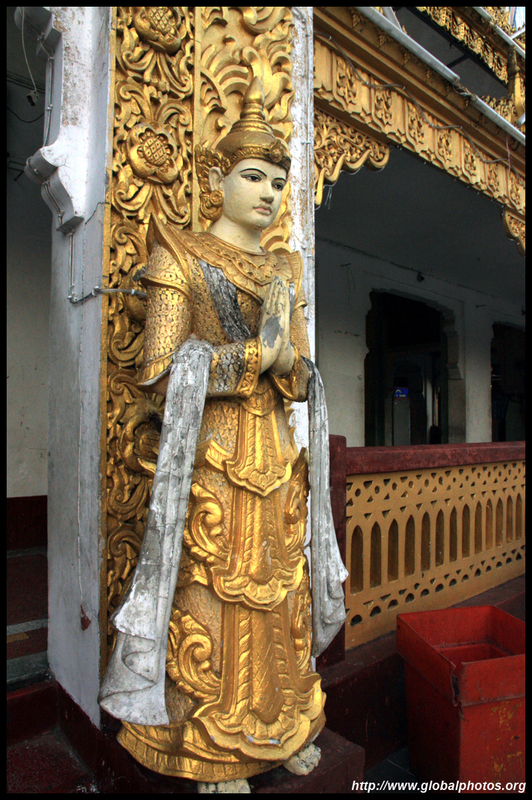 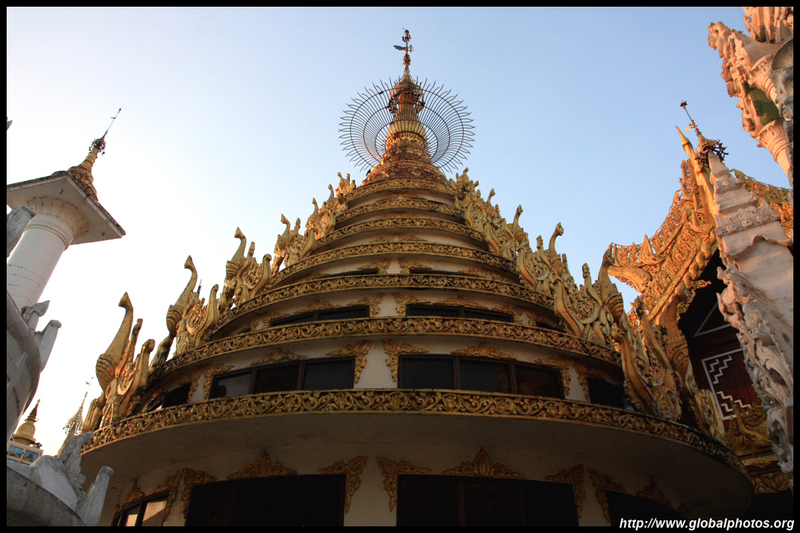 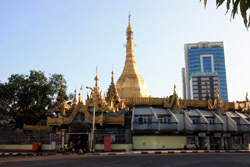 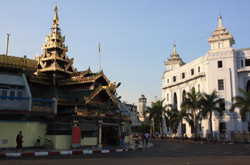 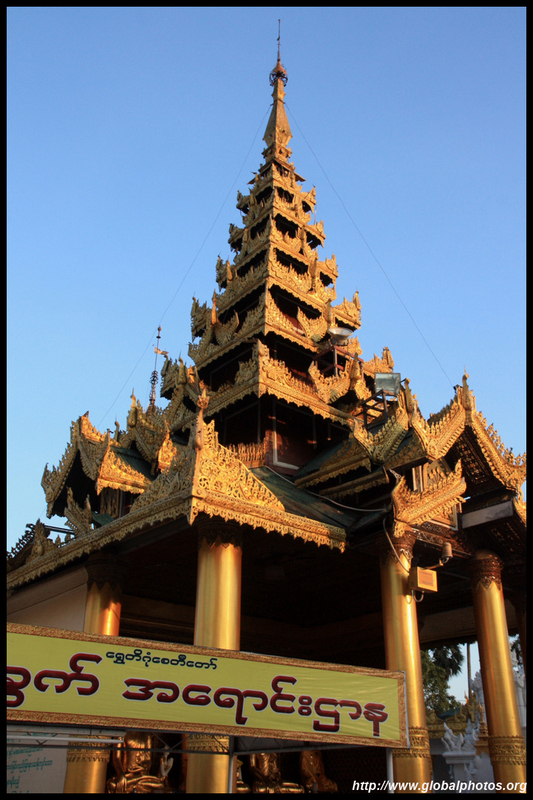 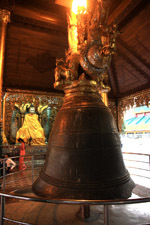 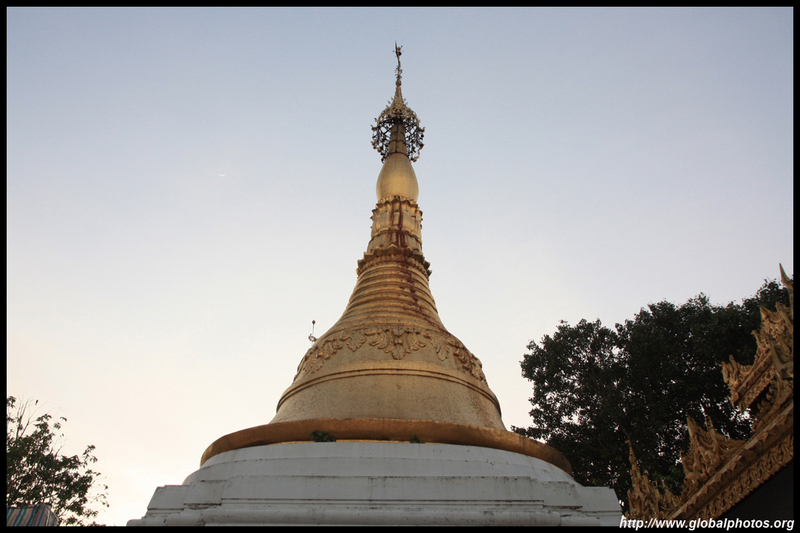 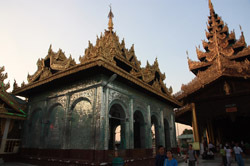 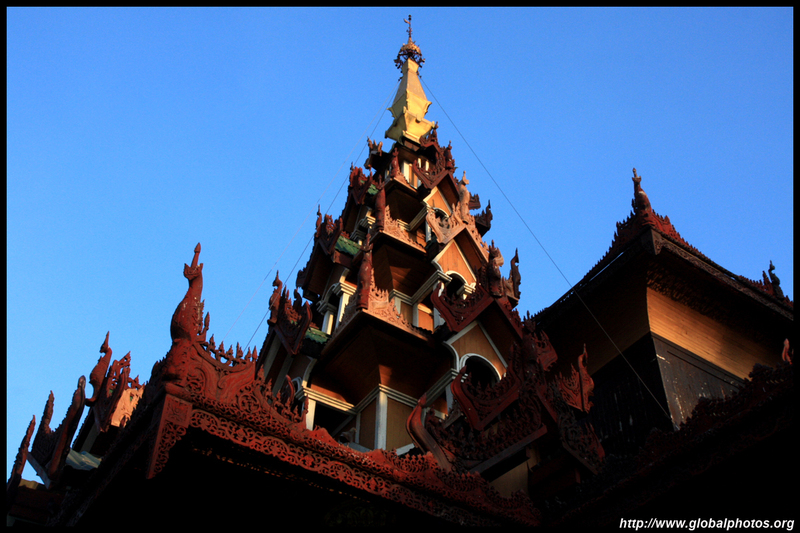 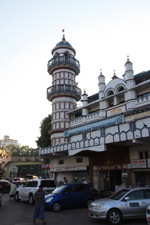 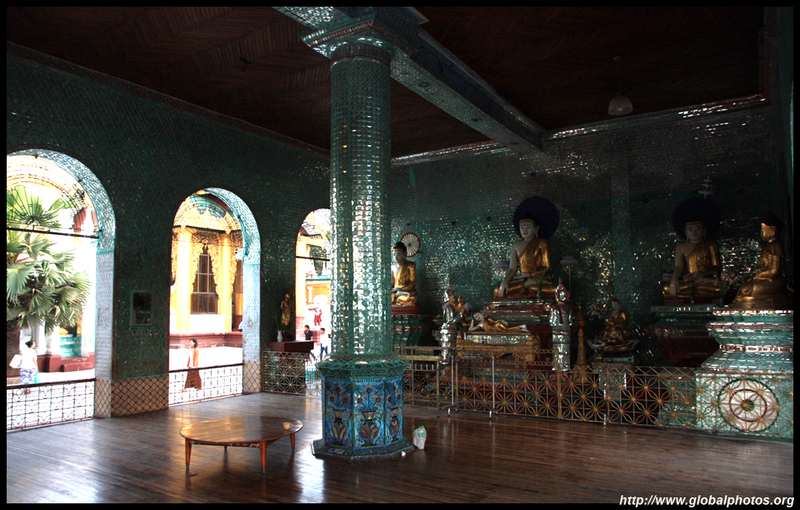 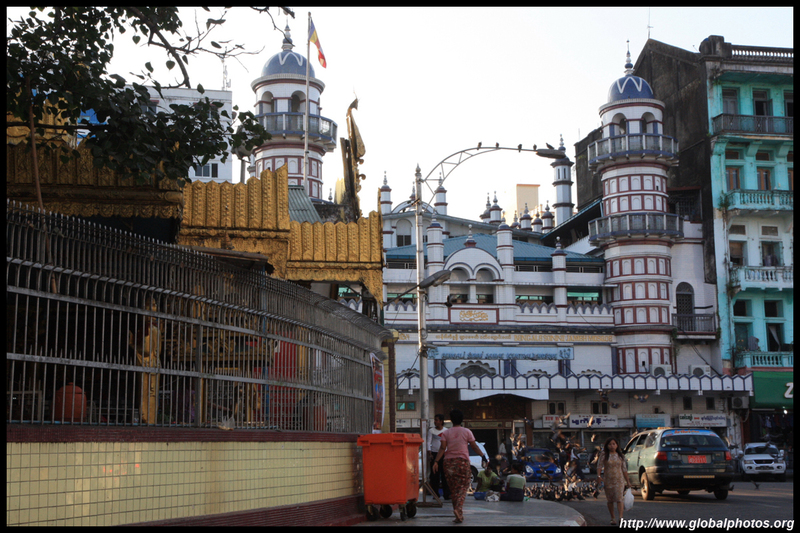 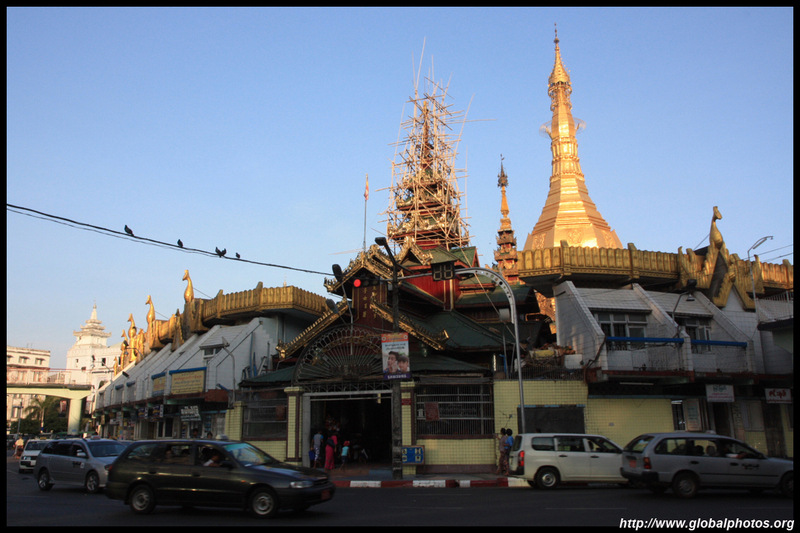 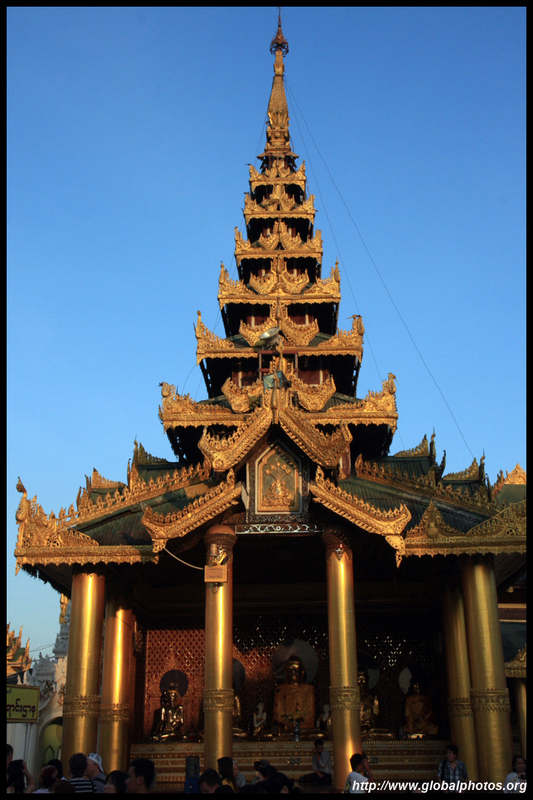 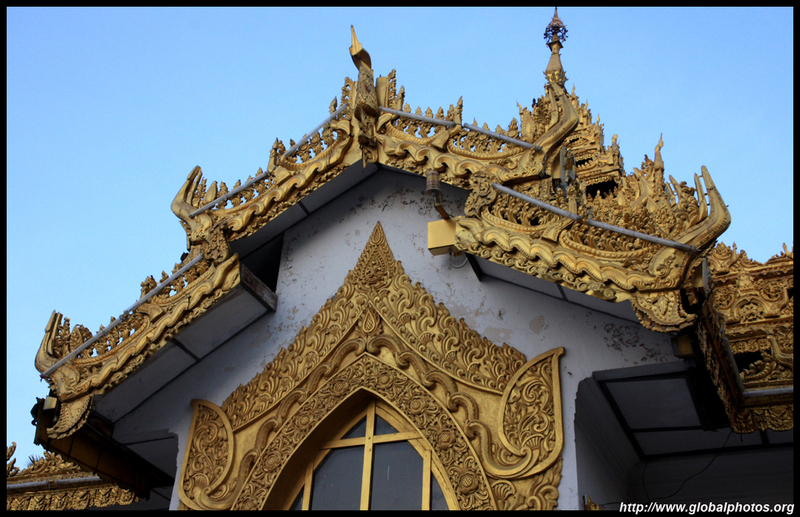 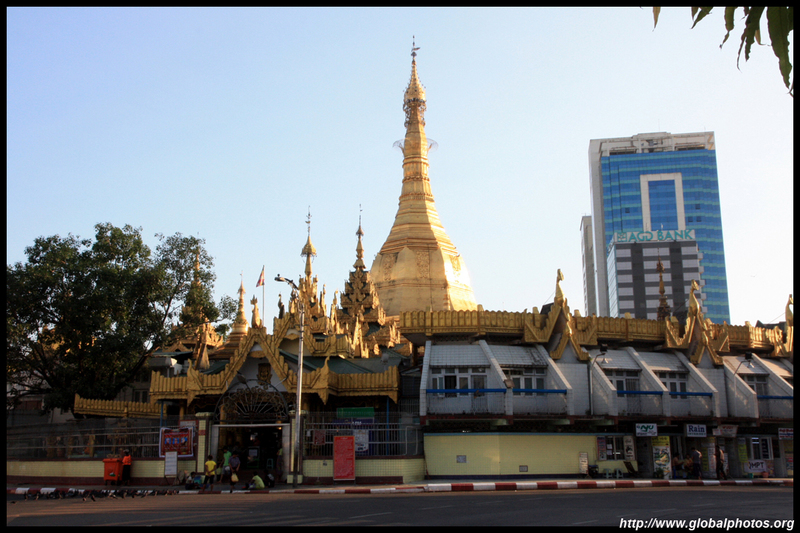 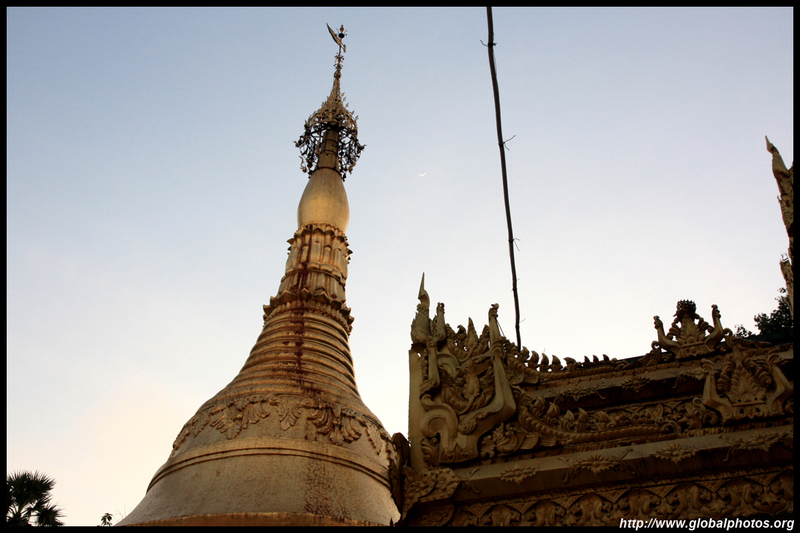 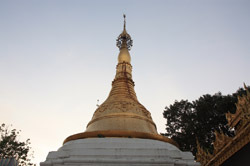 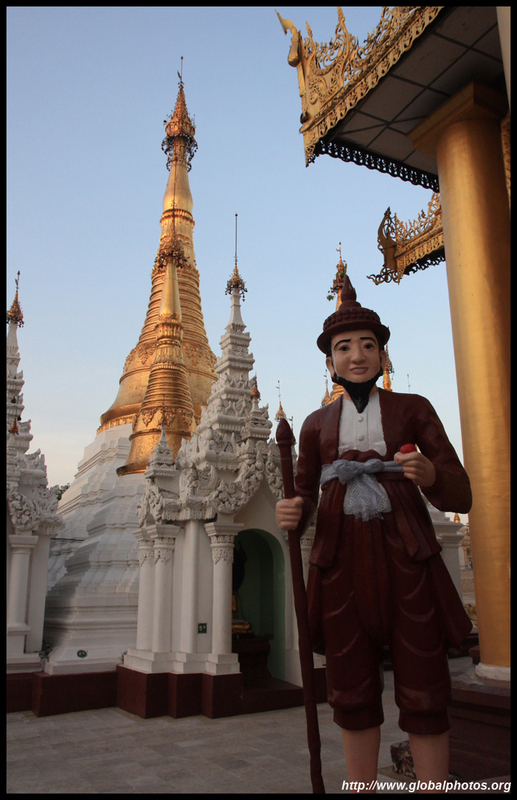 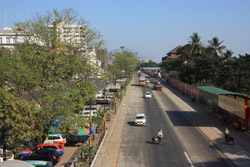 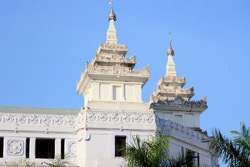 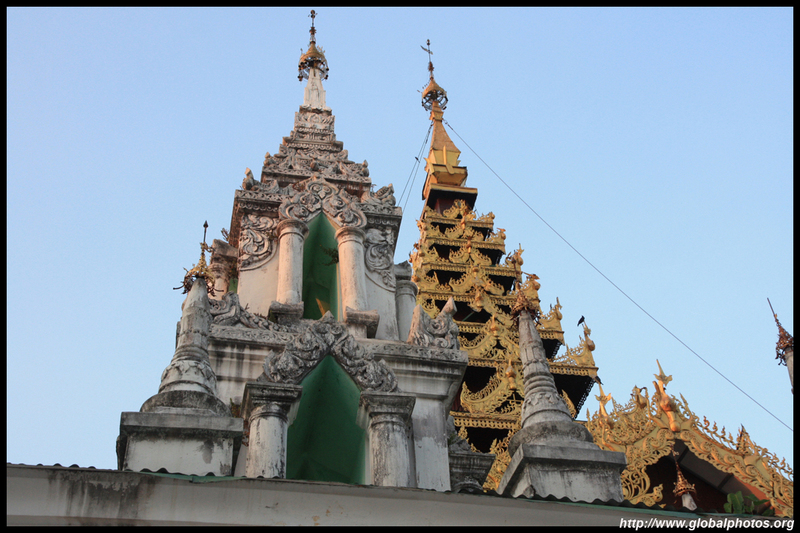 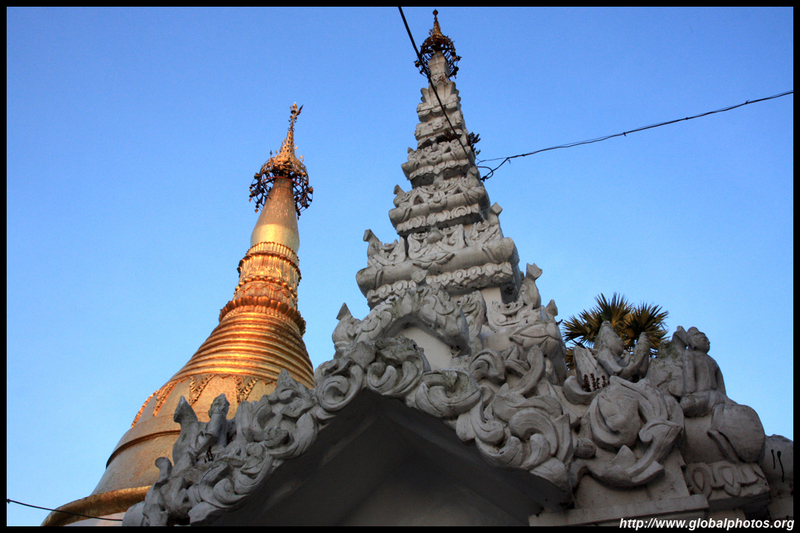 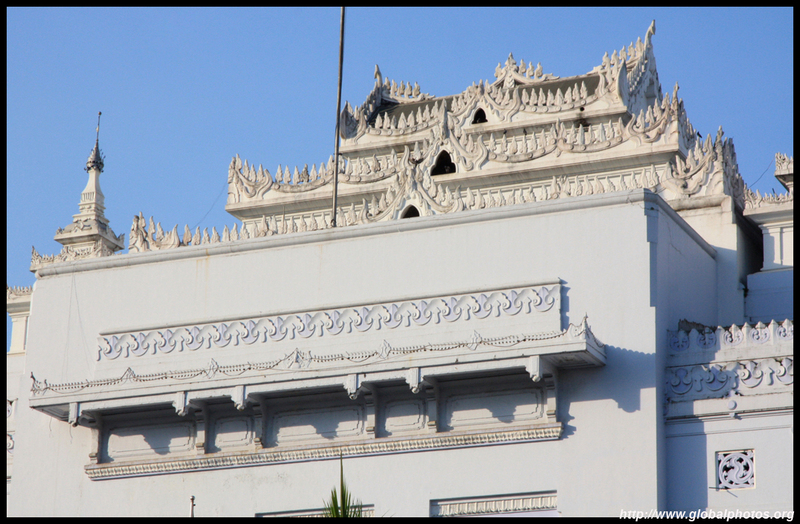 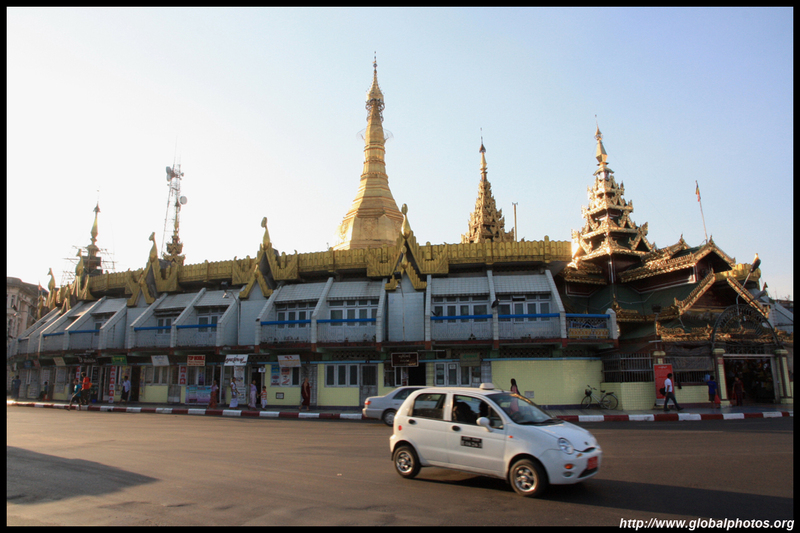 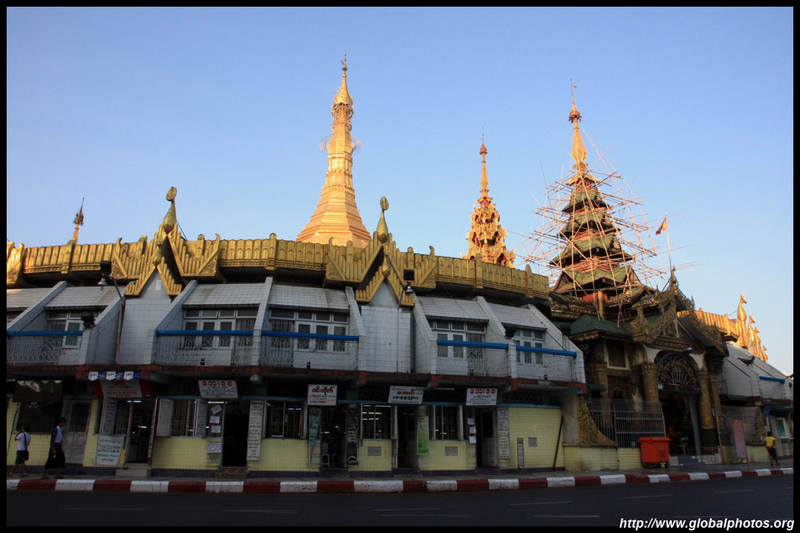 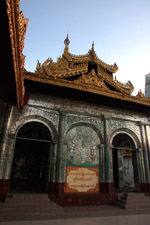 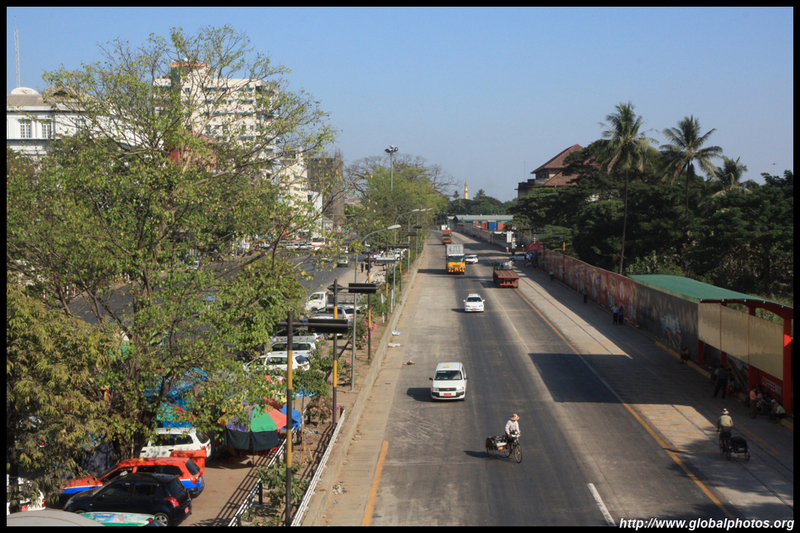 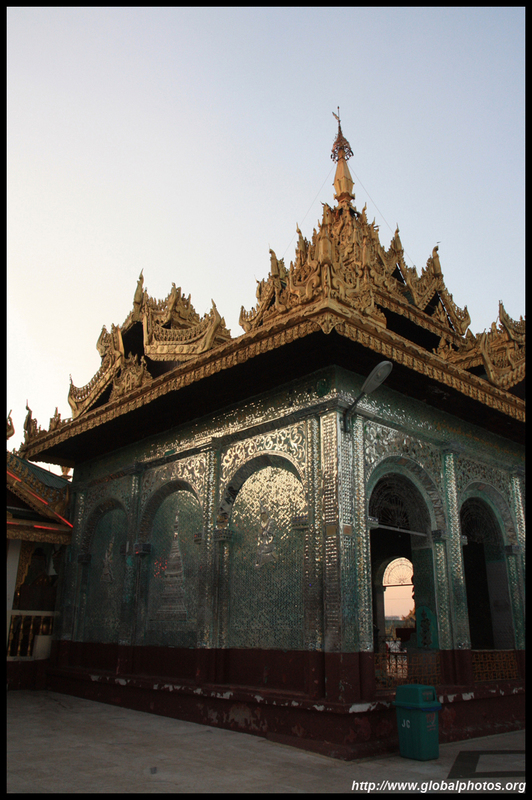 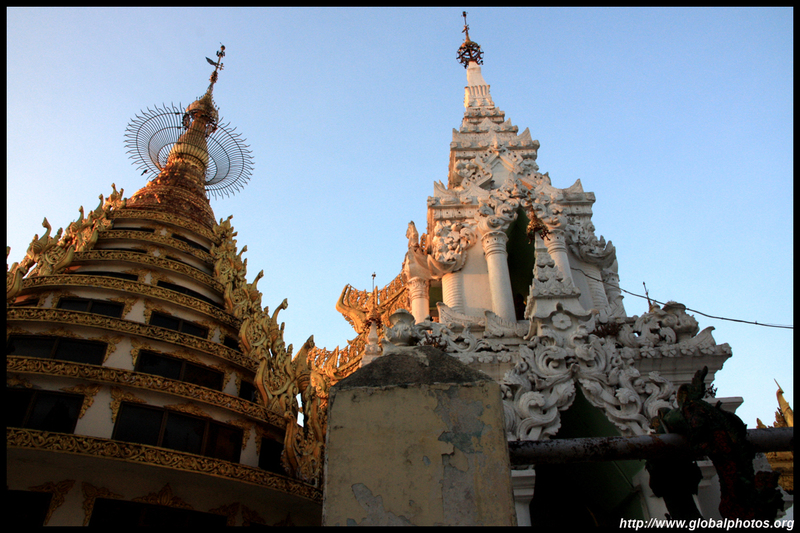 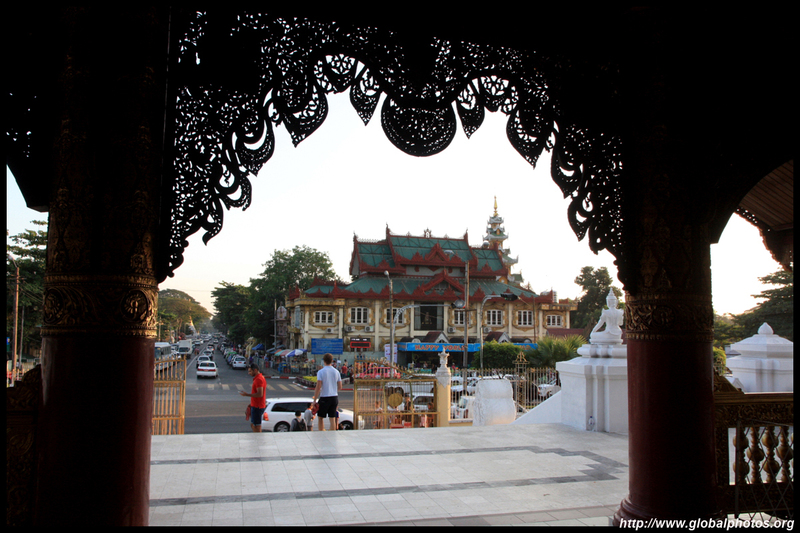 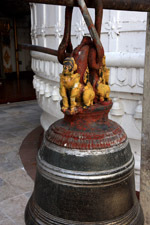 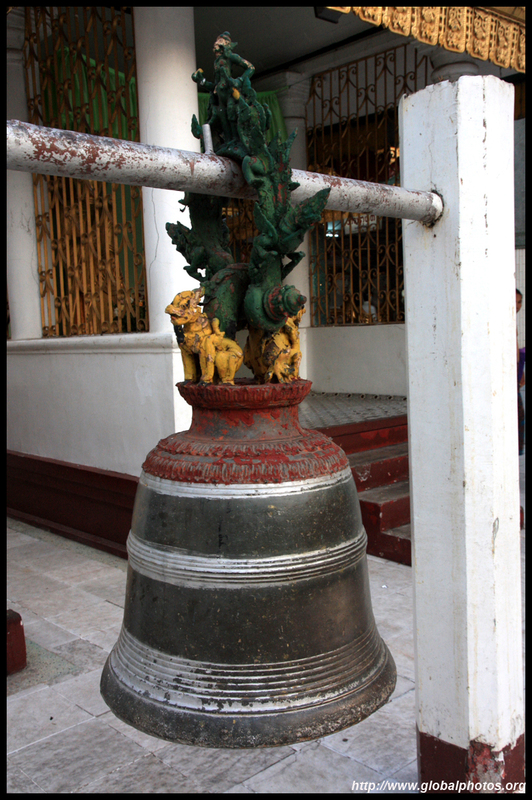 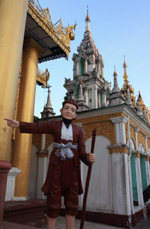 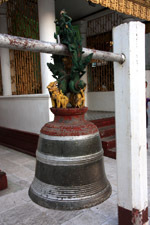 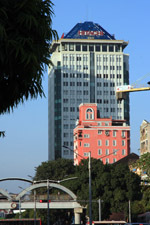 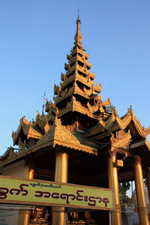 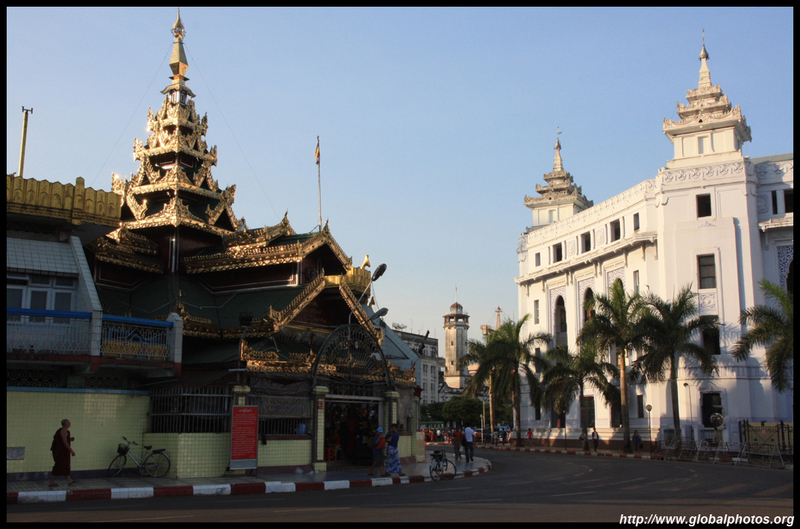 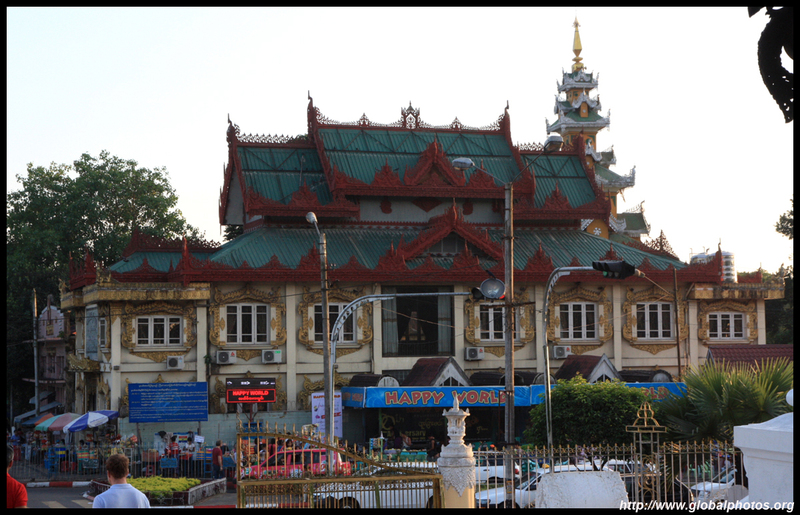 Sule Pagoda is a 2000-year-old temple that now sits in a traffic circle. 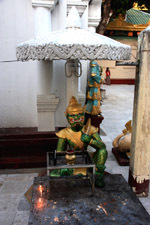 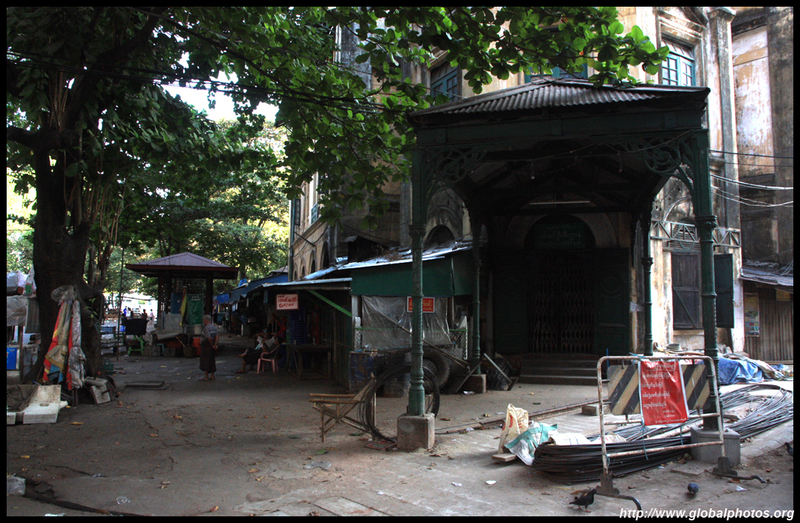 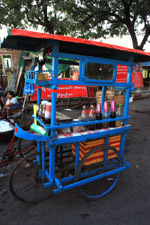 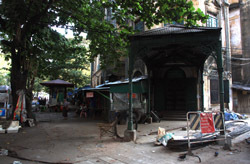 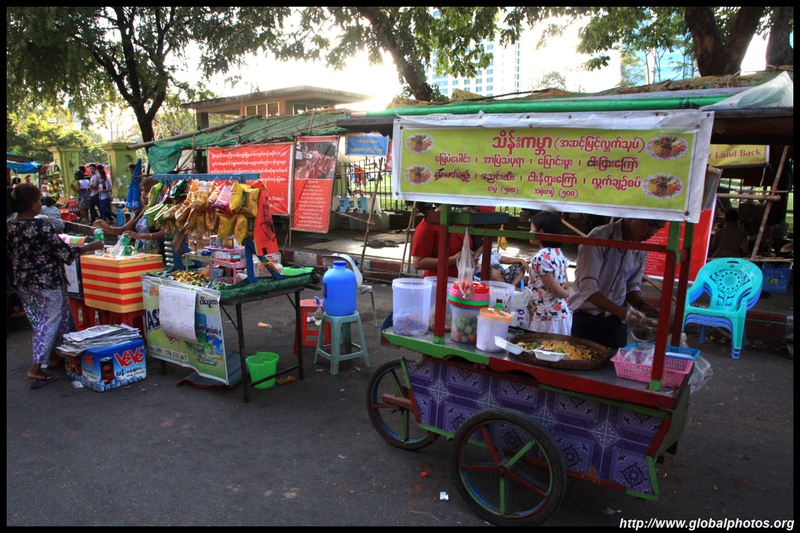 The street level is dominated by shops unrelated to worship, while small passages between these shops allow for entry into the temple area. 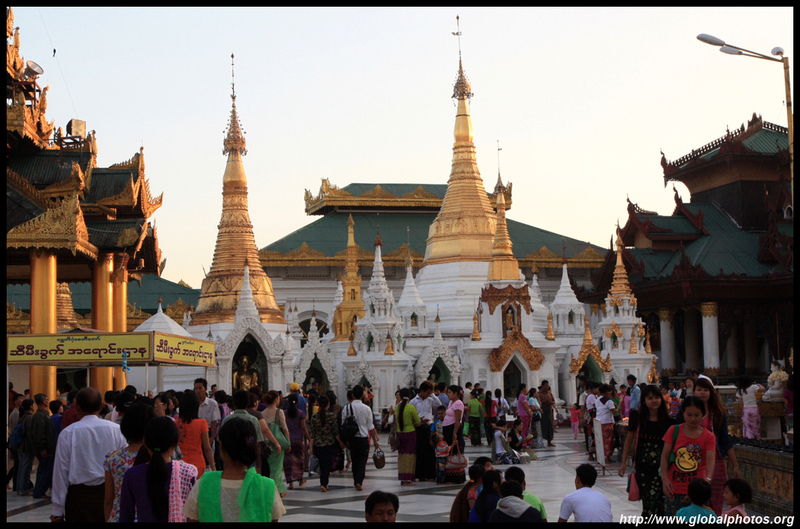 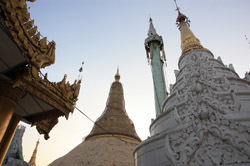 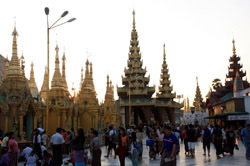 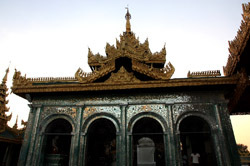 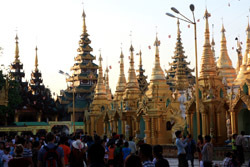 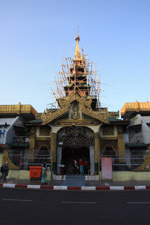 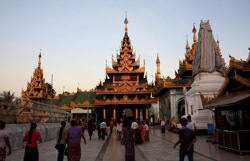 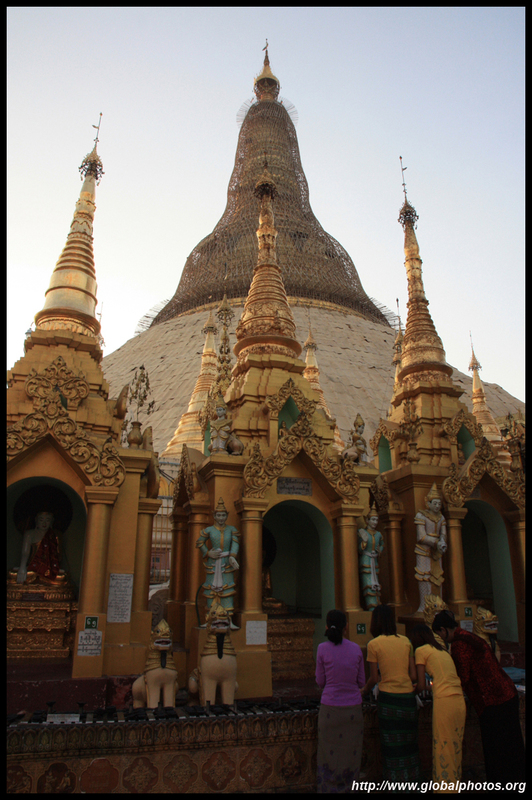 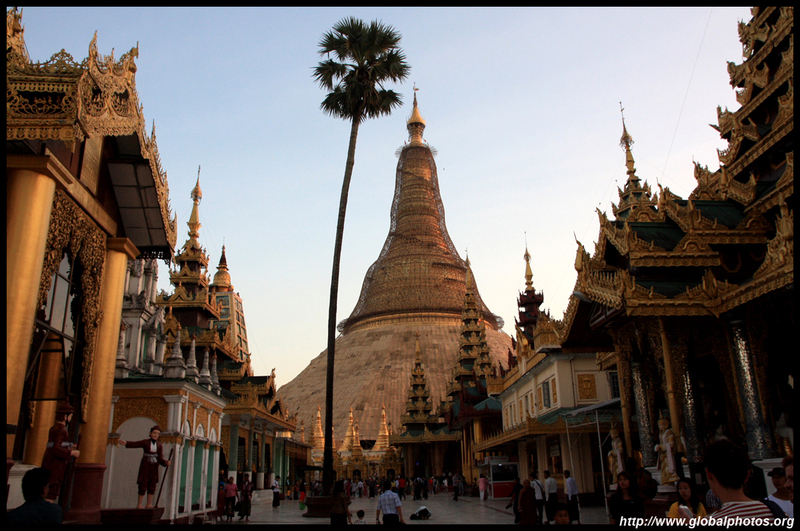 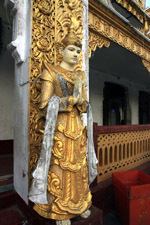 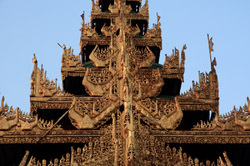 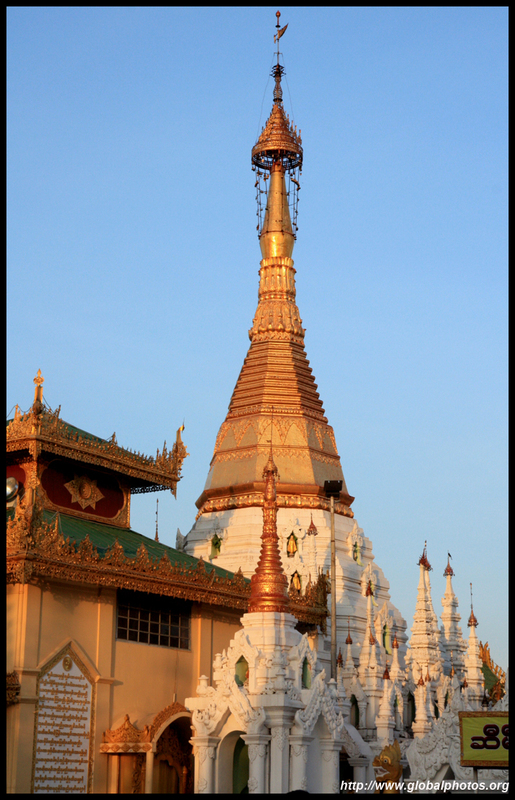 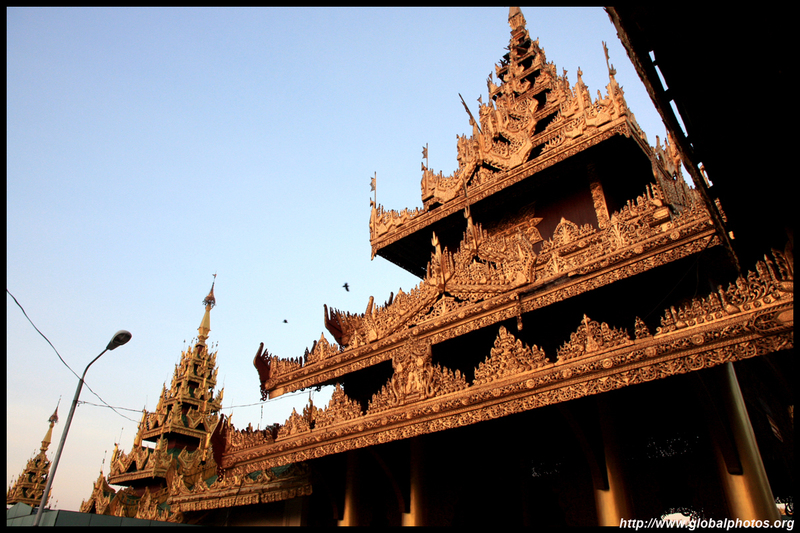 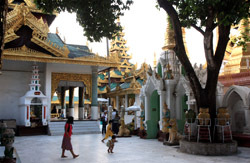 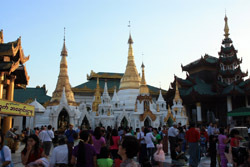 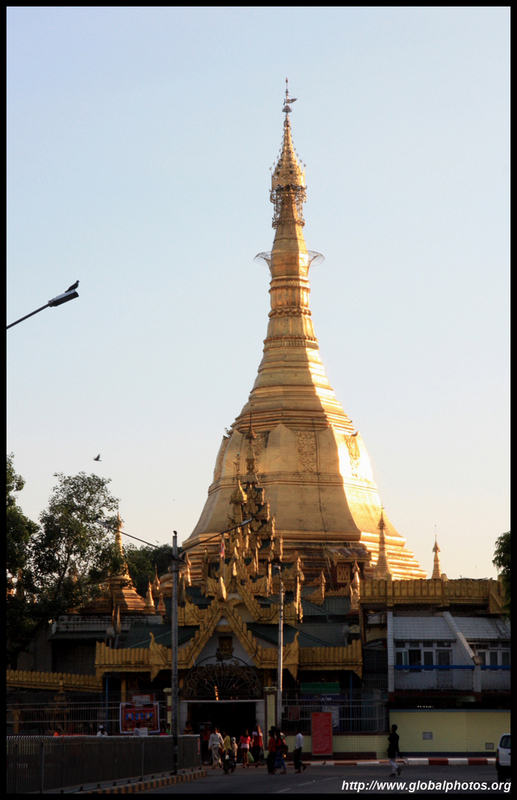 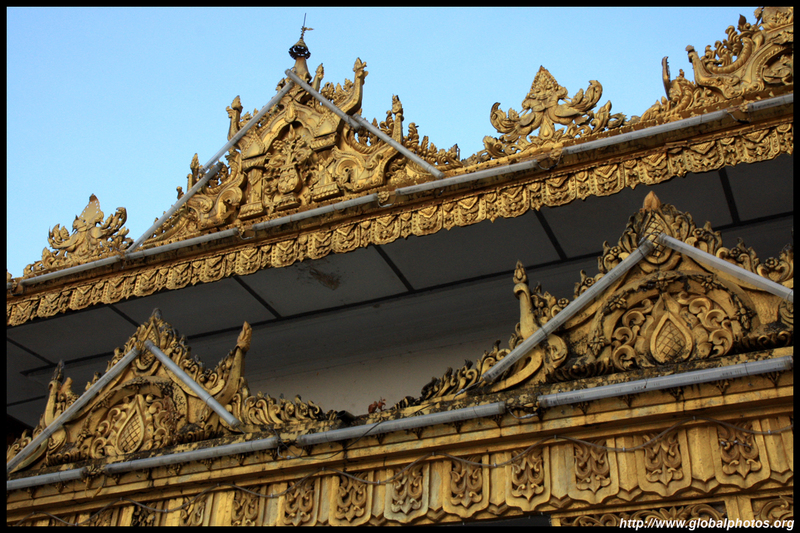 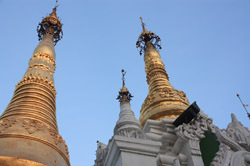 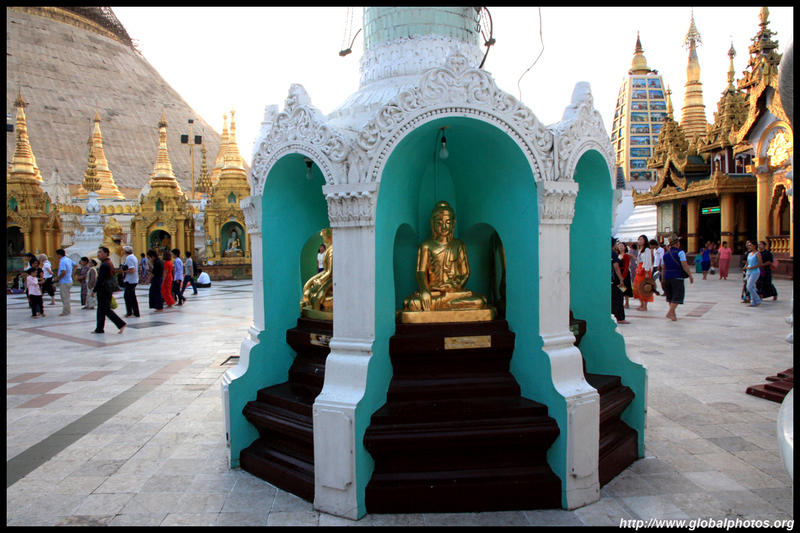 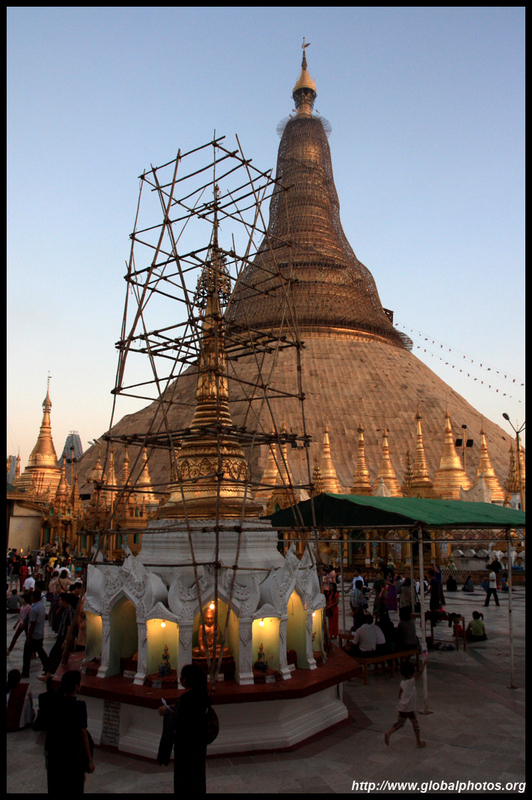 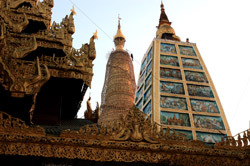 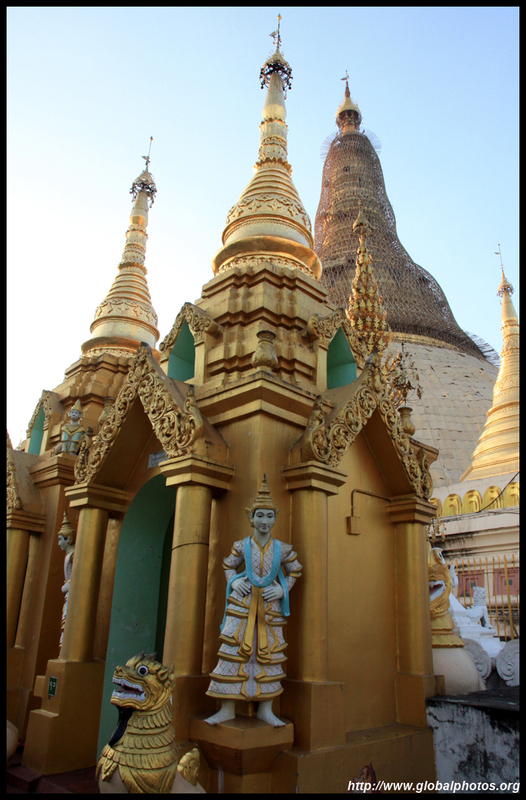 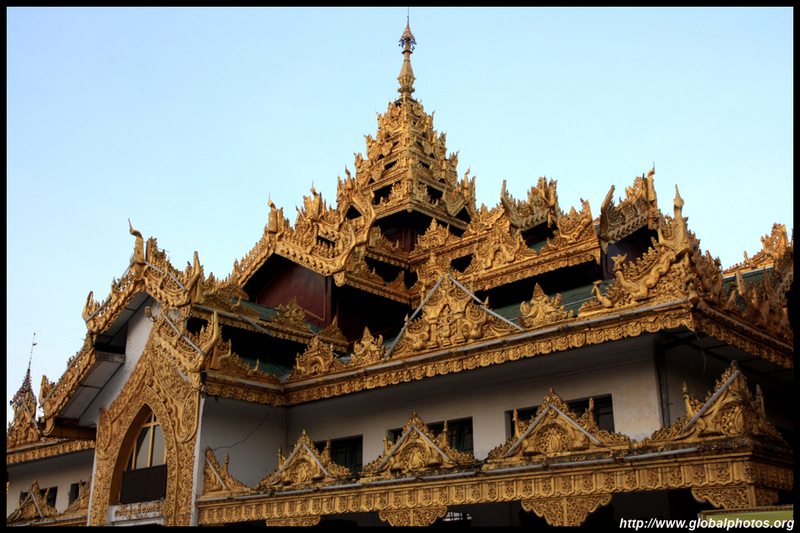 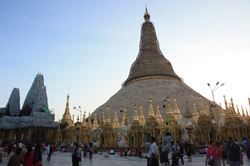 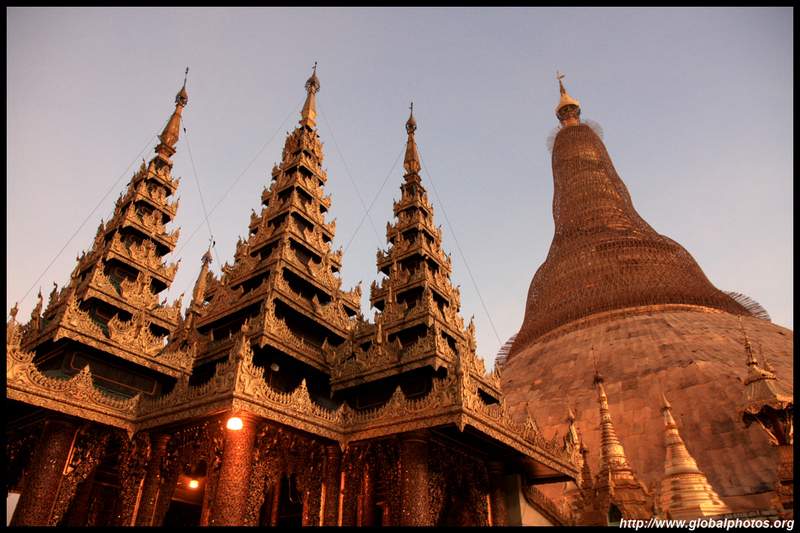 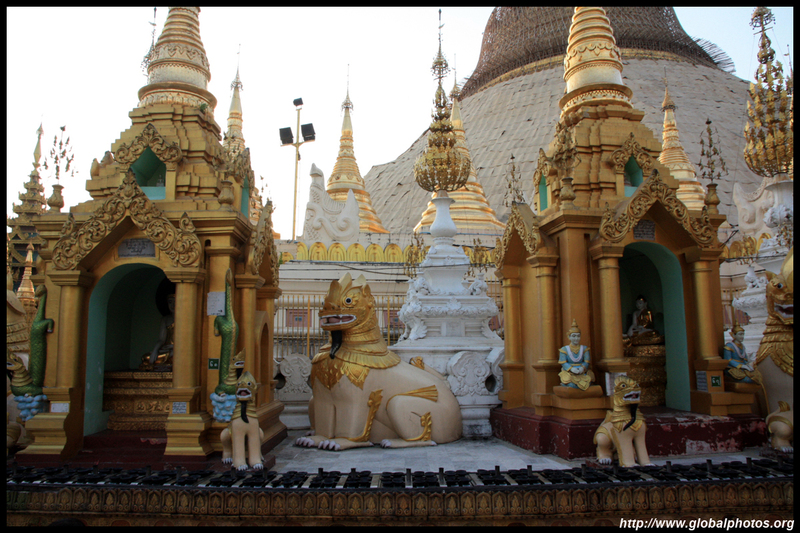 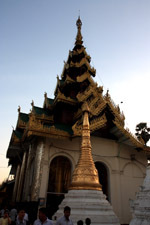 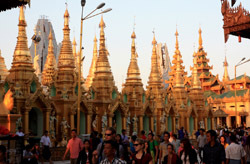 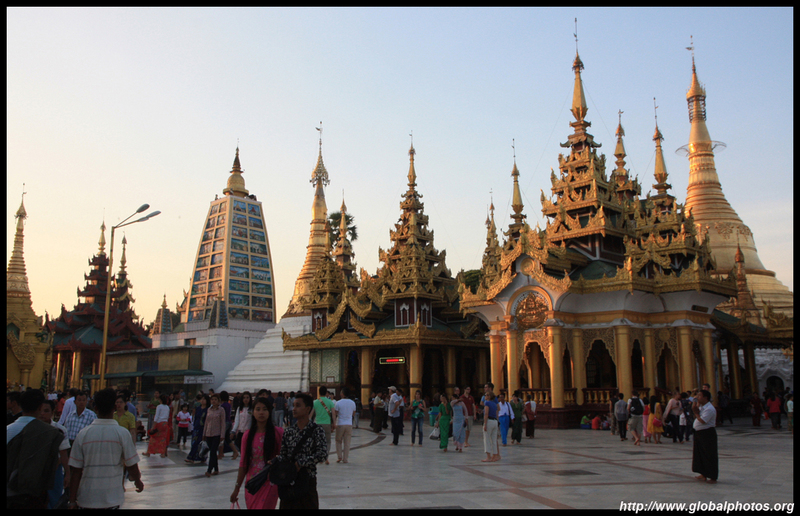 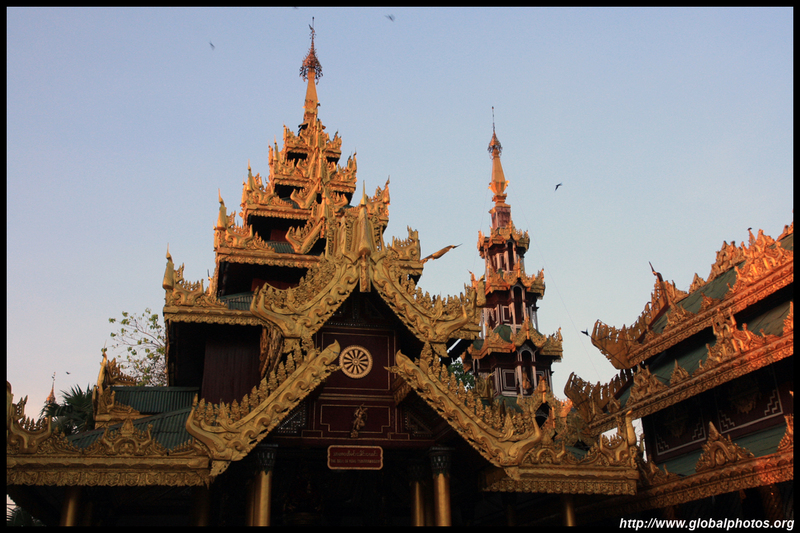 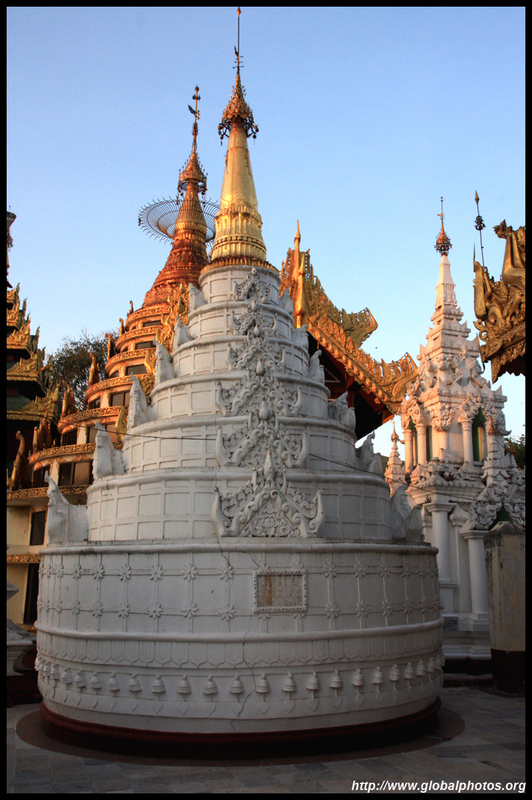 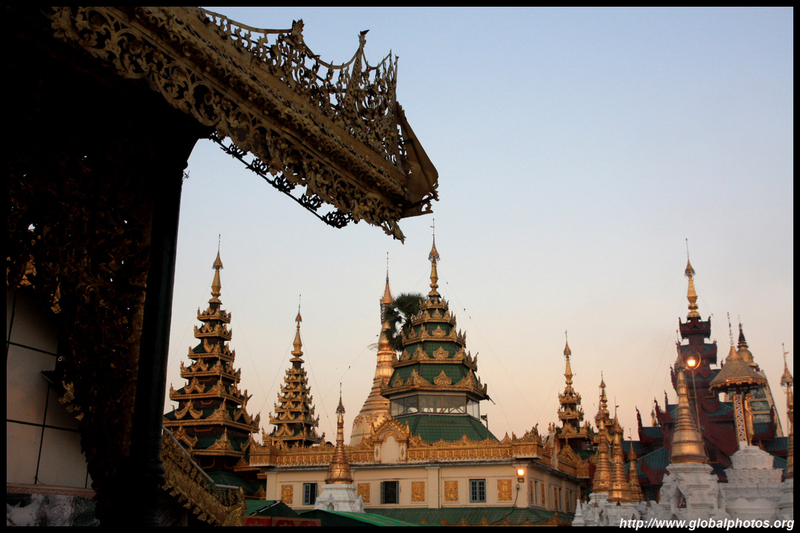 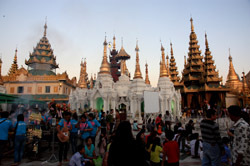 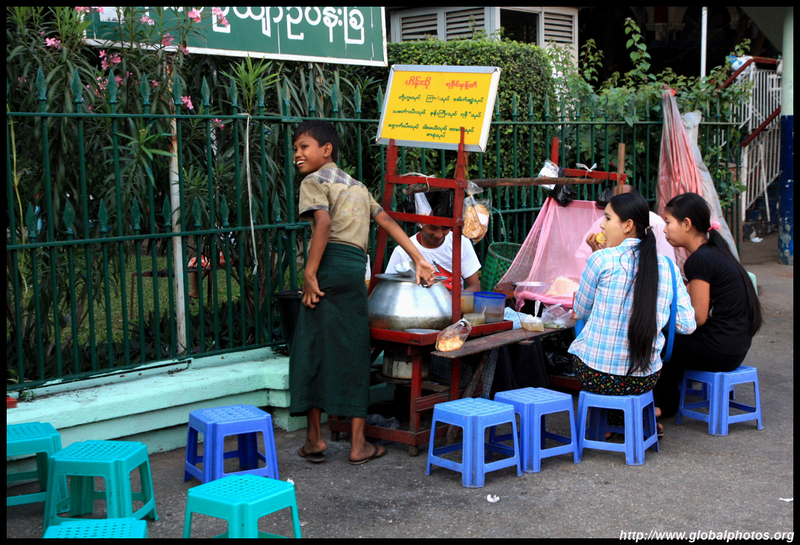 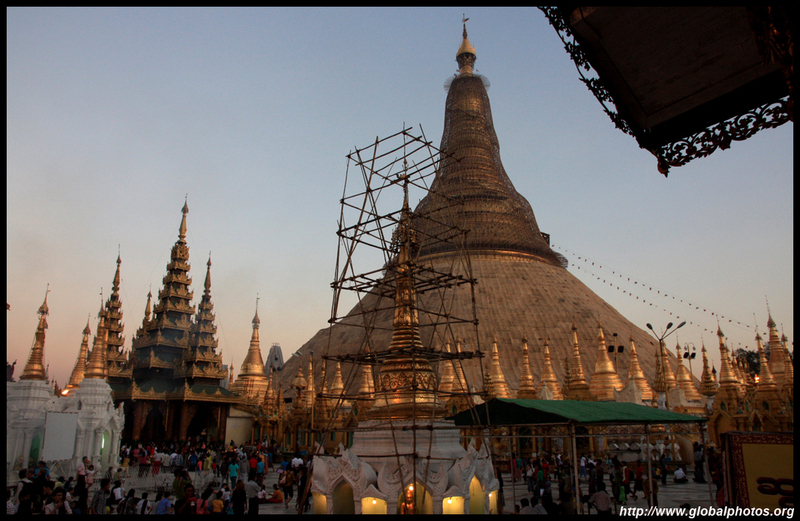 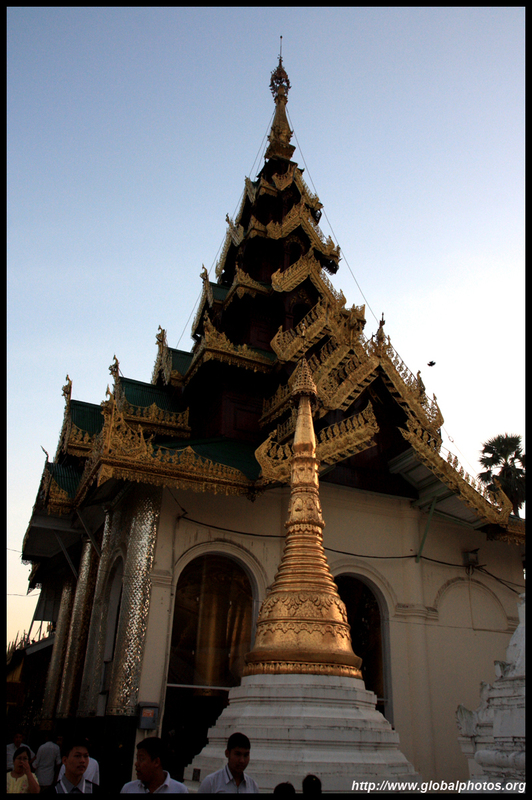 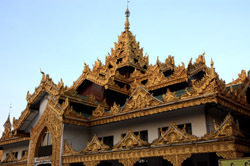 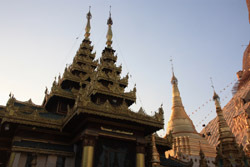 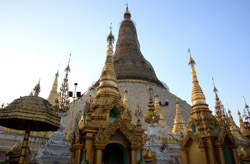 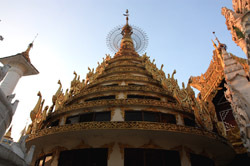 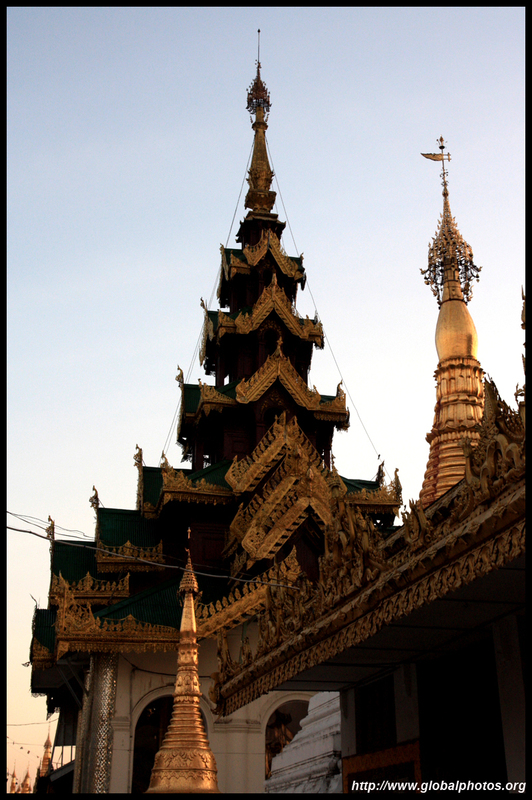 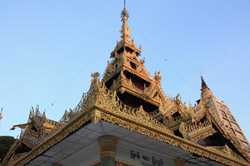 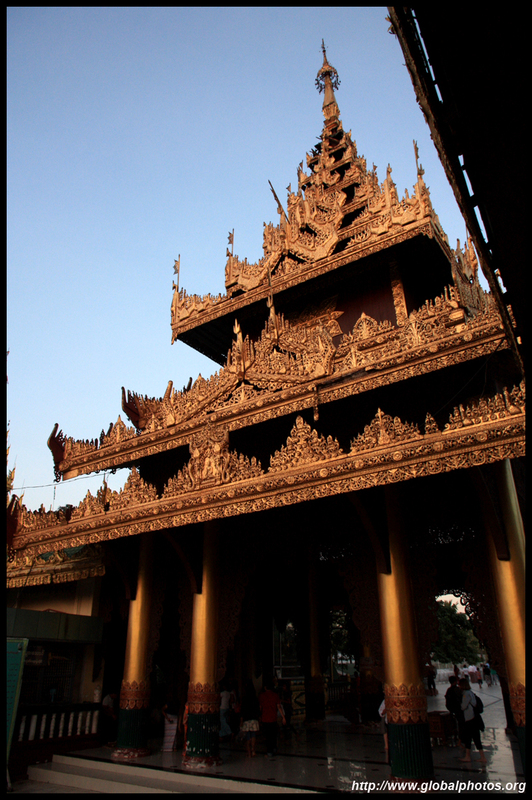 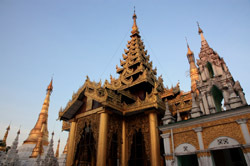 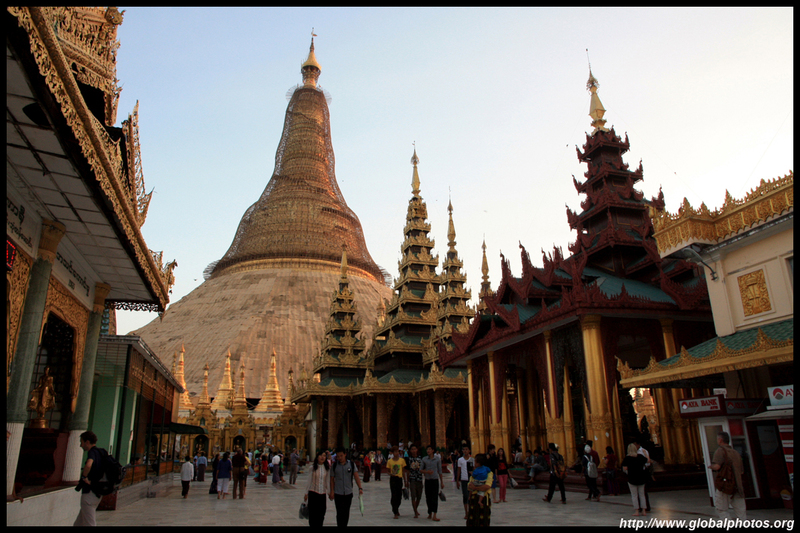 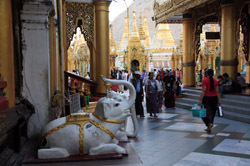 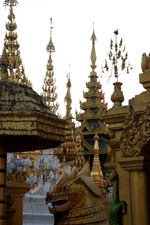 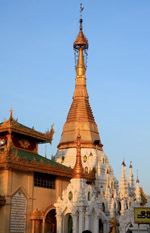 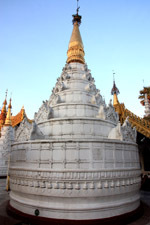 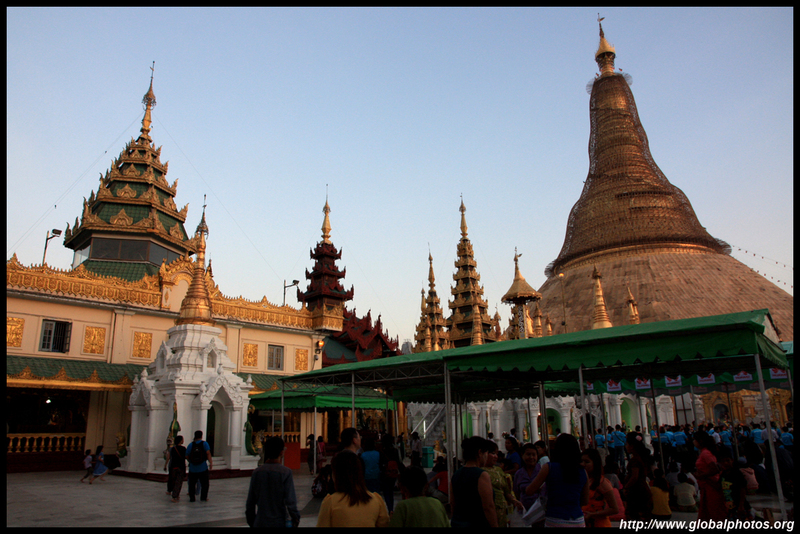 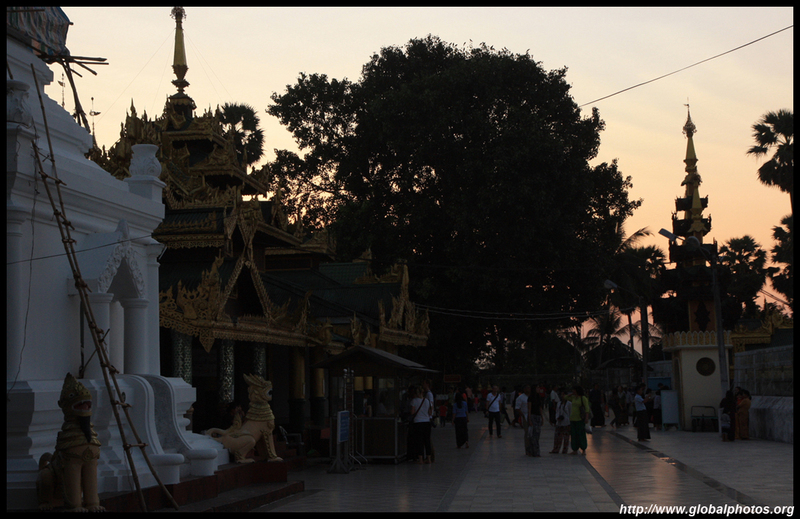 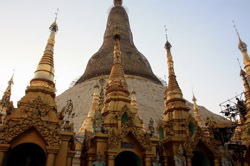 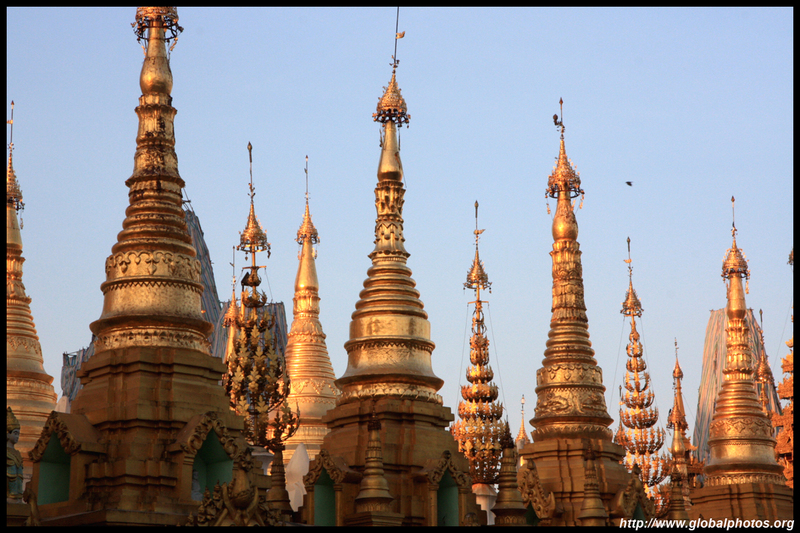 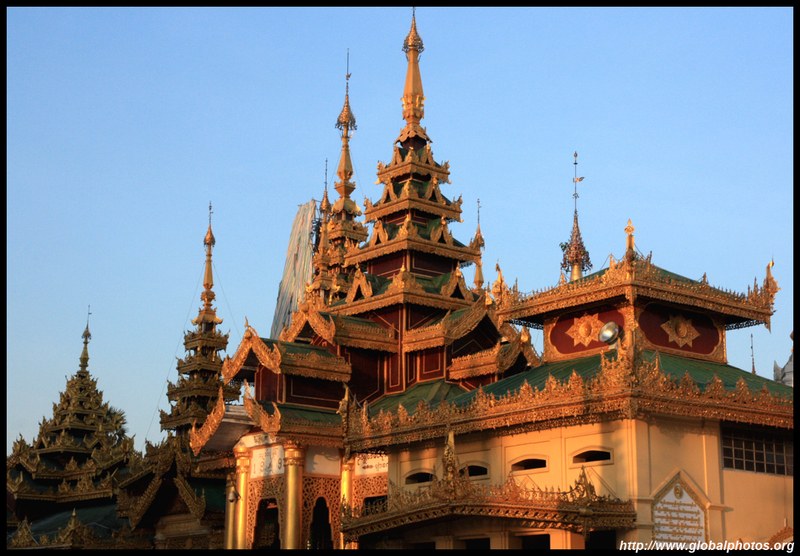 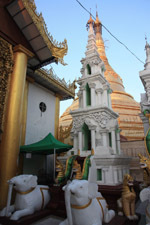 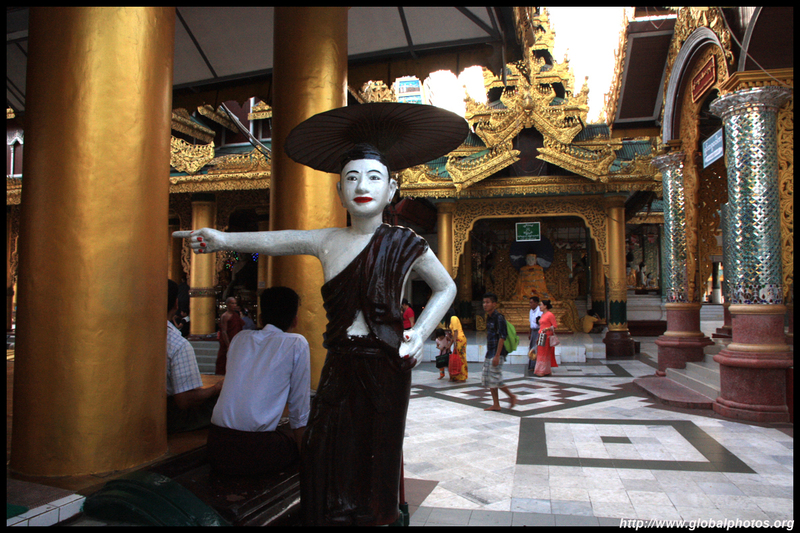 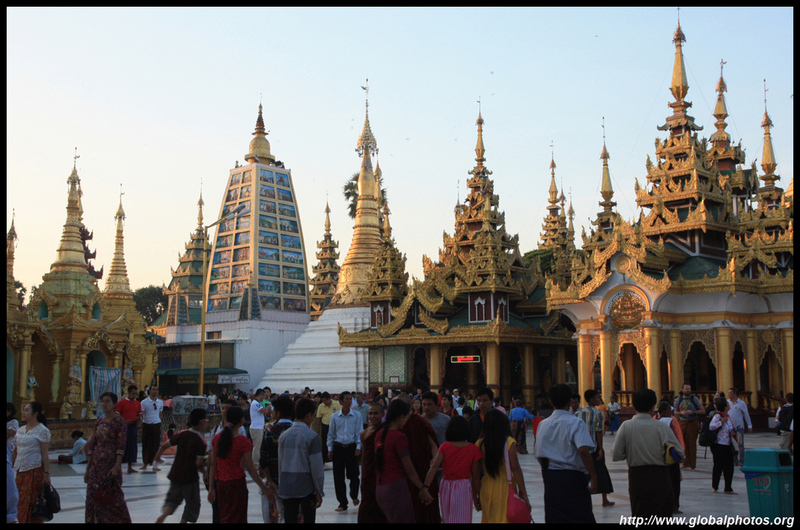 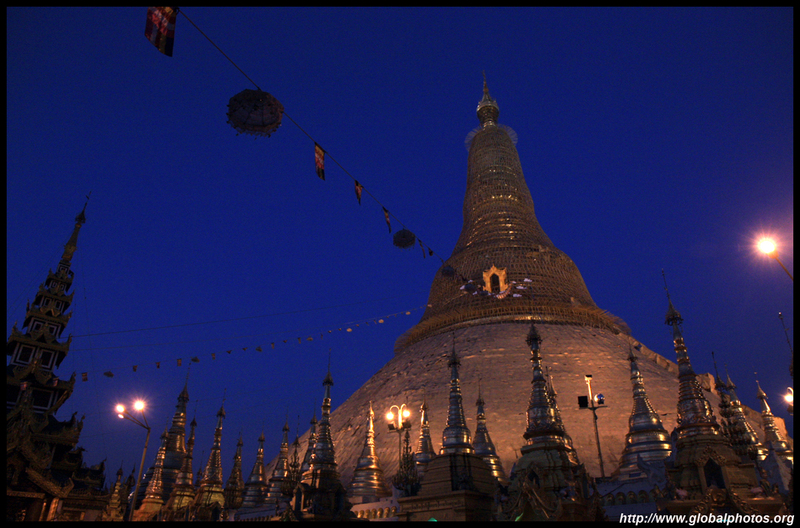 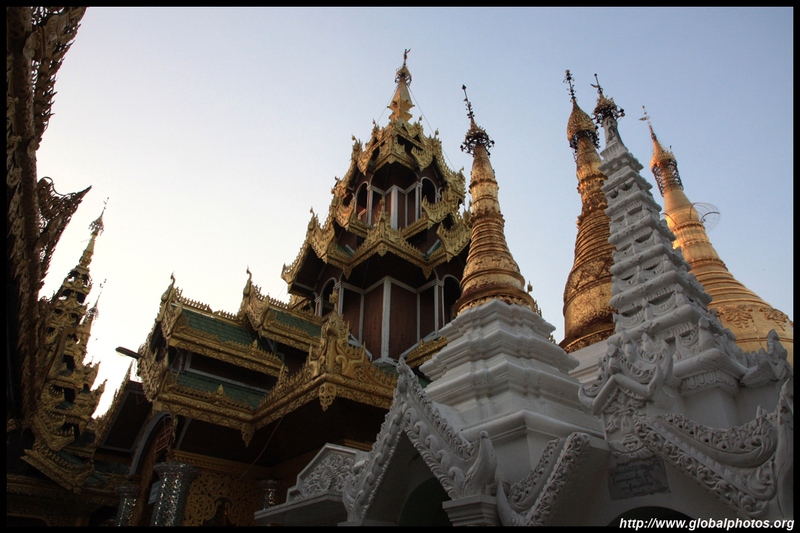 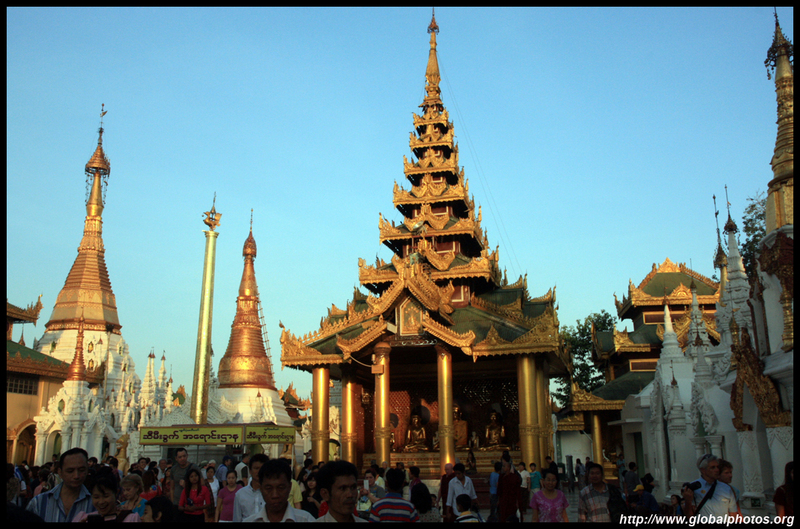 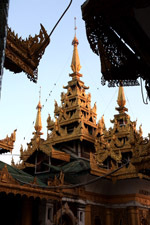 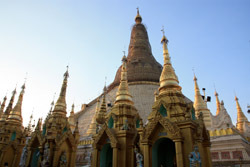 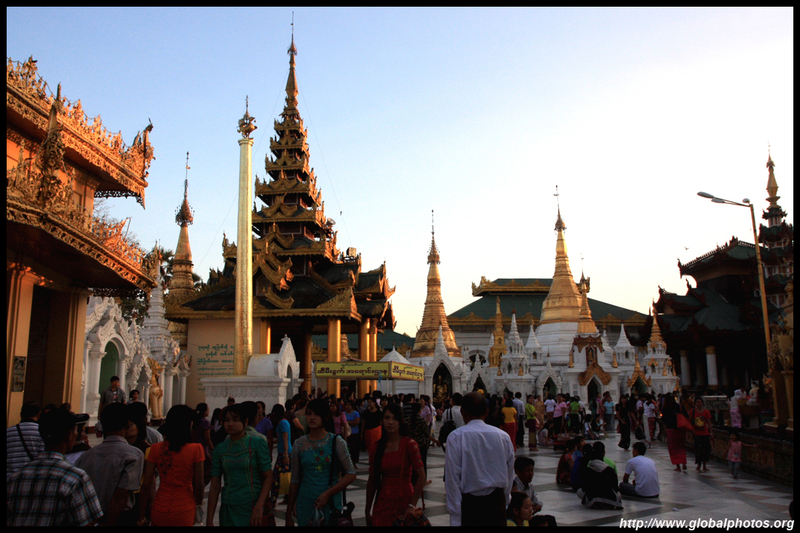 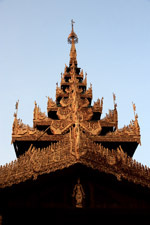 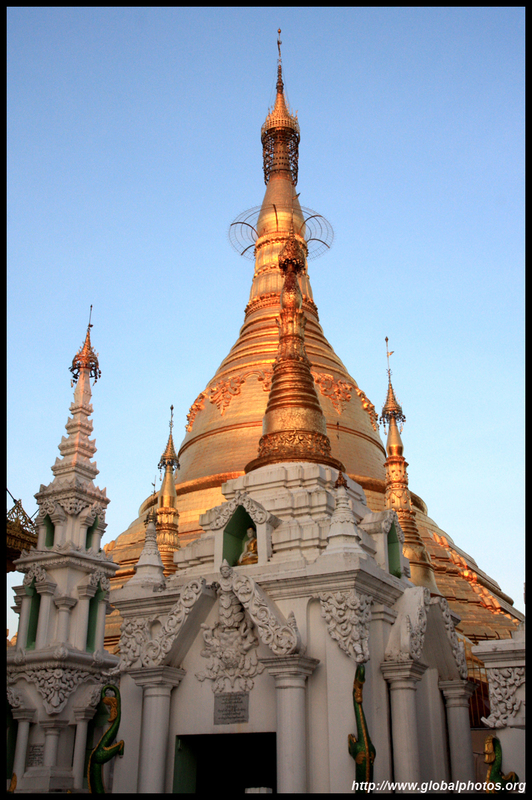 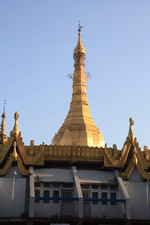 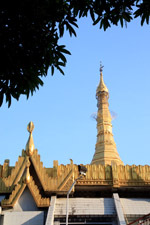 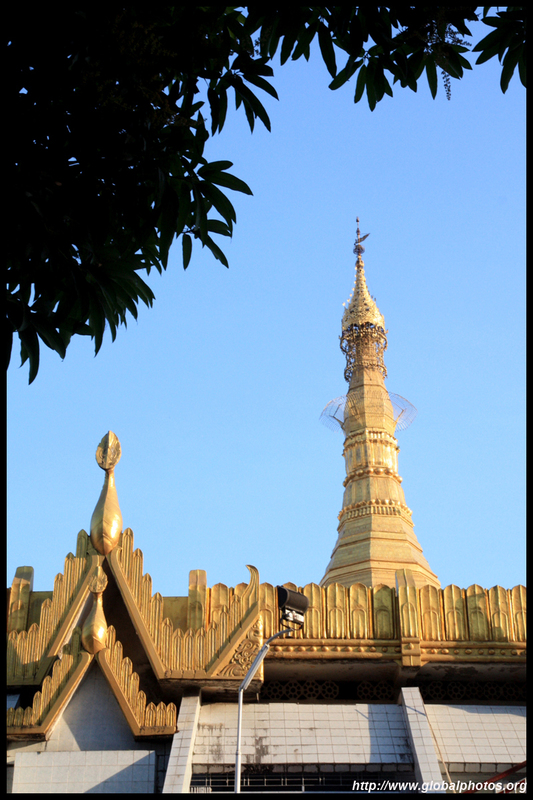 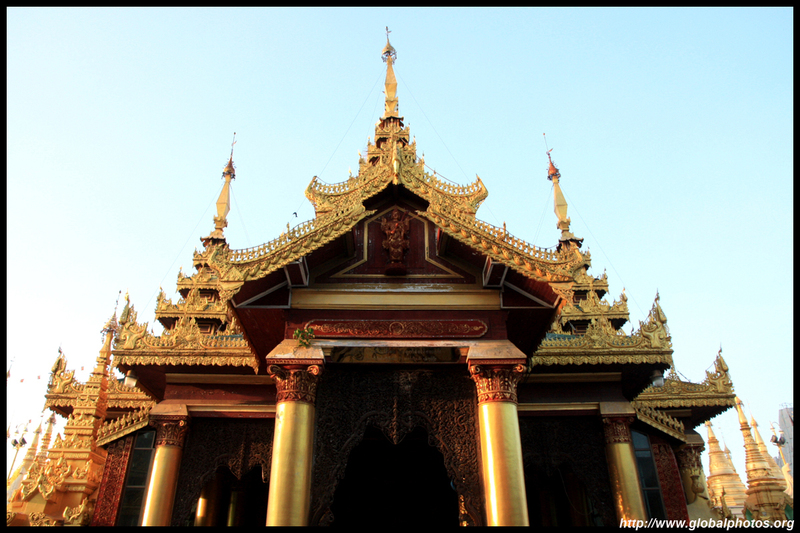 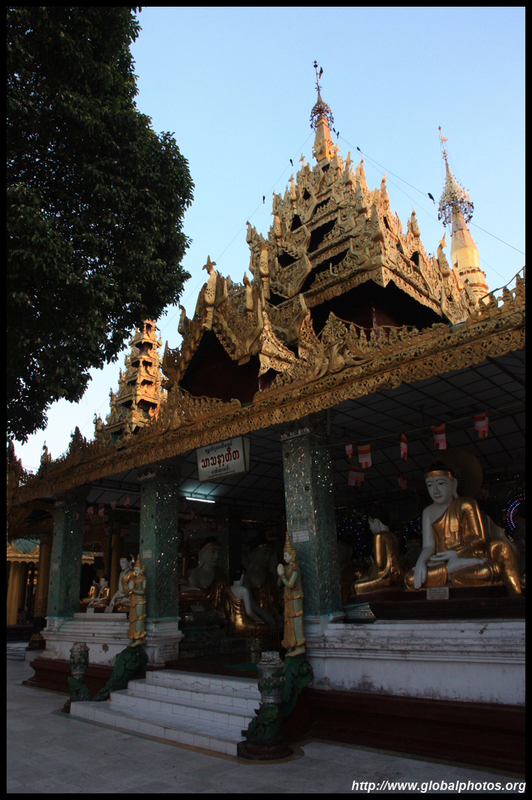 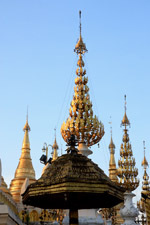 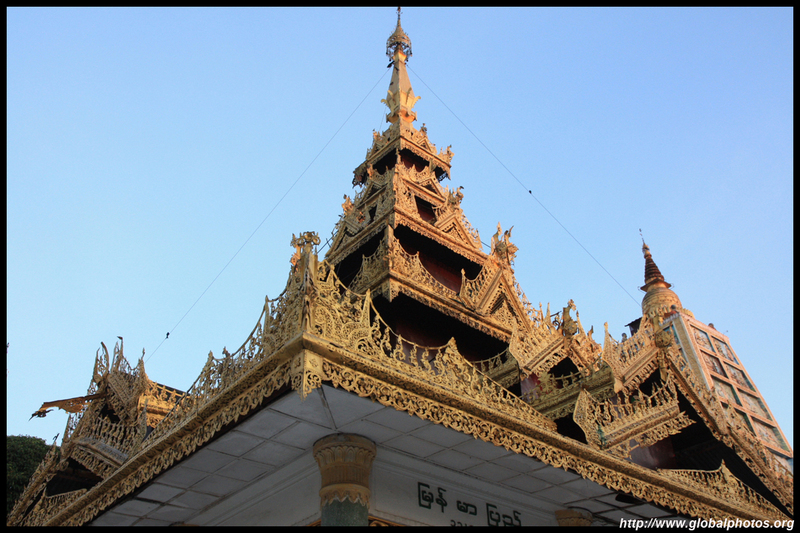 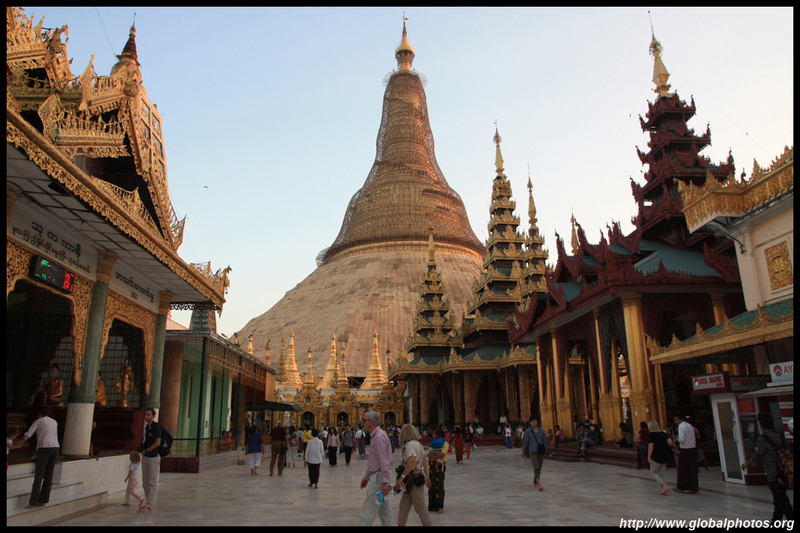 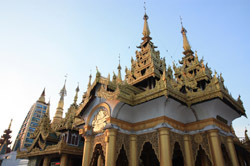 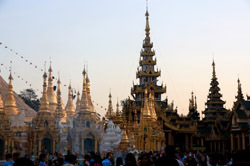 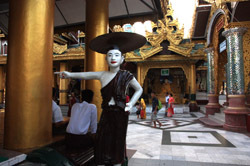 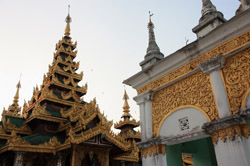 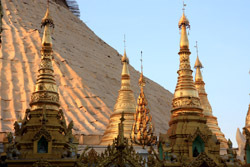 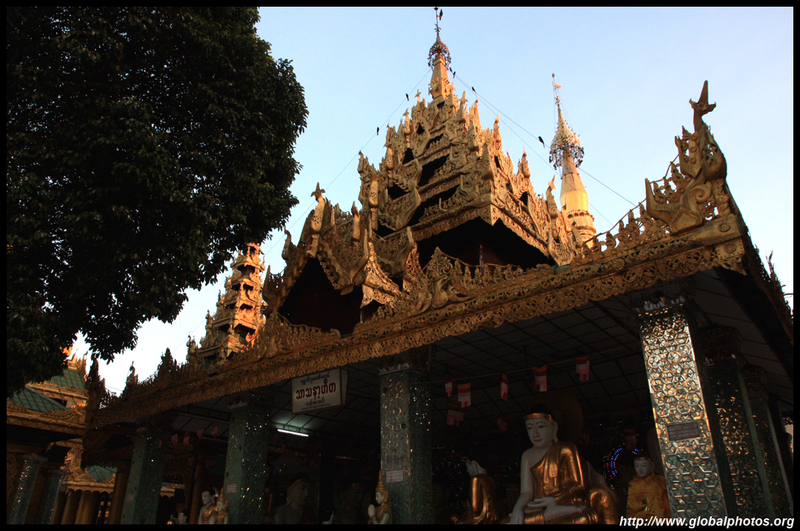 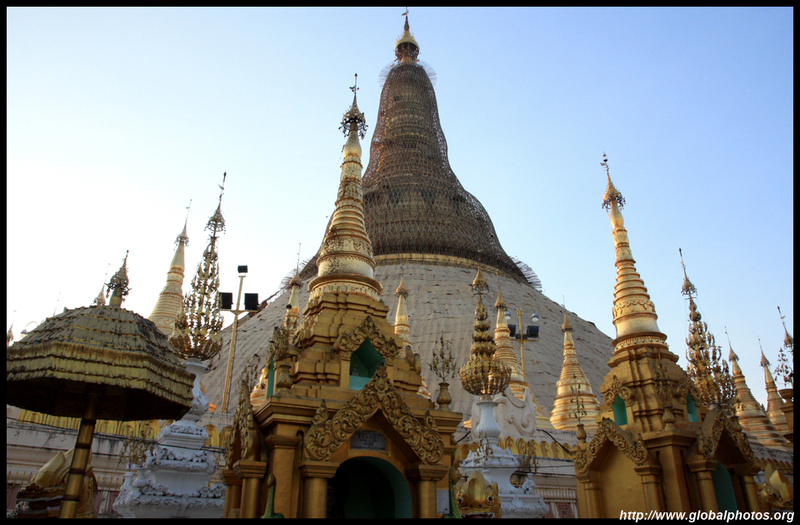 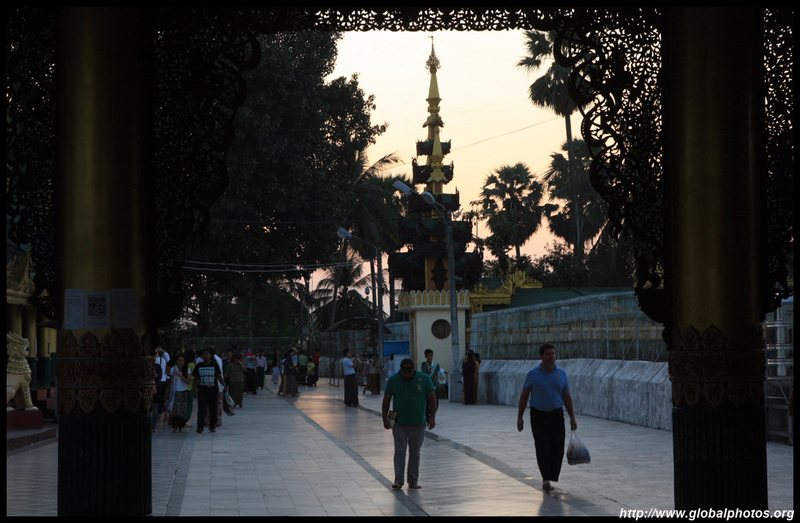 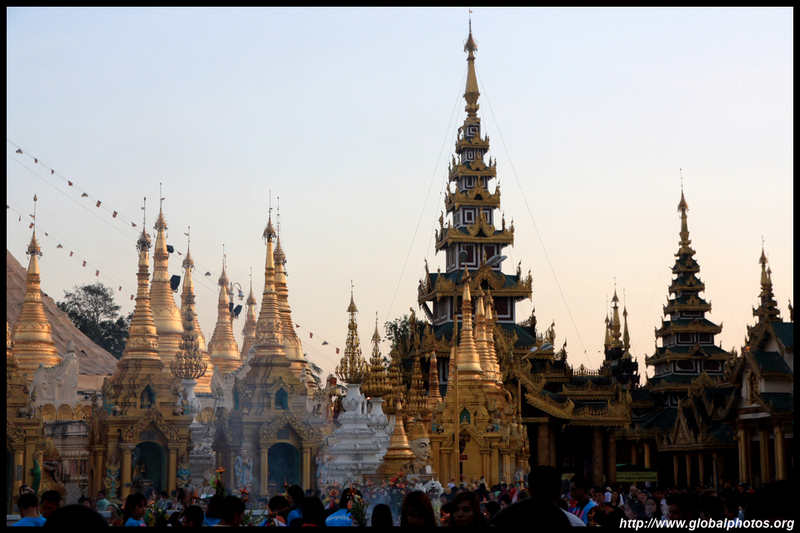 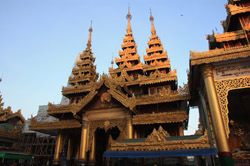 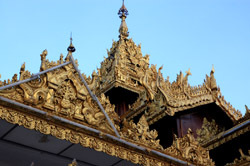 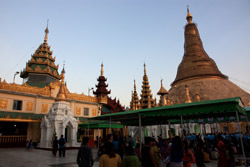 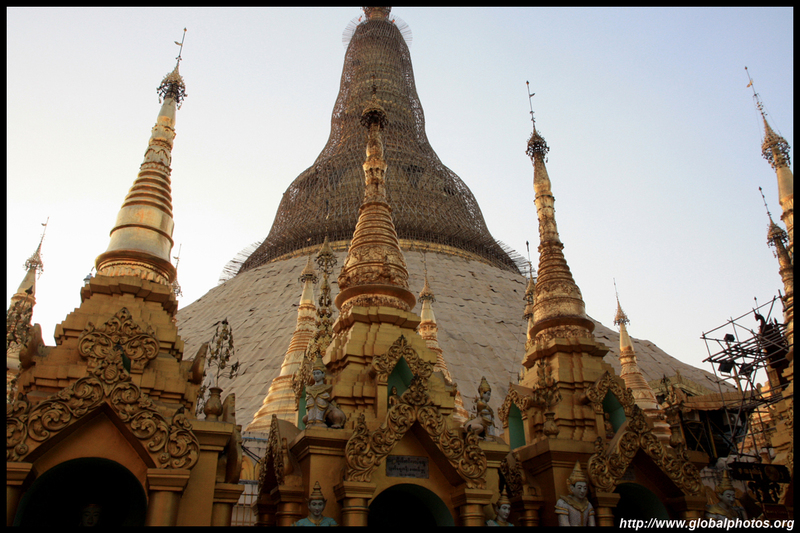 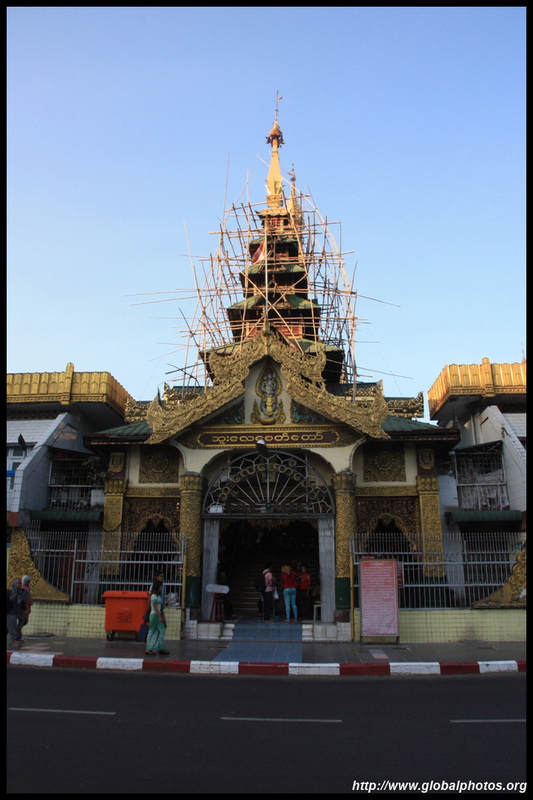 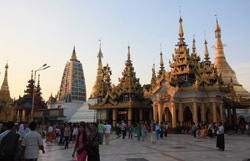 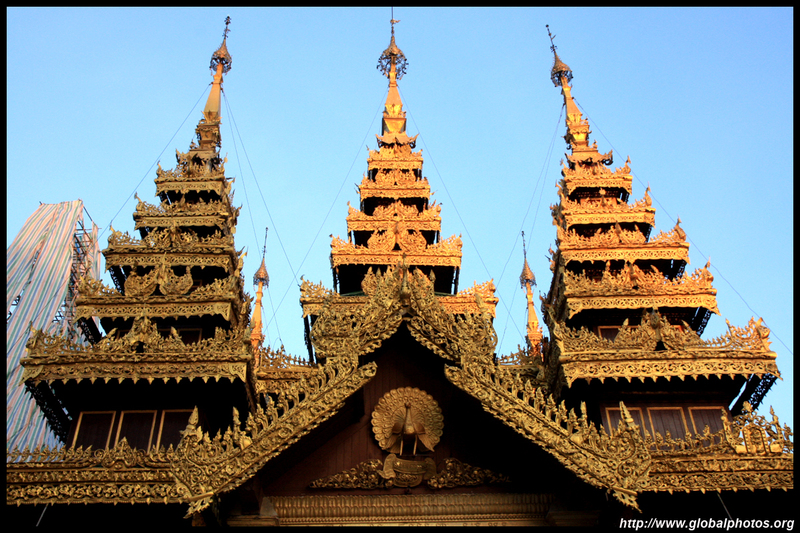 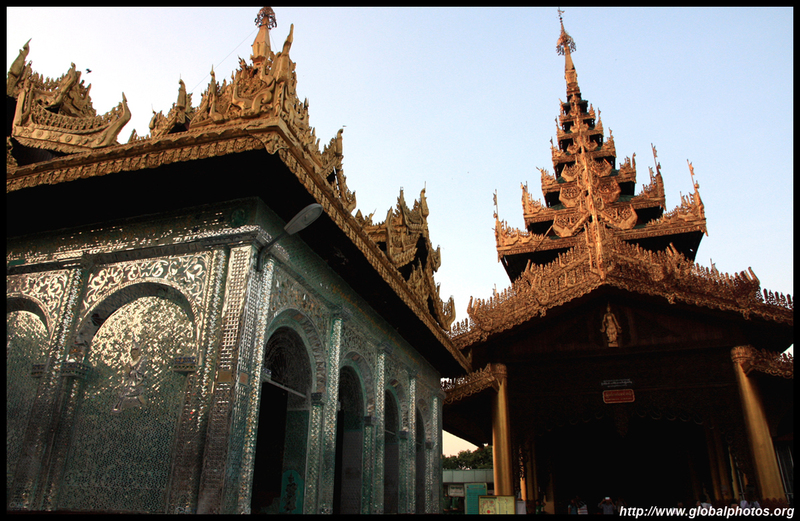 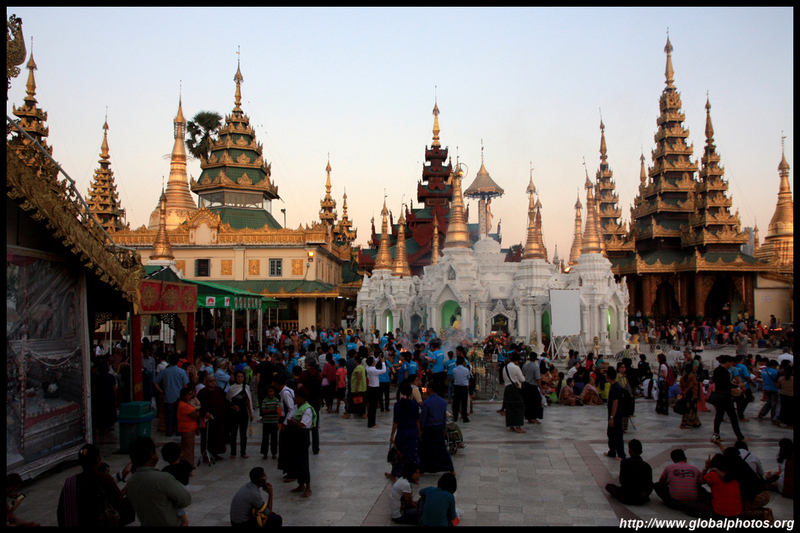 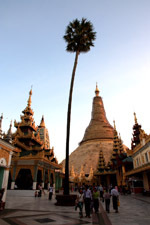 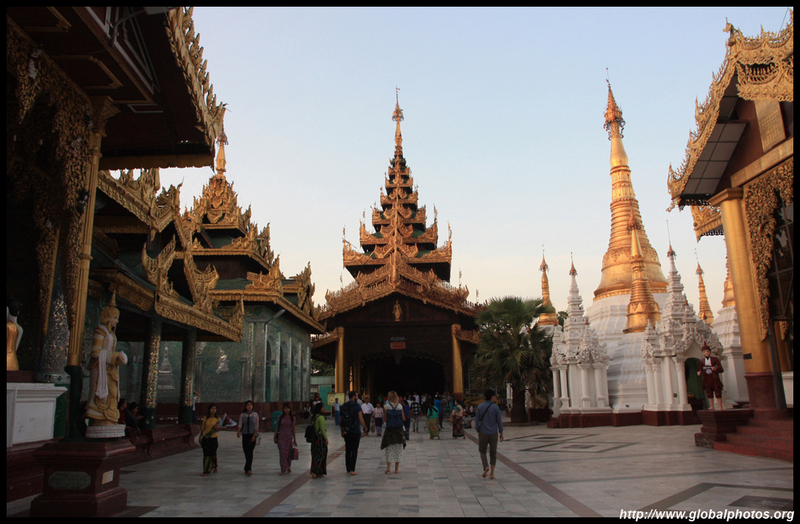 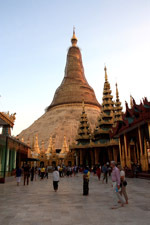 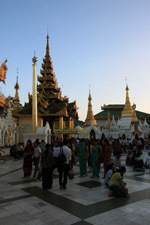 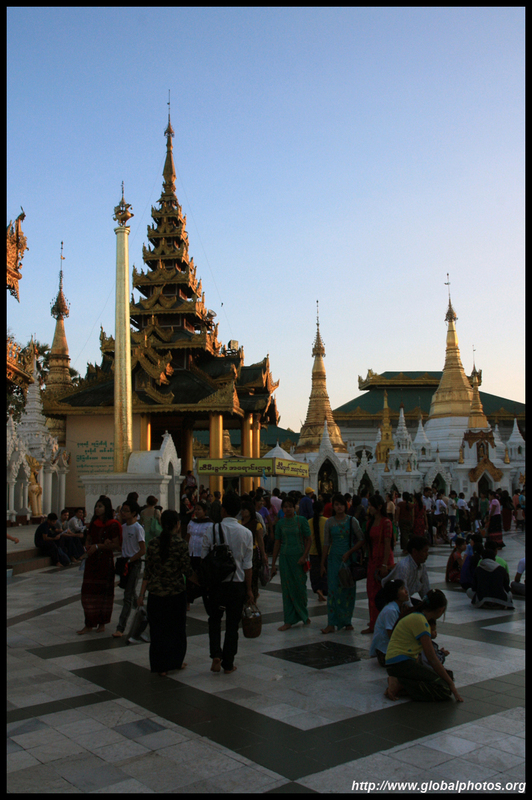 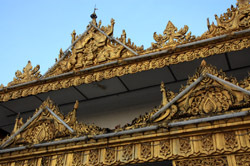 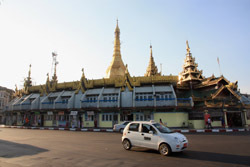 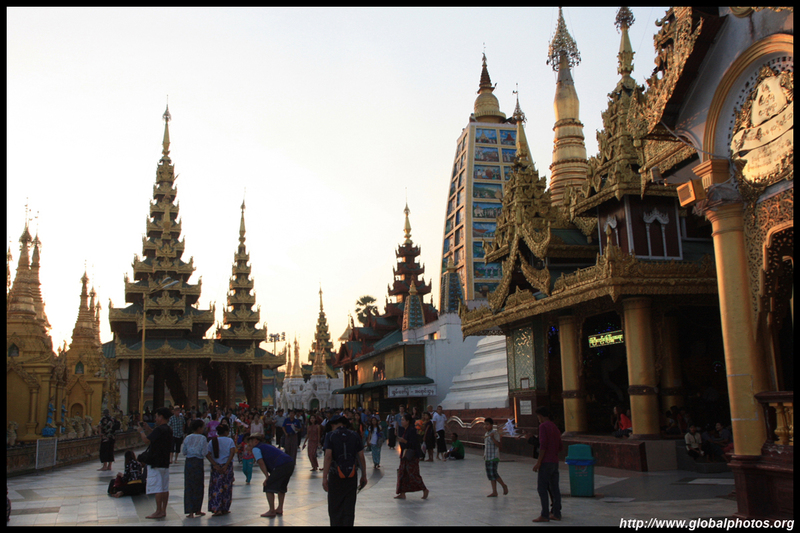 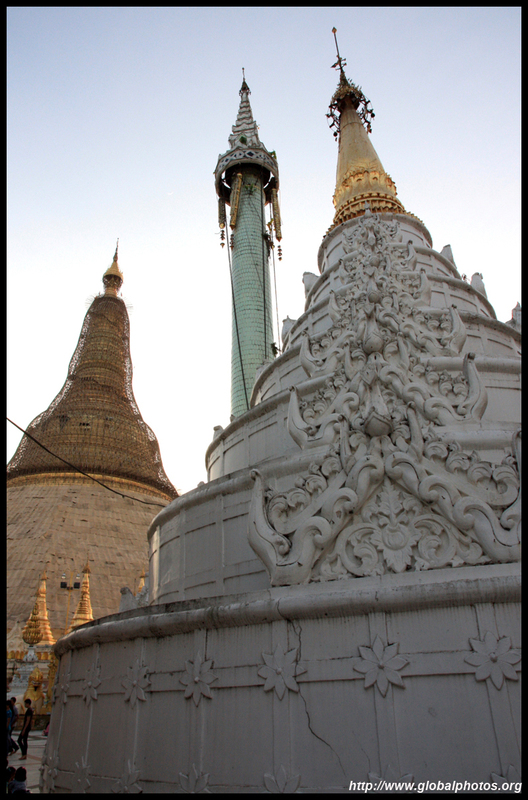 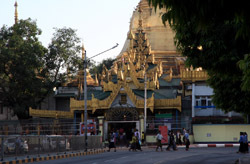 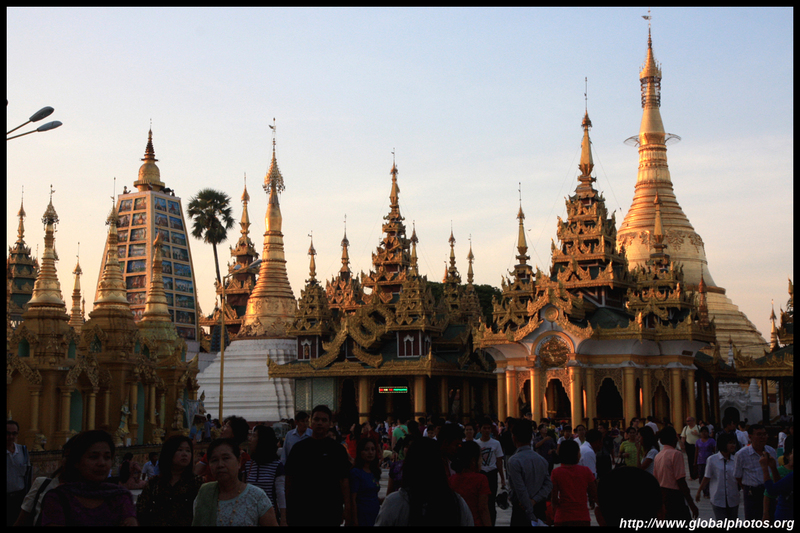 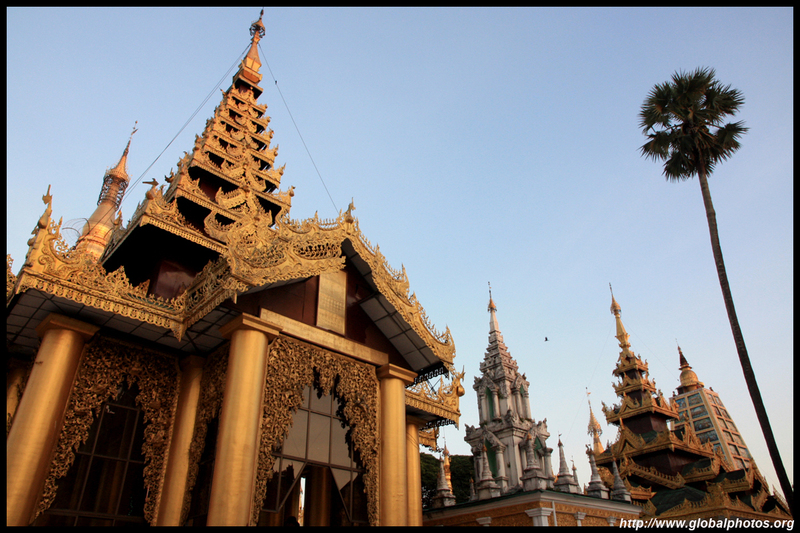 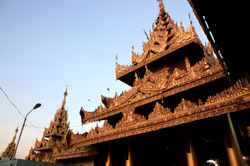 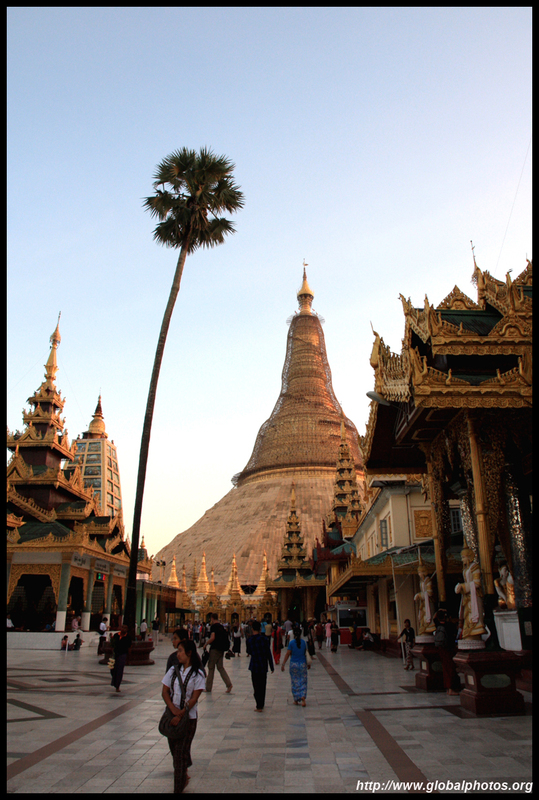 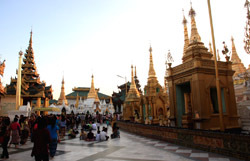 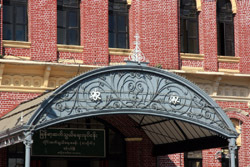 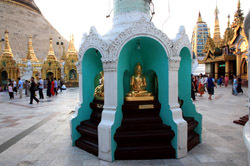 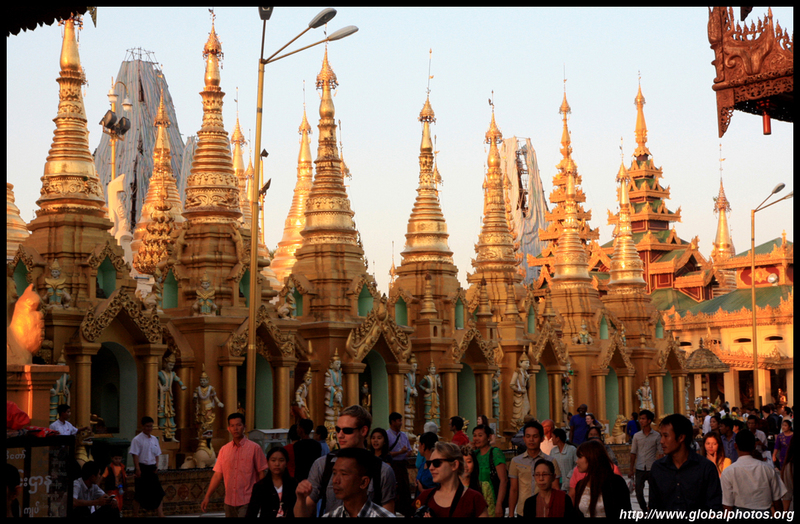 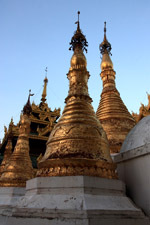 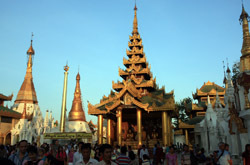 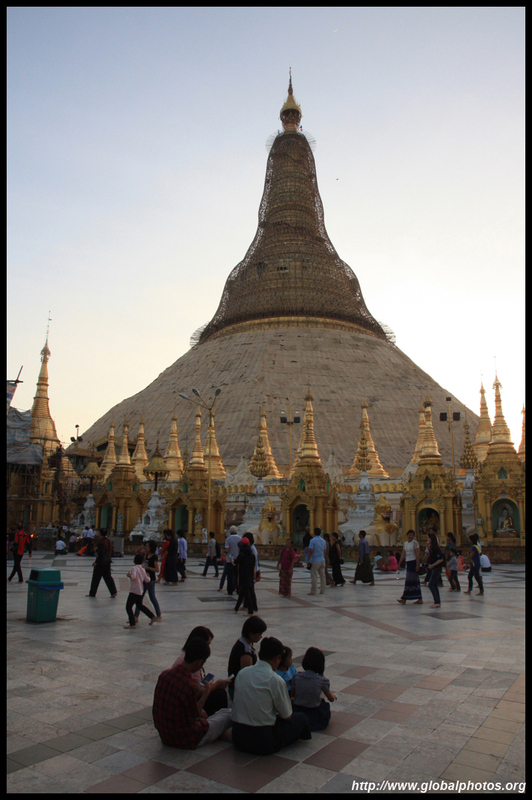 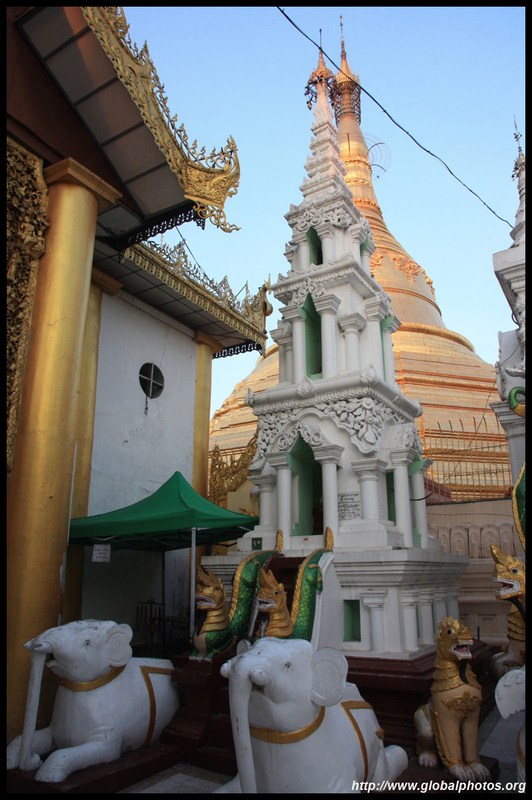 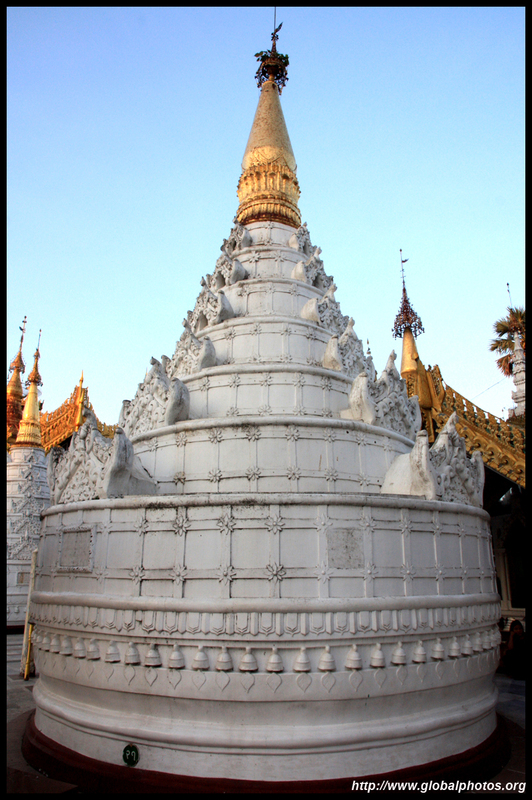 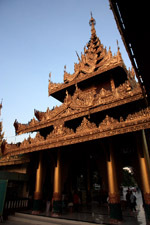 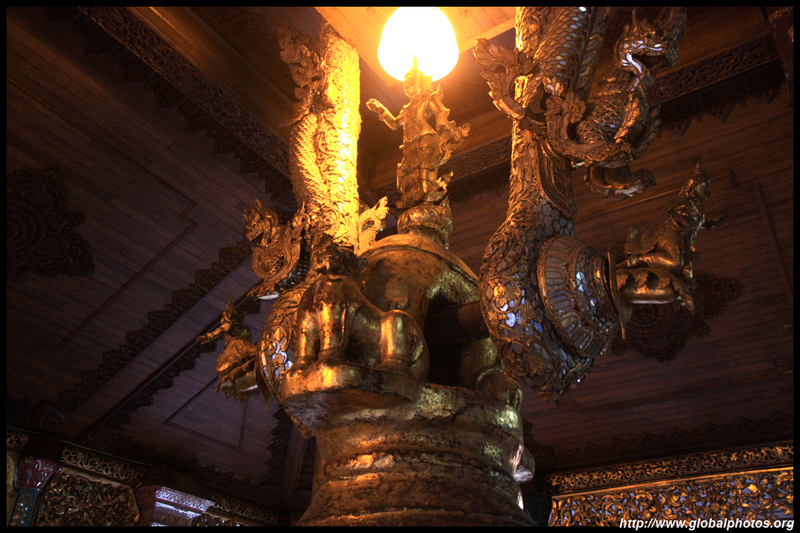 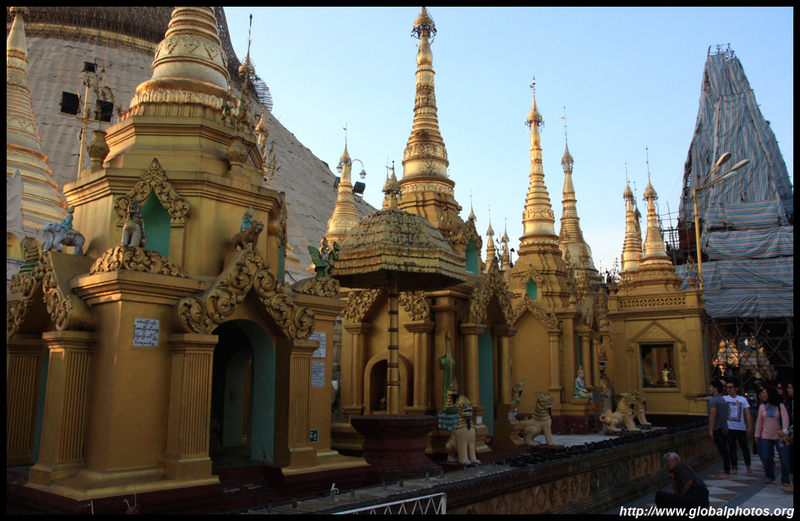 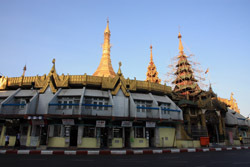 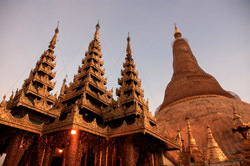 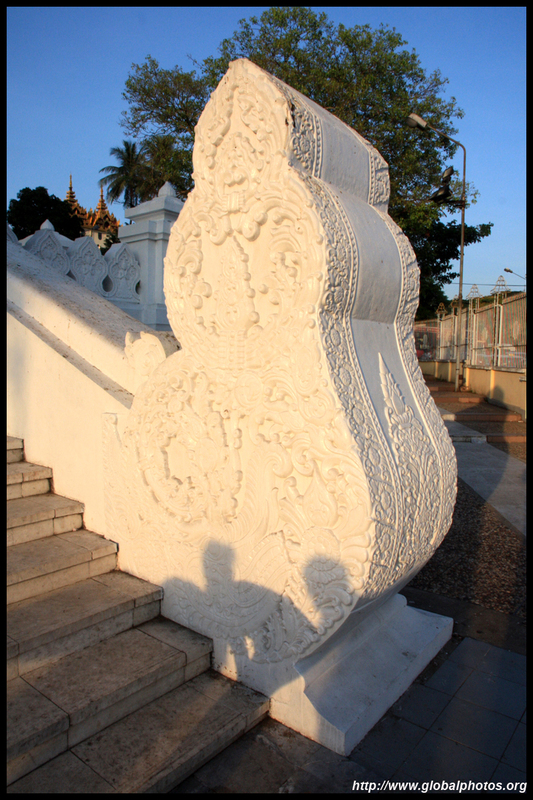 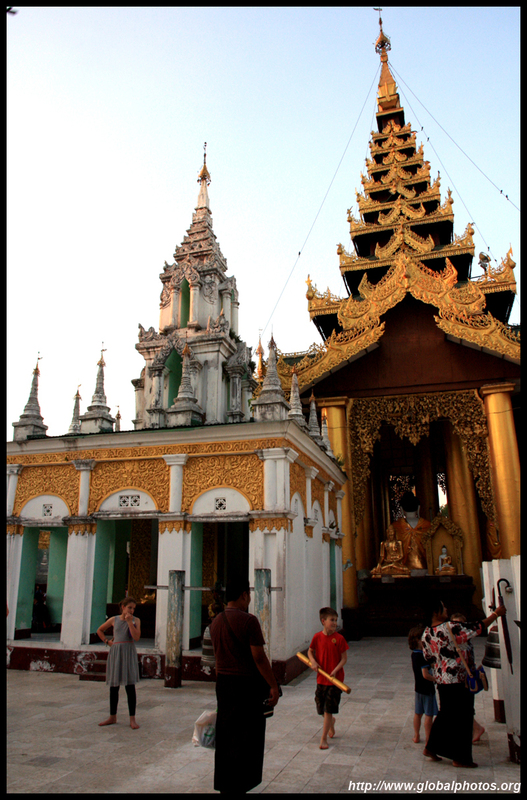 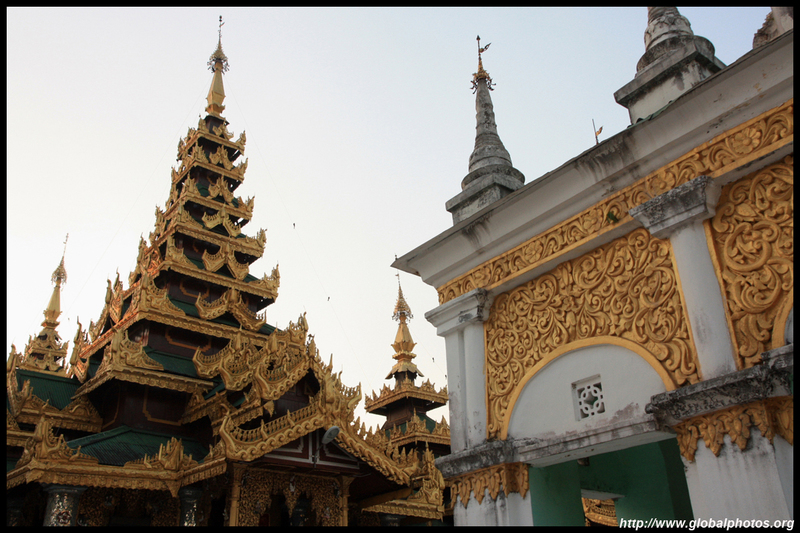 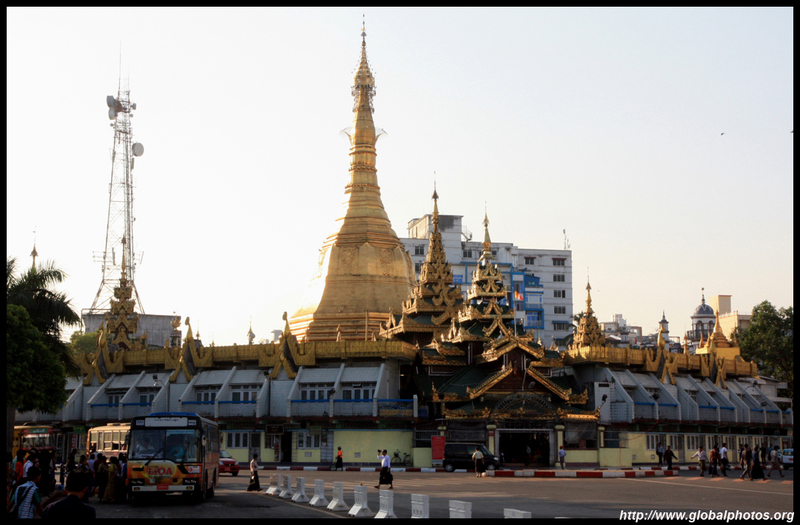 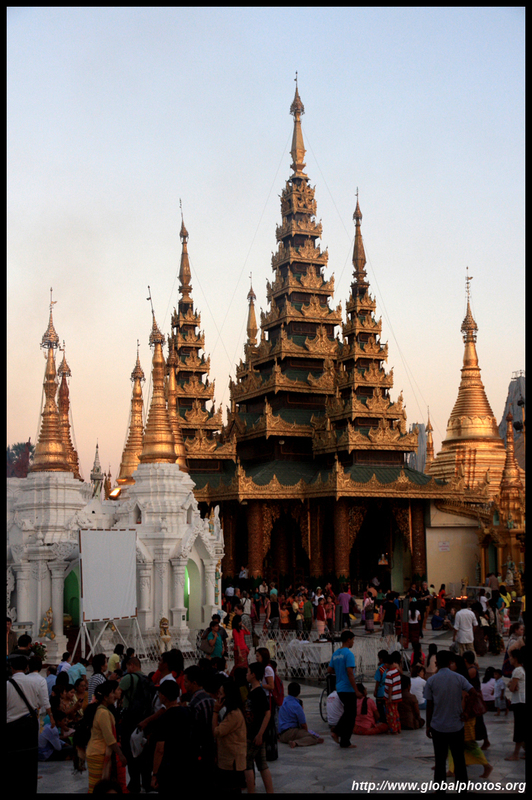 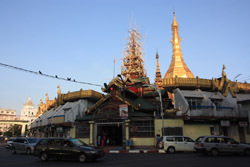 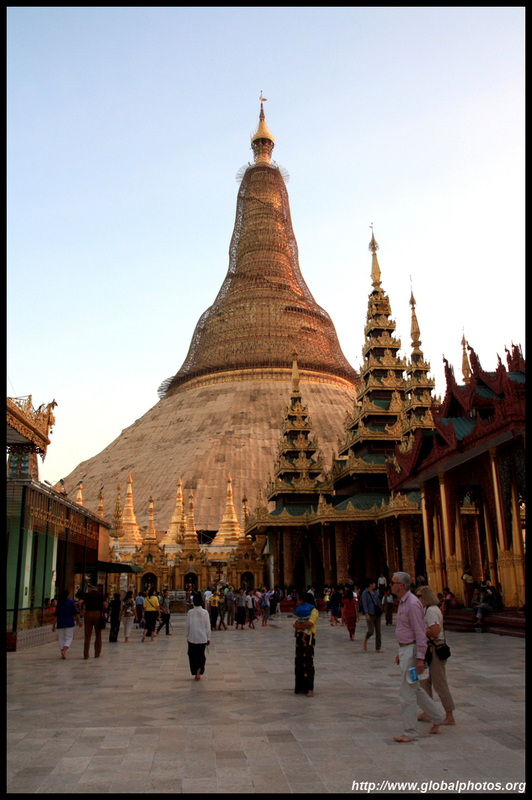 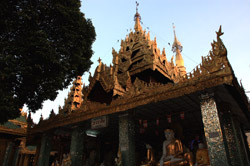 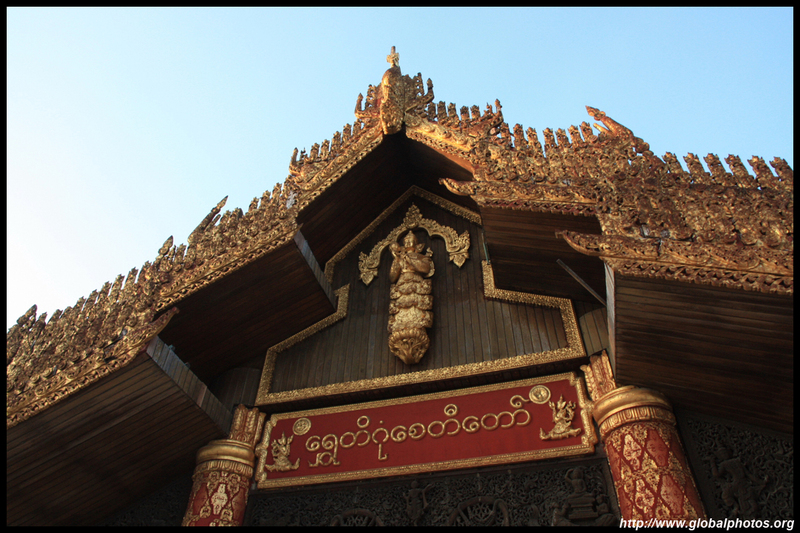 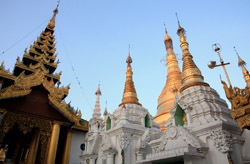 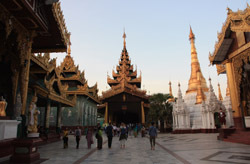 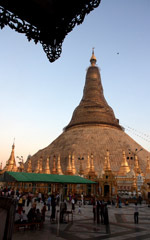 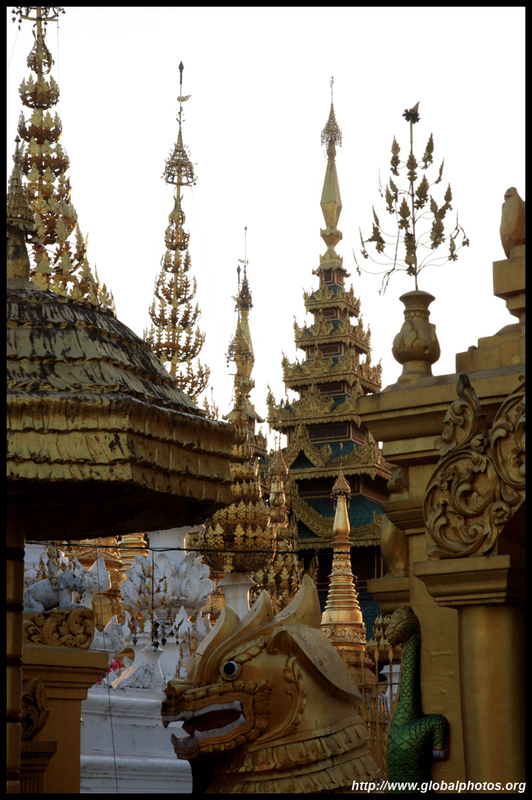 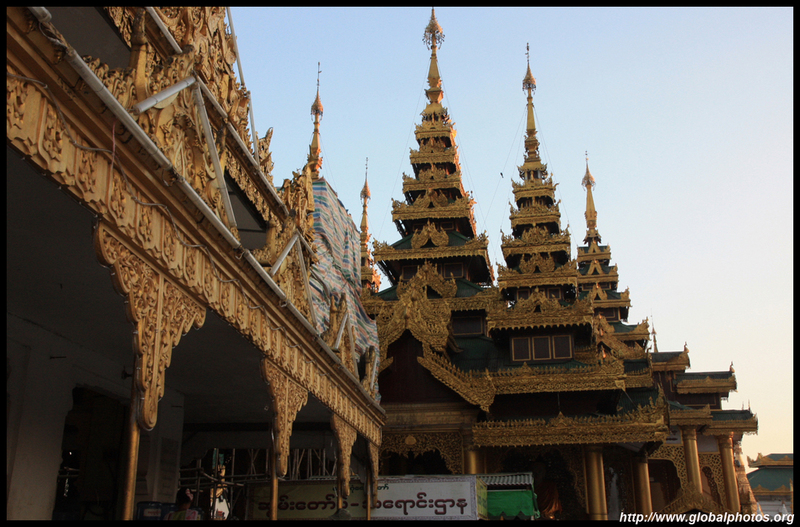 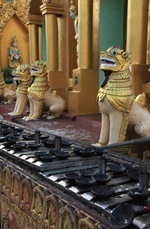 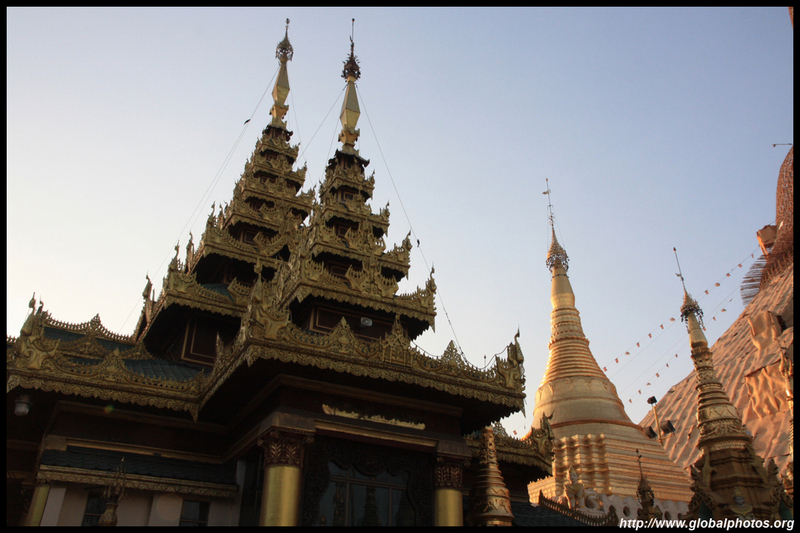 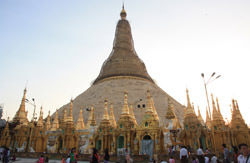 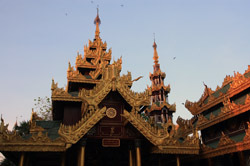 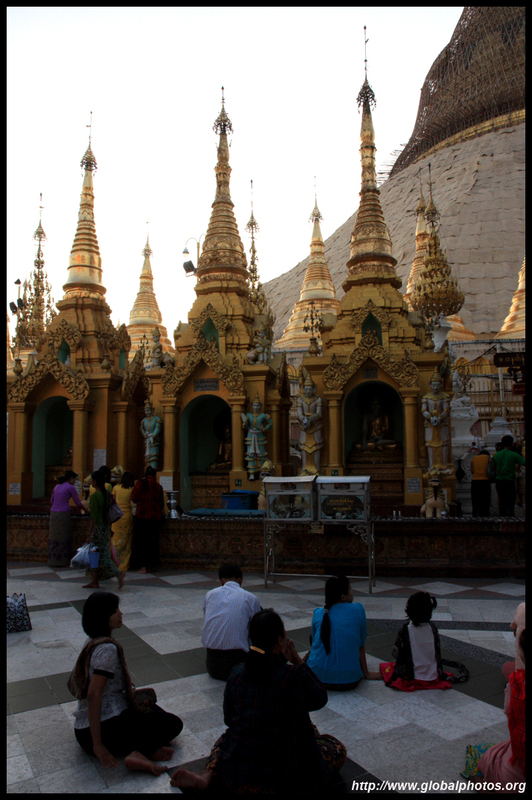 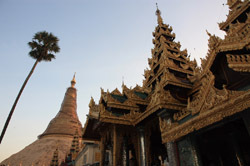 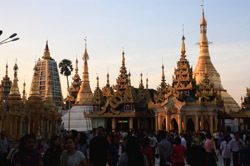 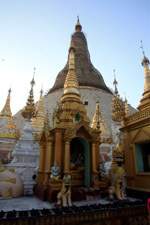 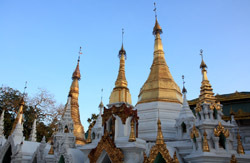 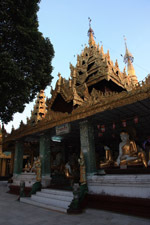 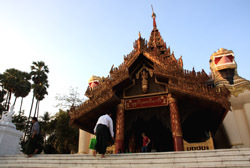 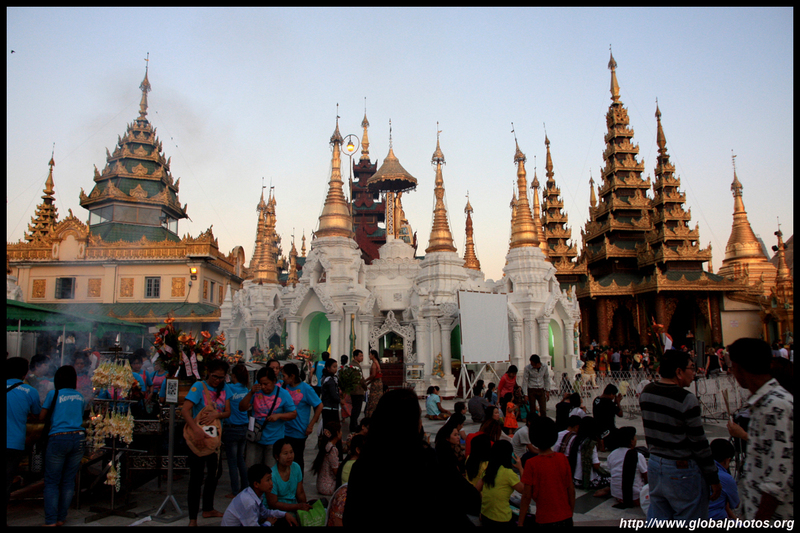 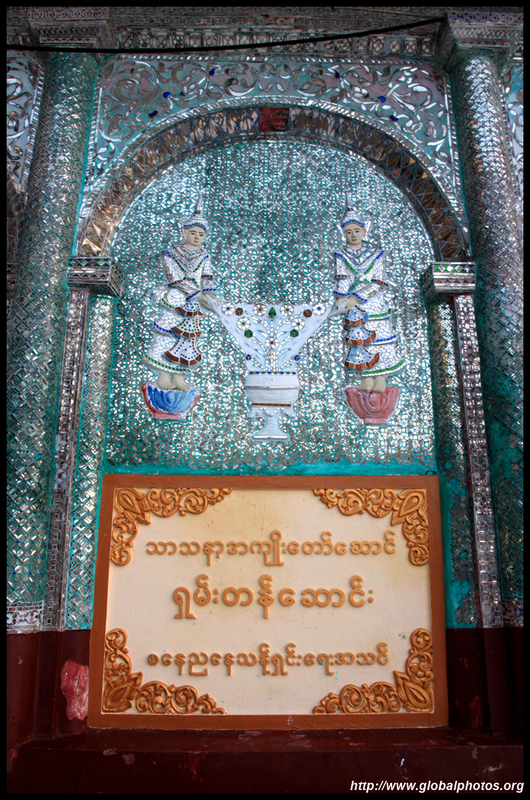 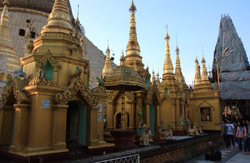 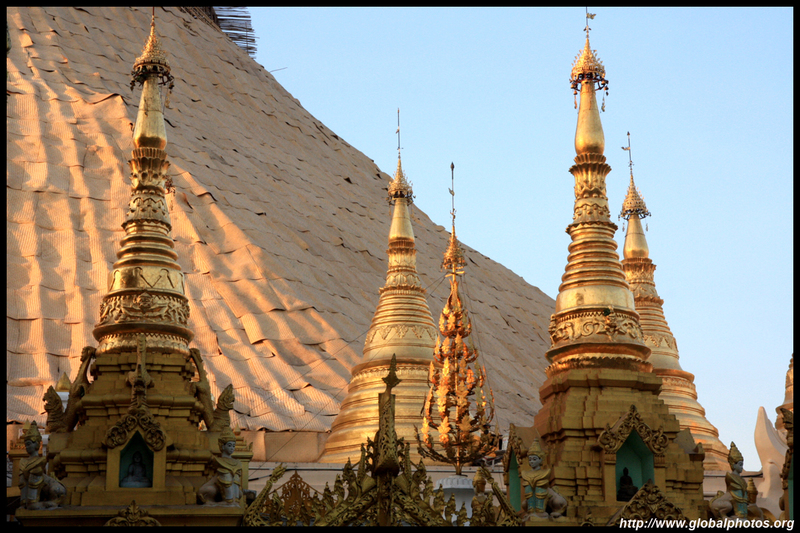 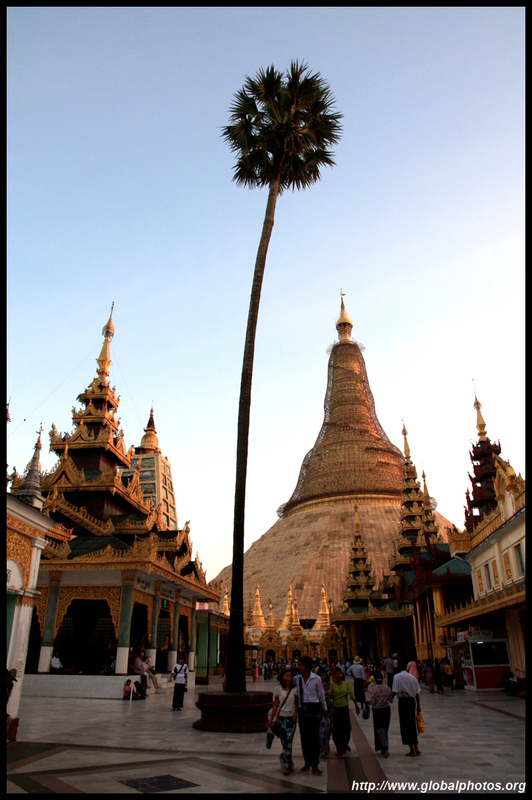 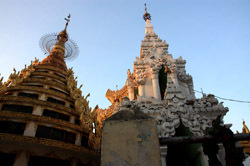 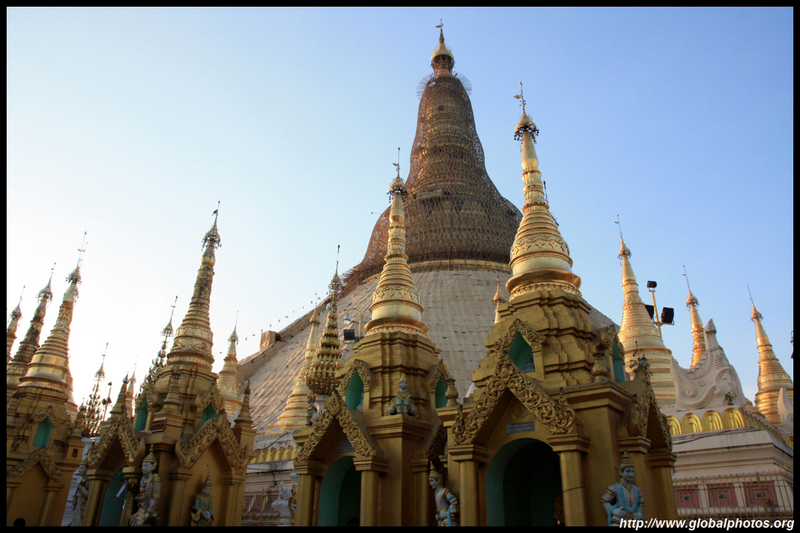 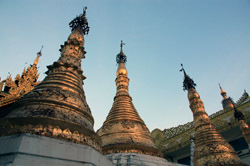 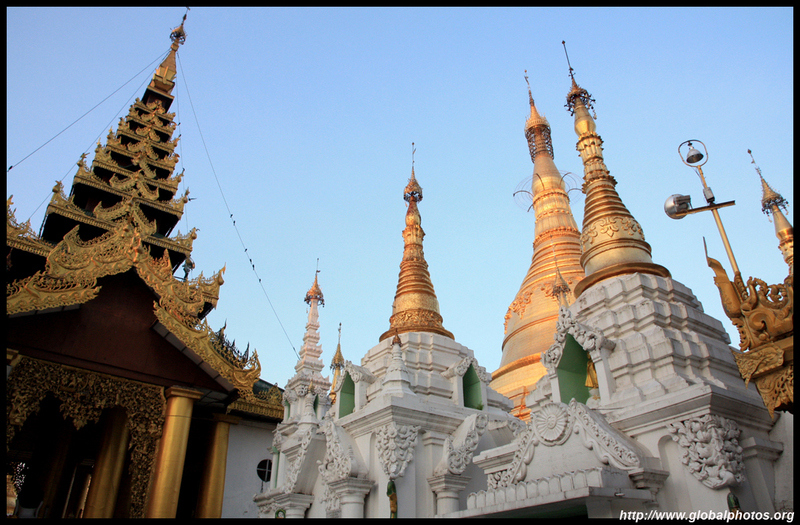 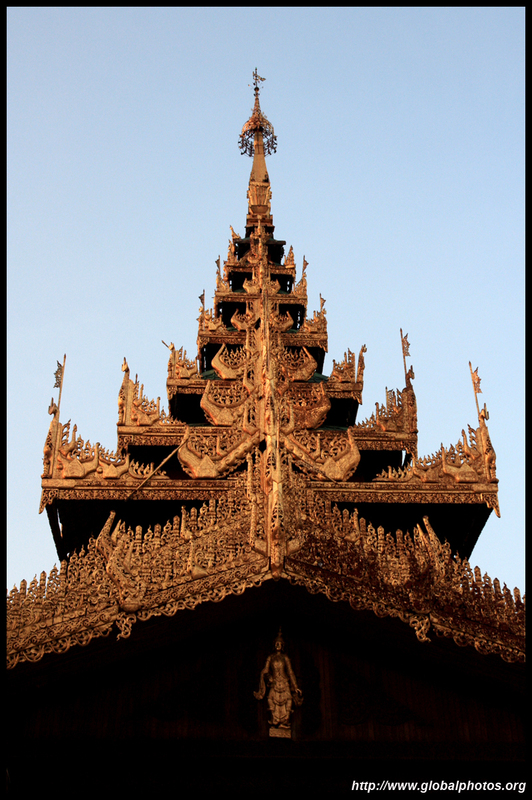 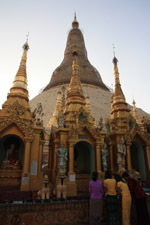 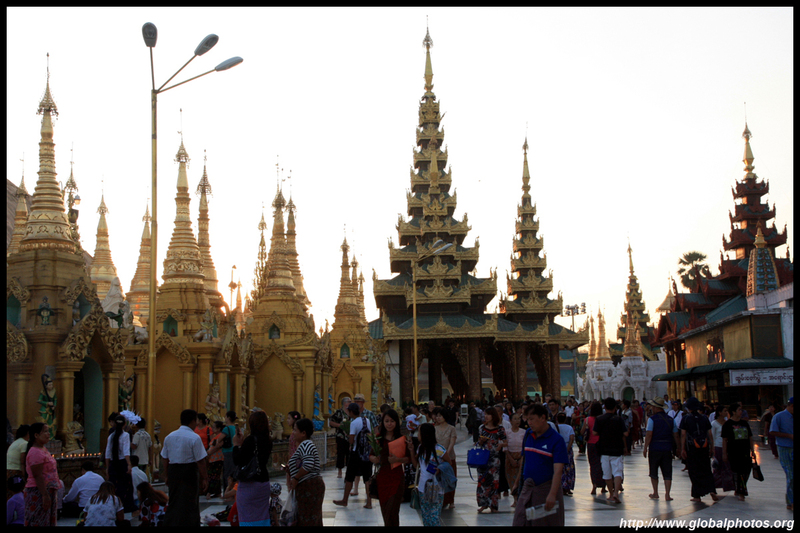 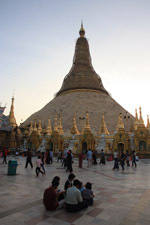 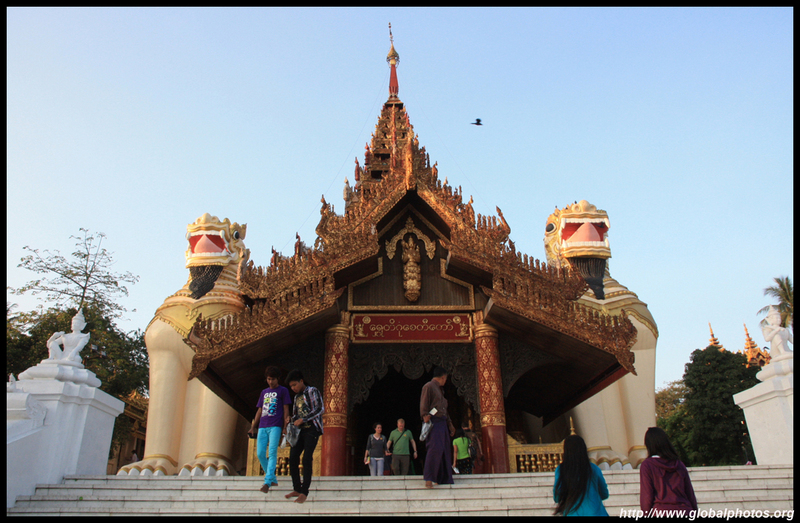 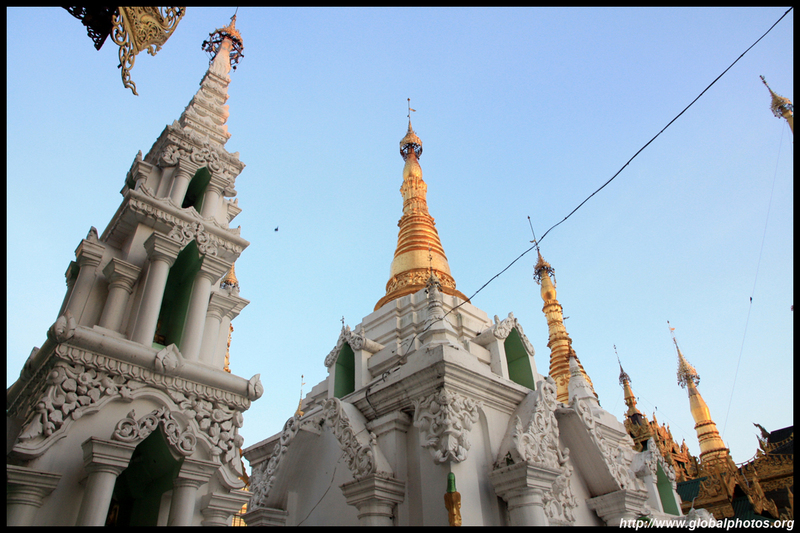 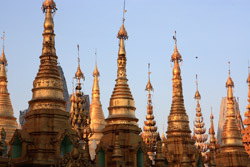 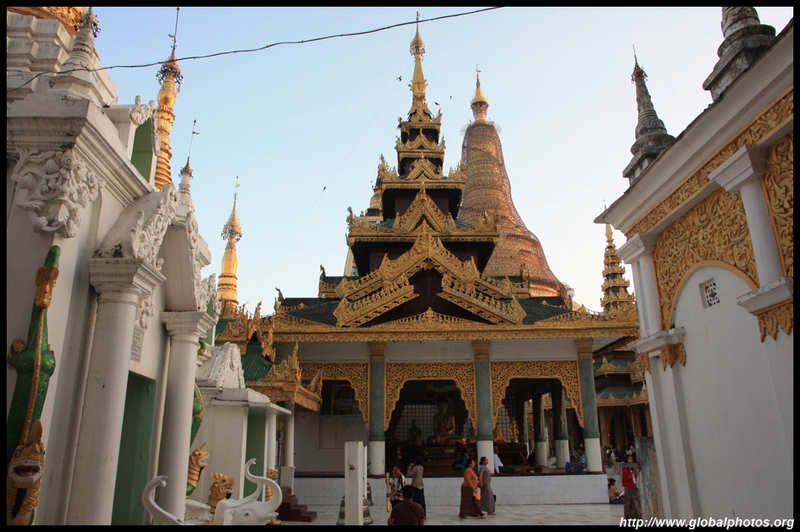 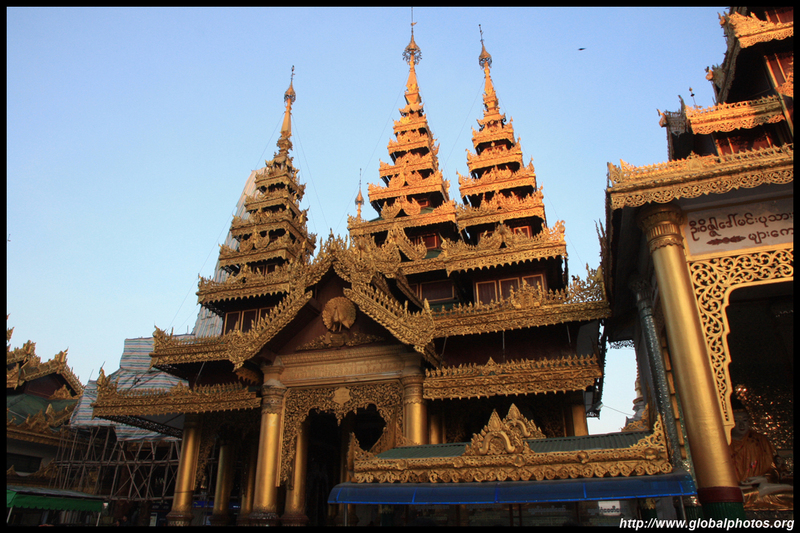 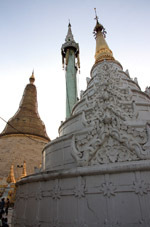 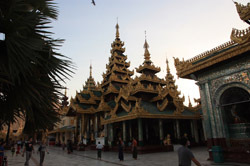 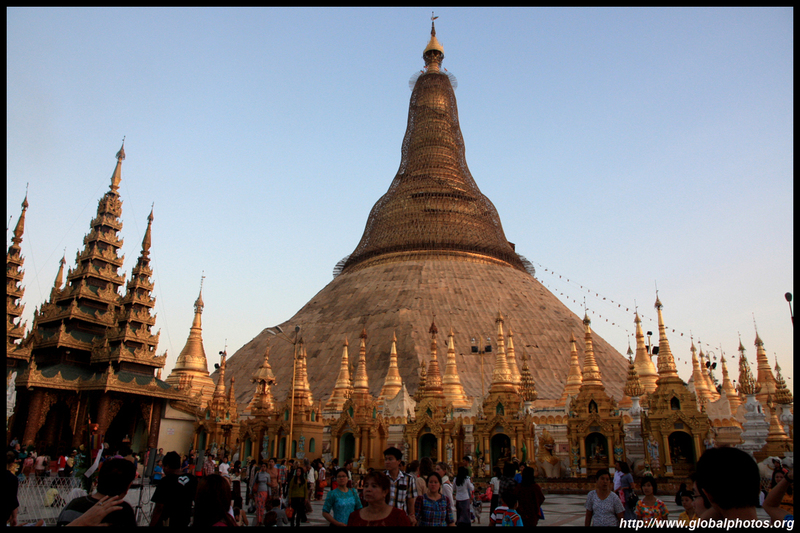 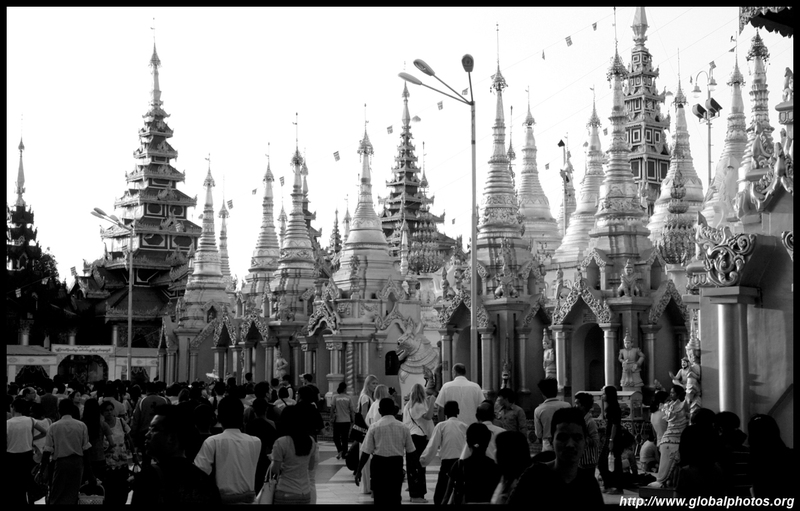 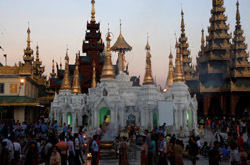 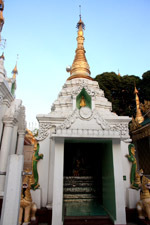 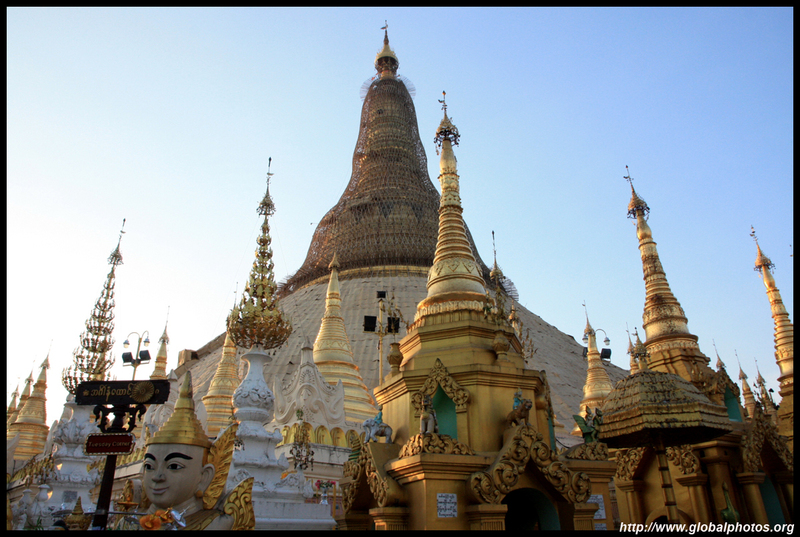 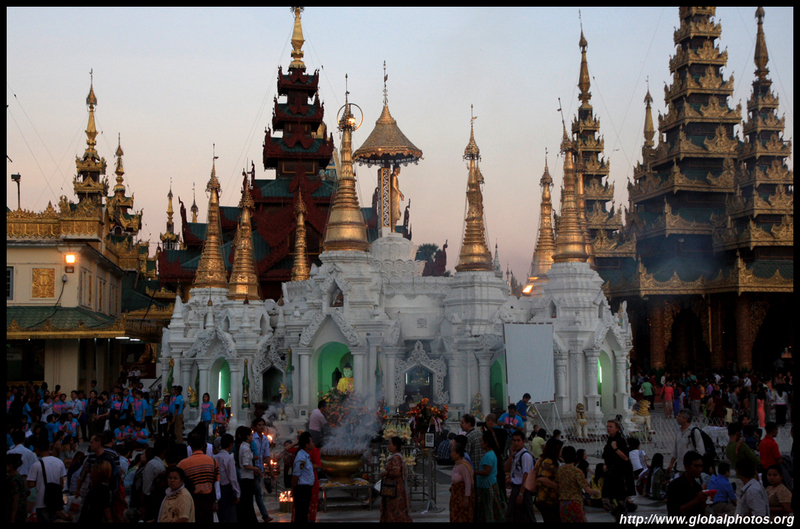 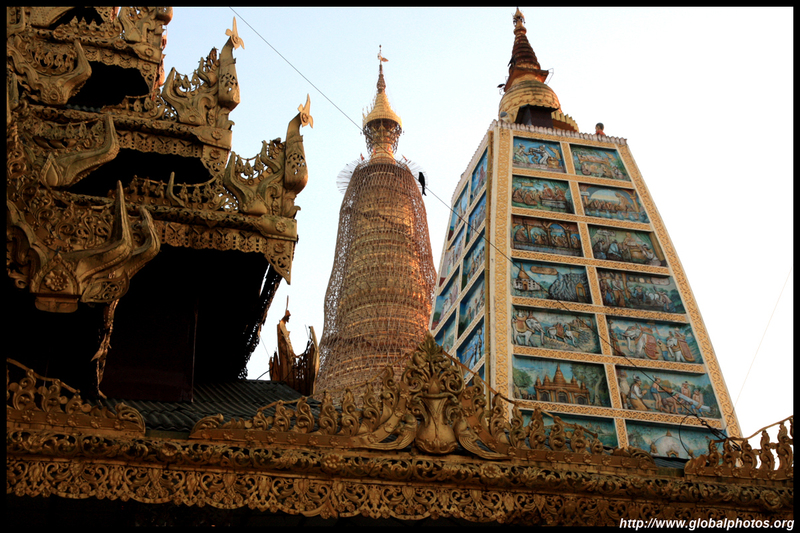 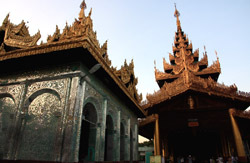 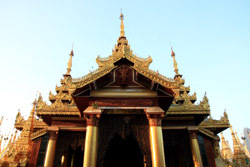 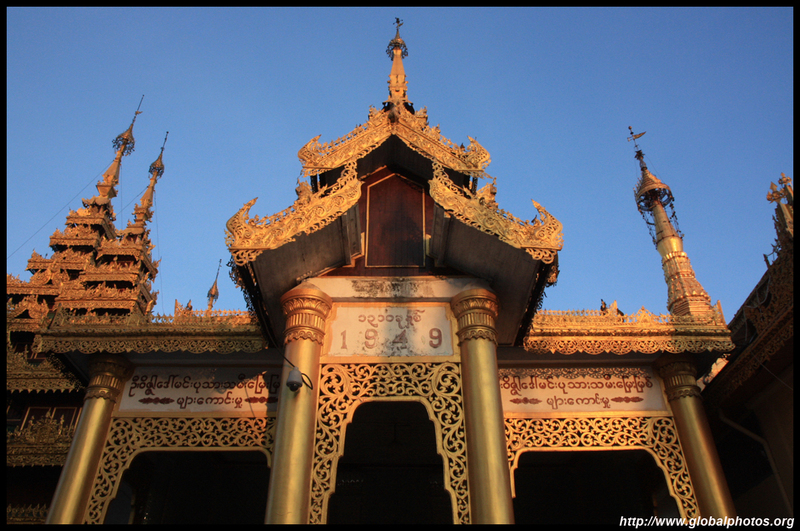 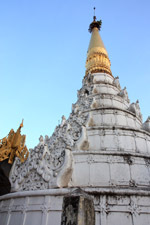 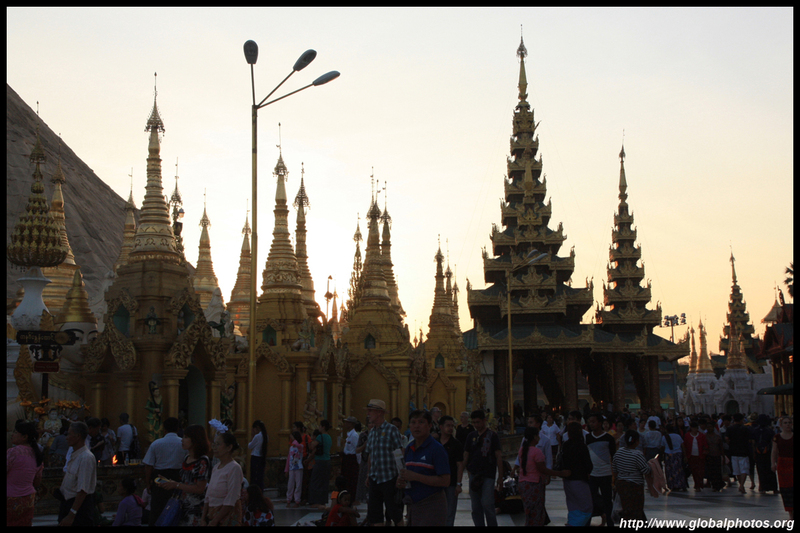 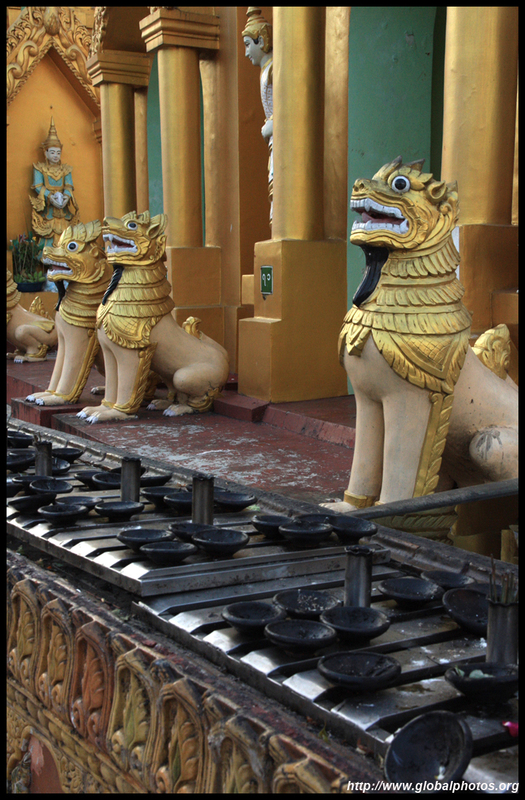 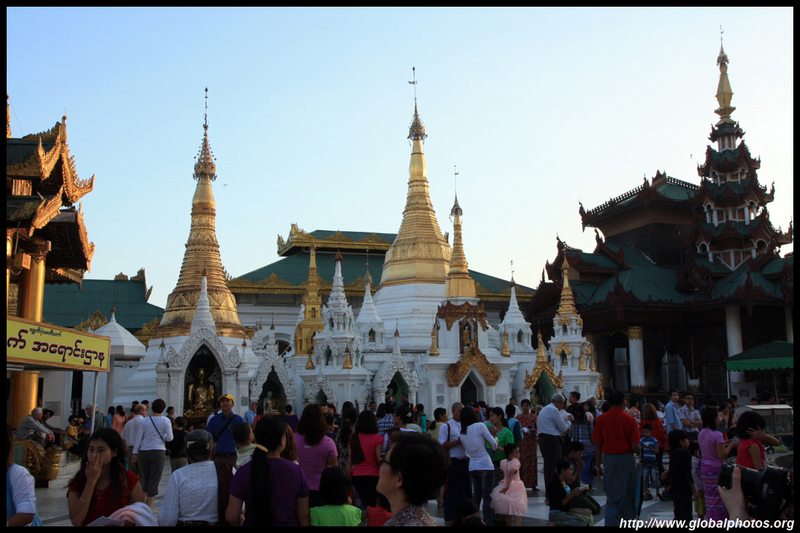 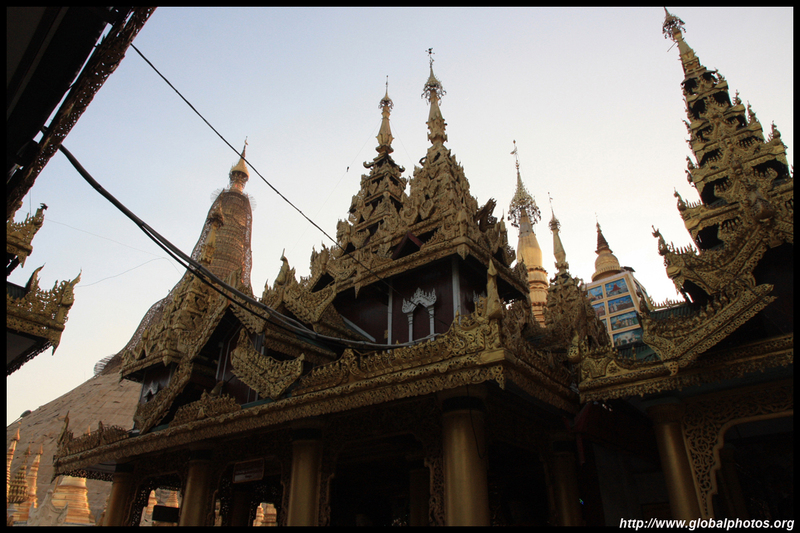 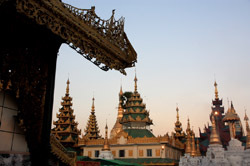 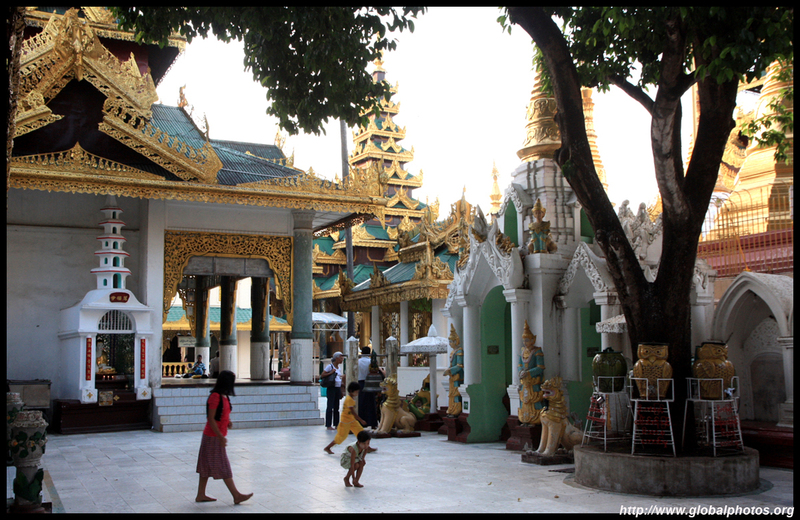 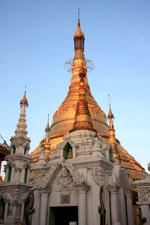 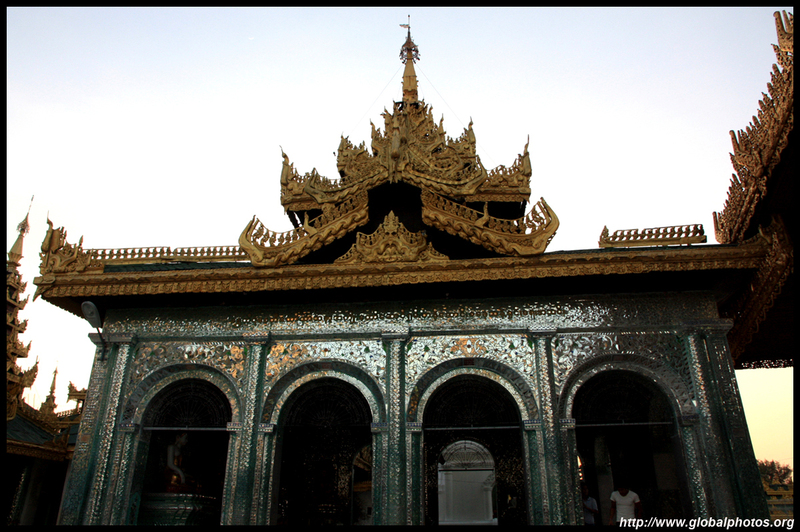 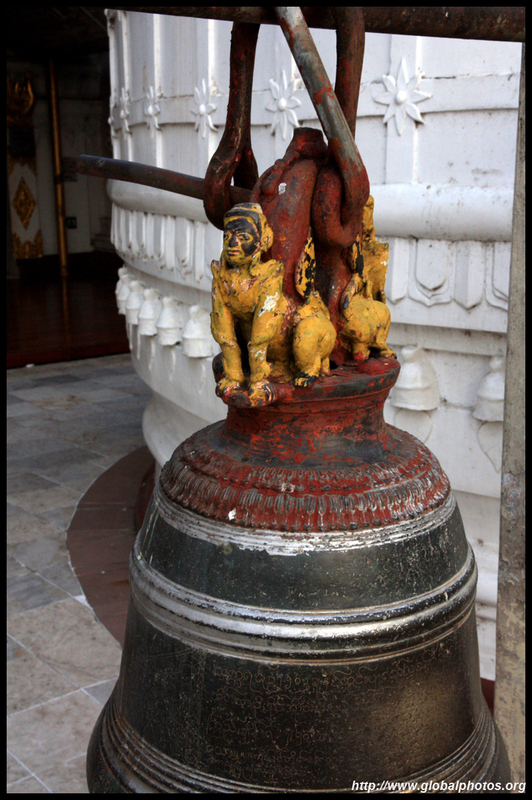 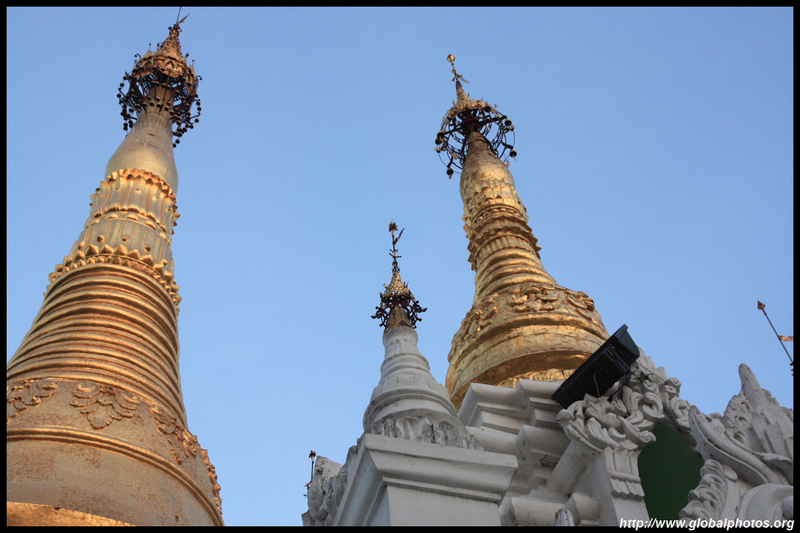 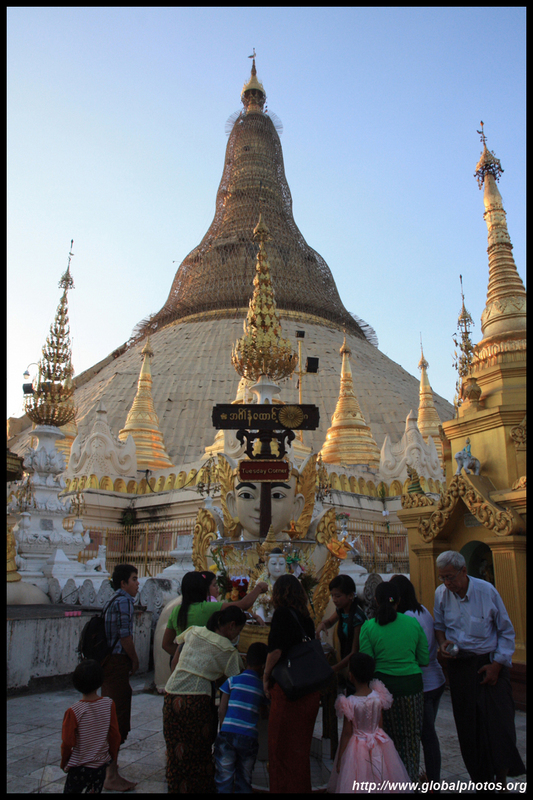 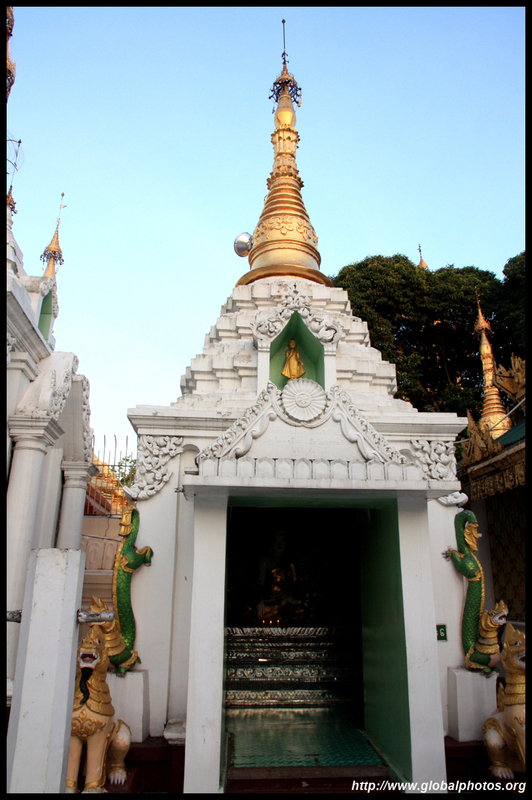 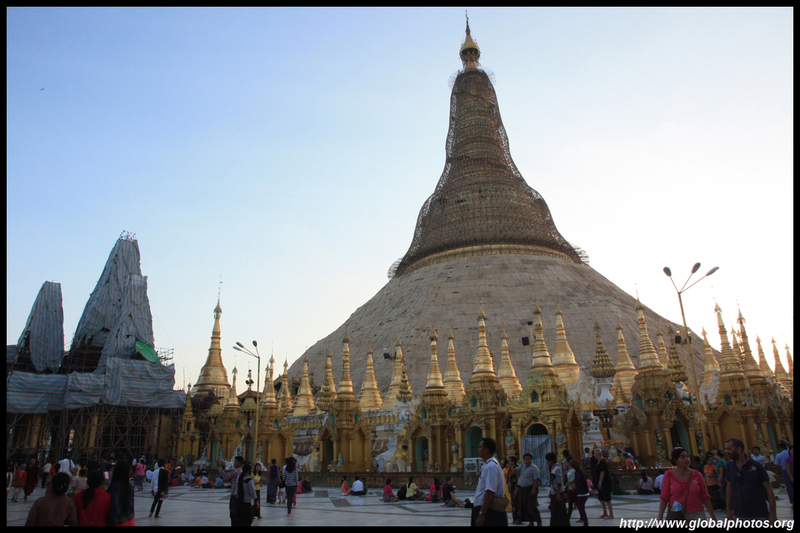 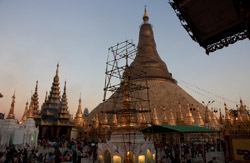 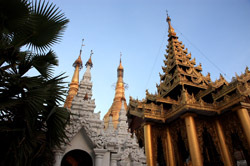 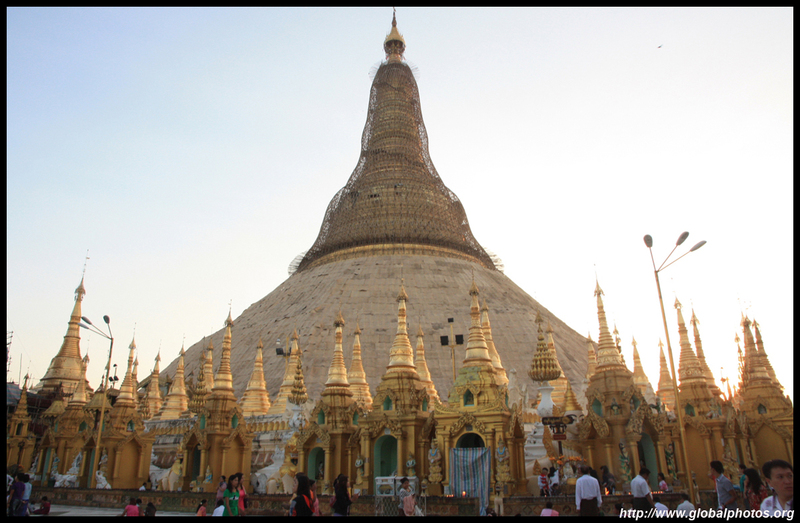 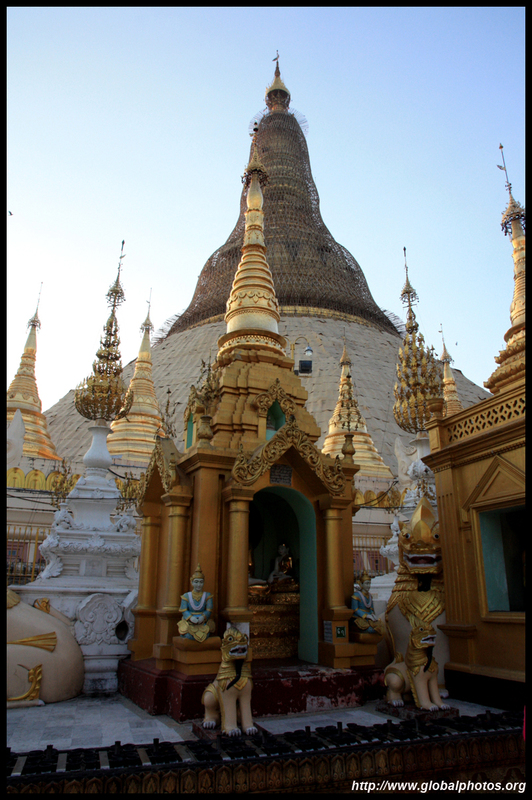 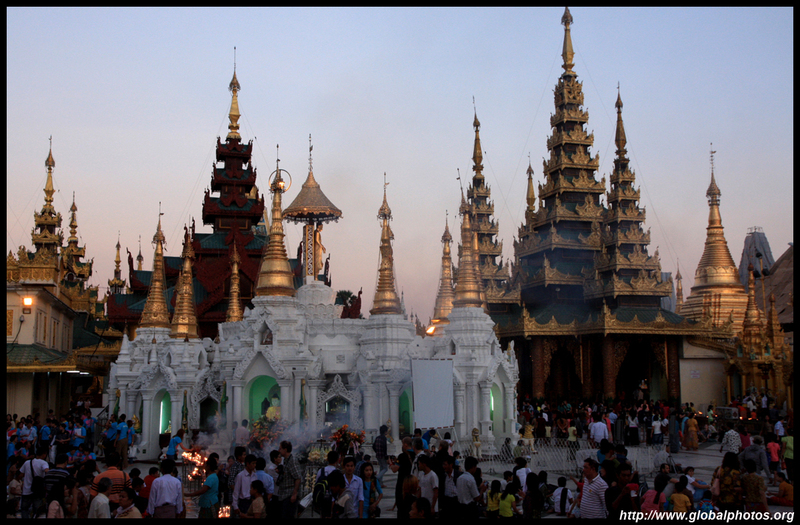 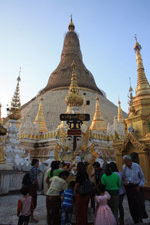 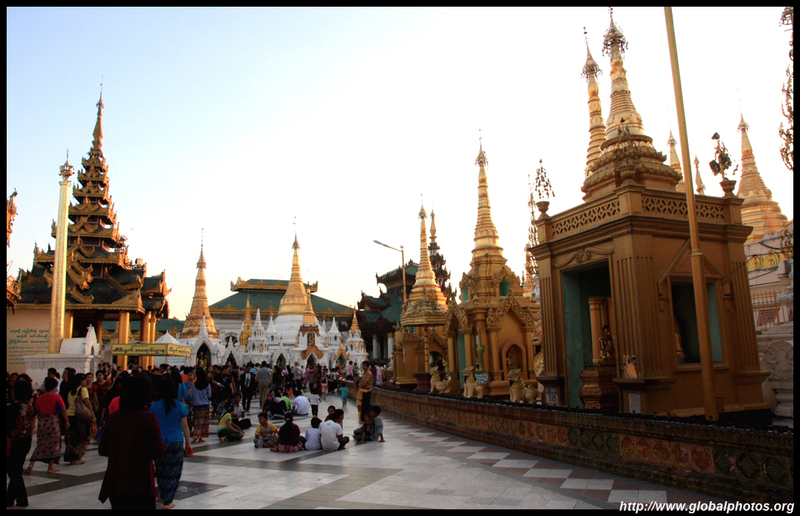 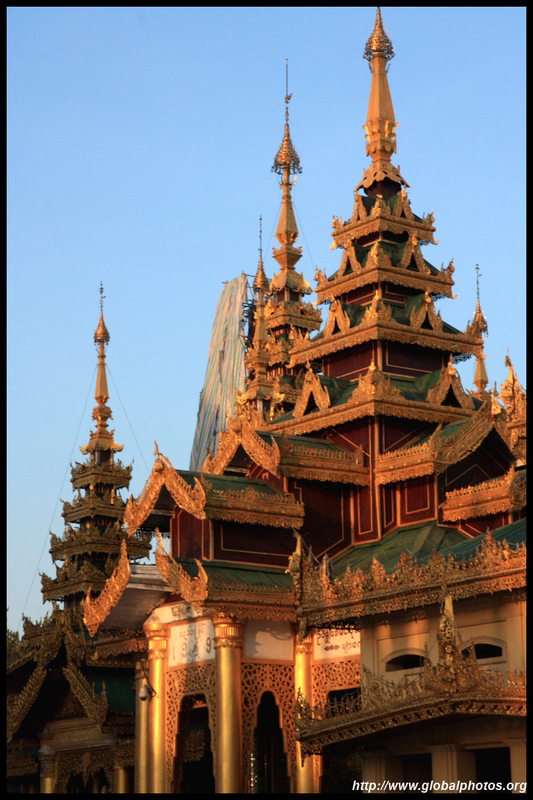 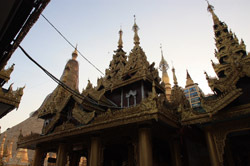 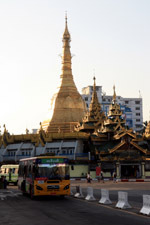 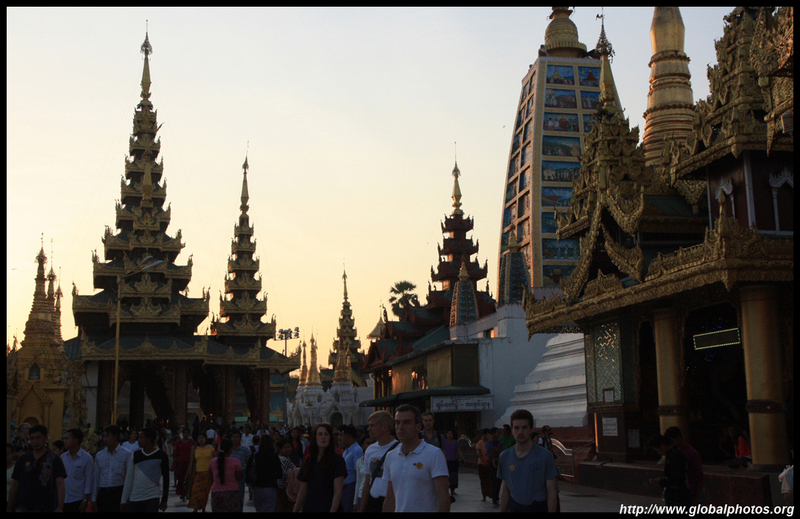 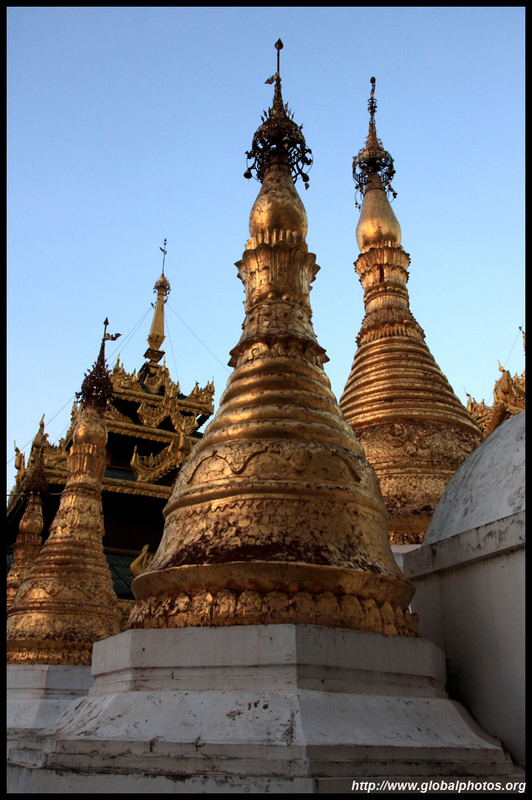 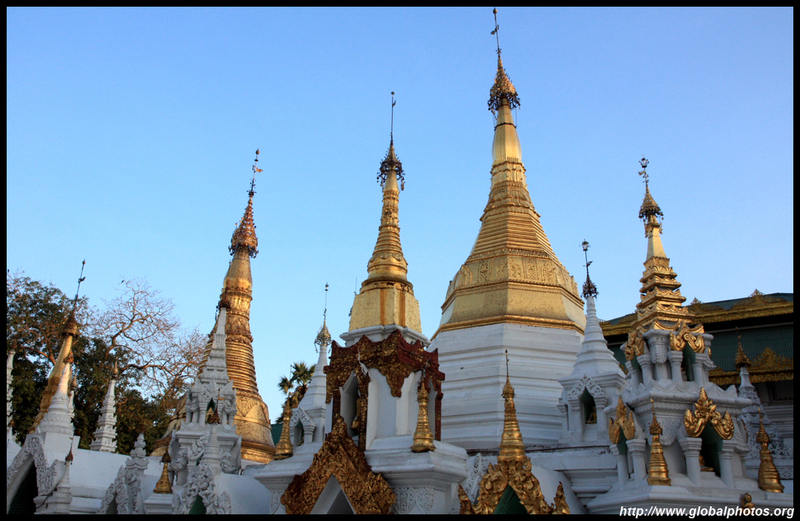 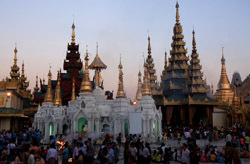 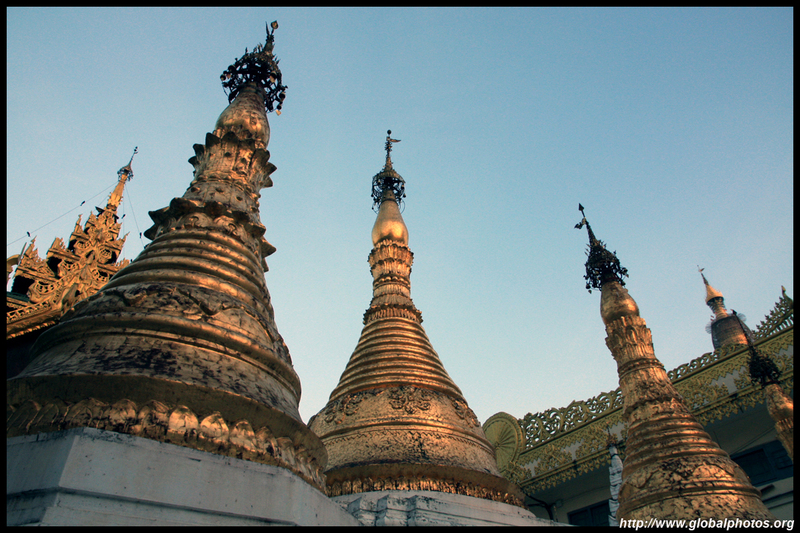 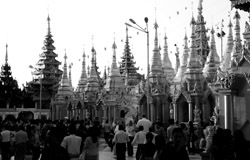 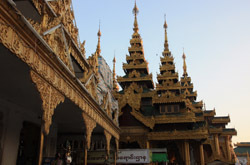 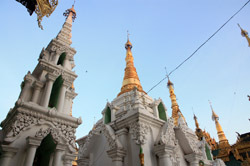 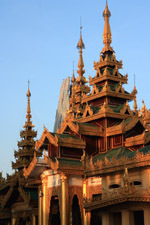 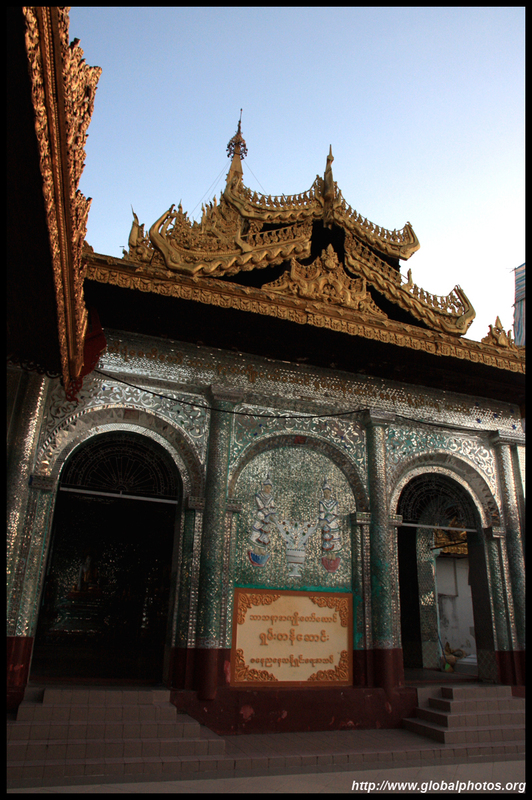 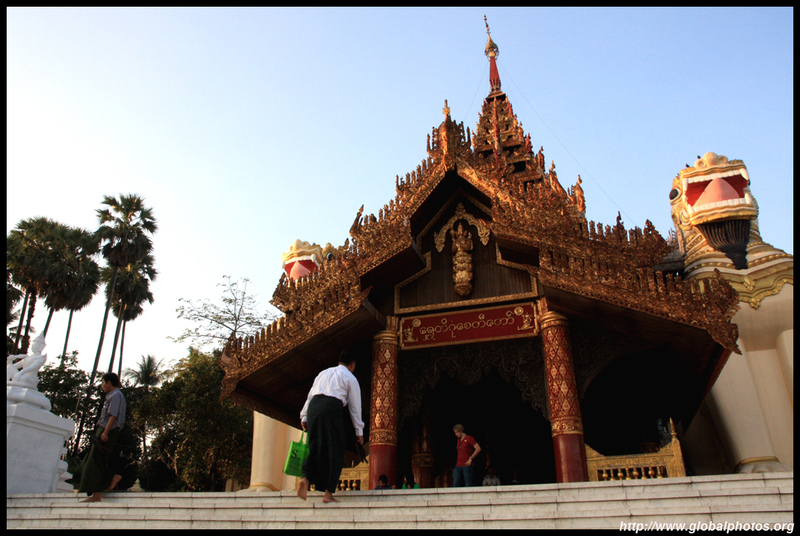 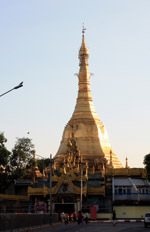 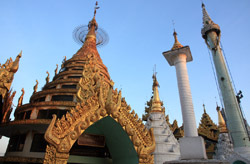 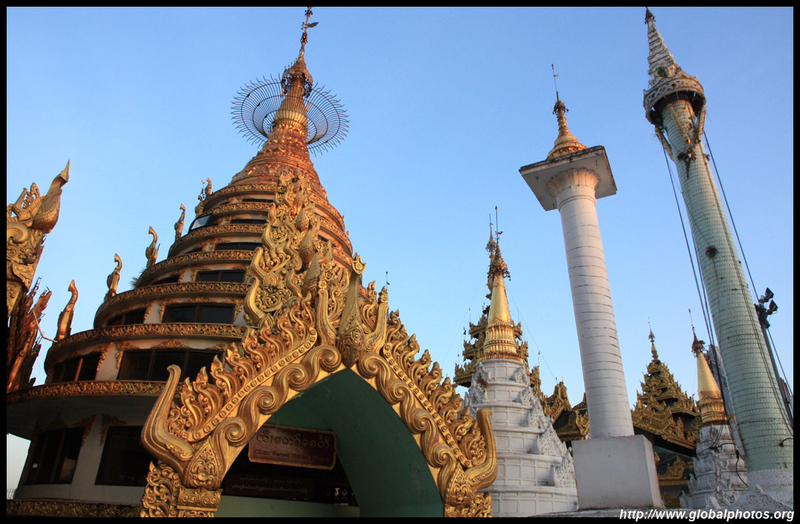 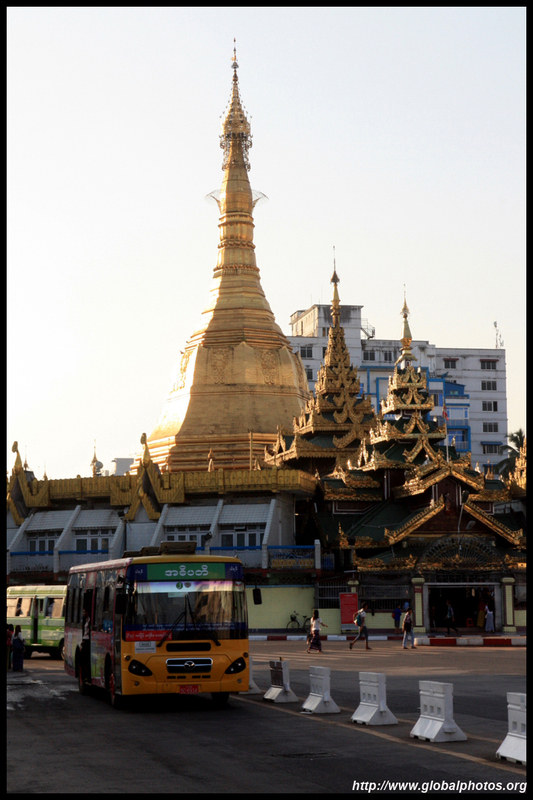 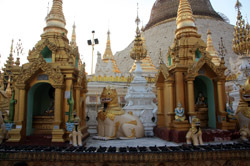 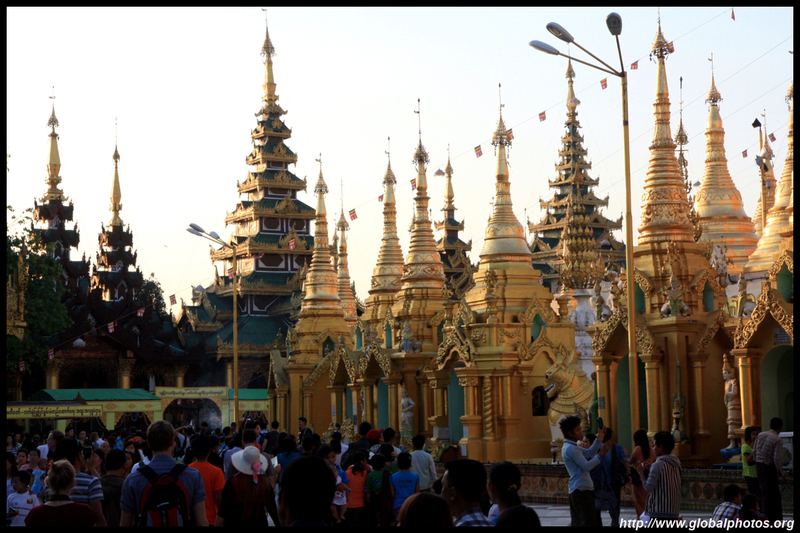 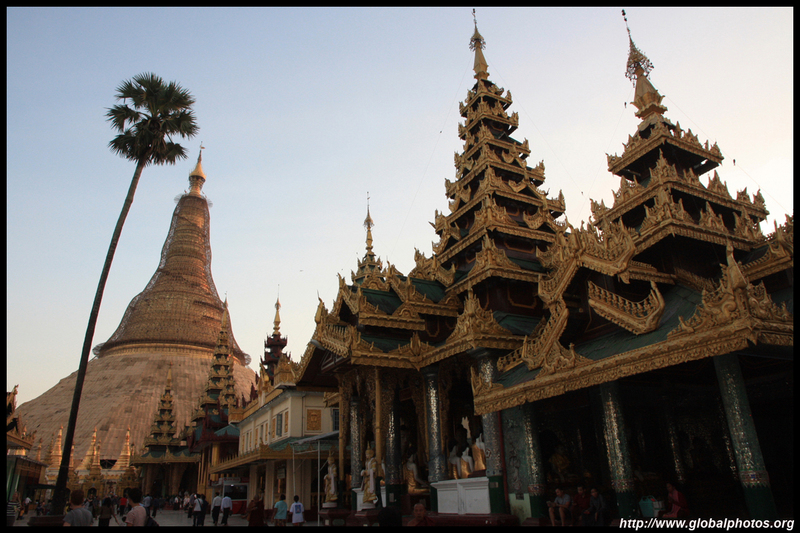 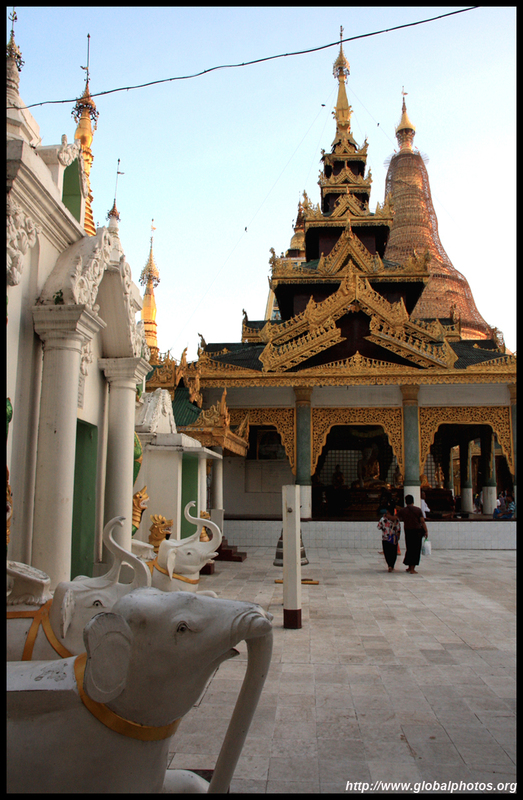 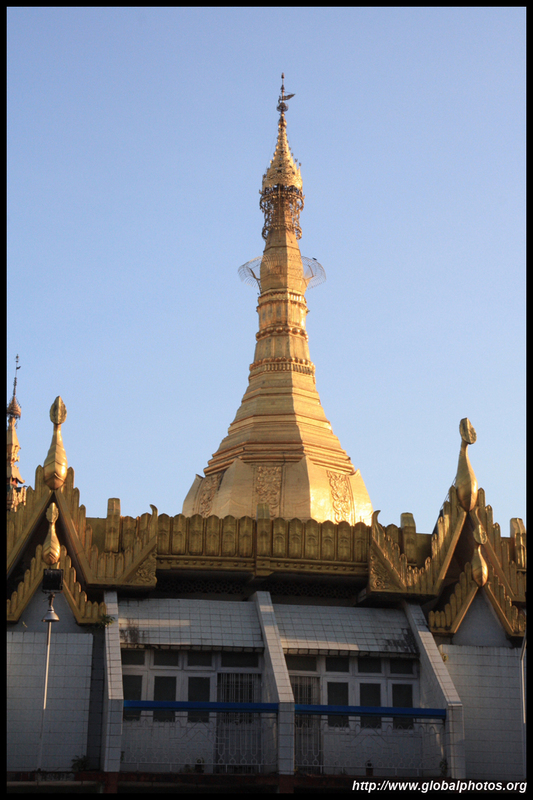 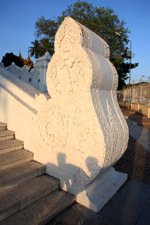 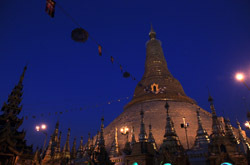 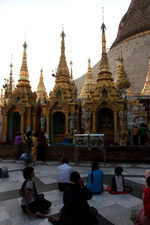 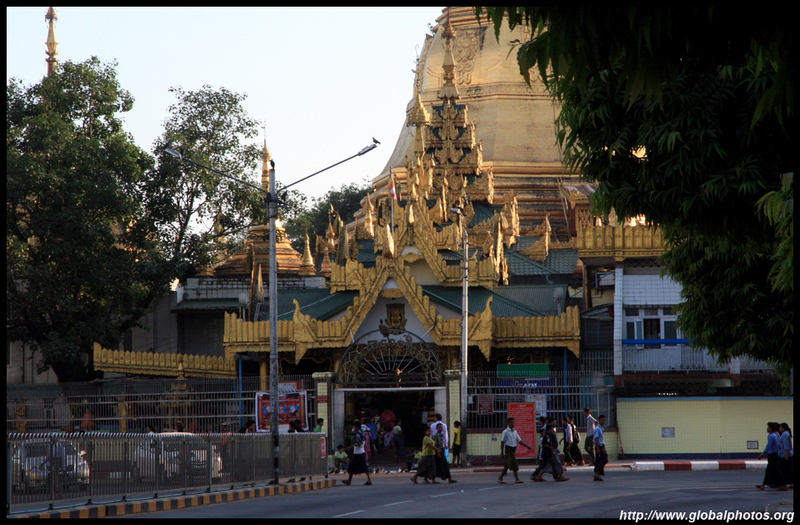 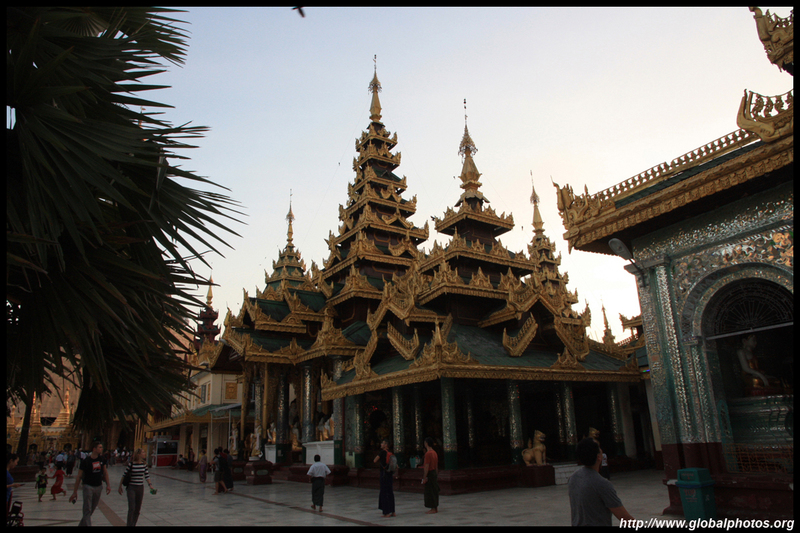 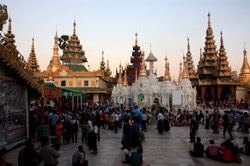 Shwedagon Paya is the city's most famous temple. 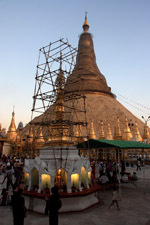 It is best to visit around sunset, when you can see the 325 foot zedi's gold leaf shine spectacularly. 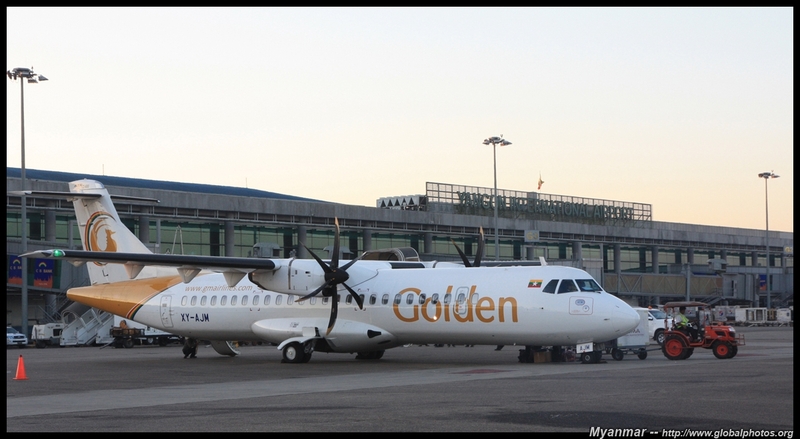 Despite the rapid change, you still get to see some historic relics still operational and lots of interesting local airlines.